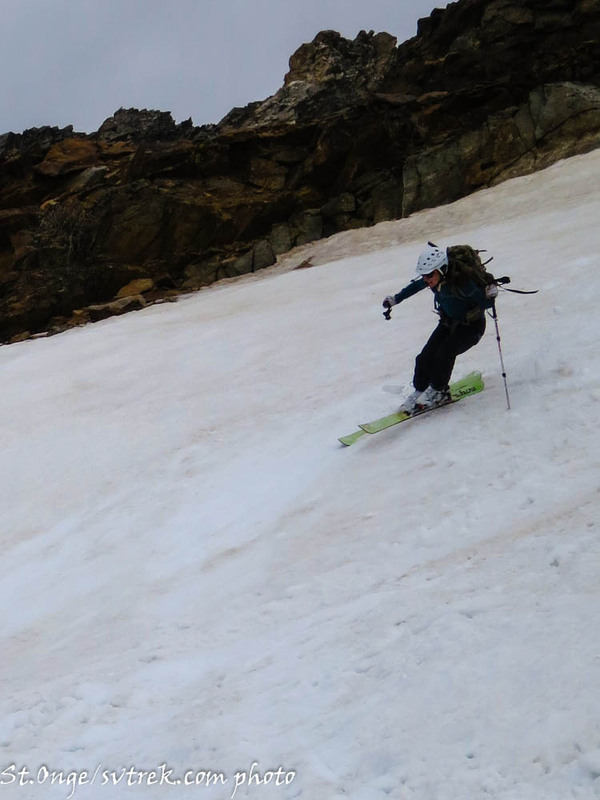 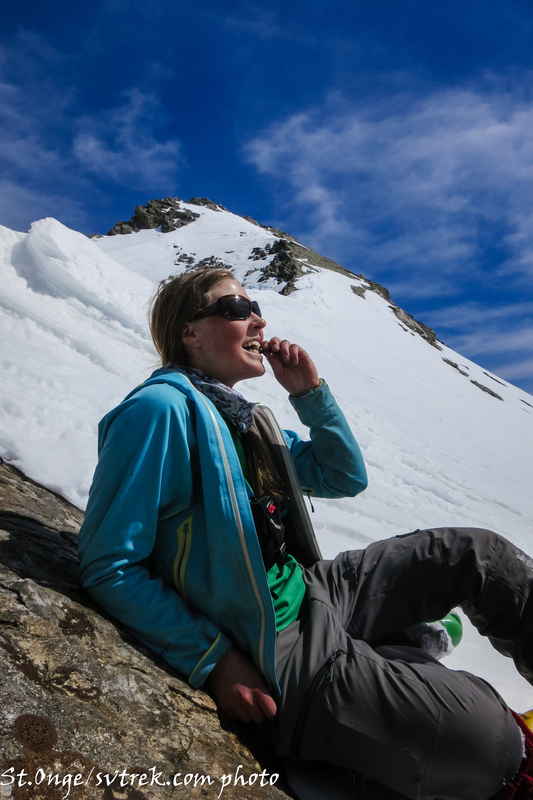 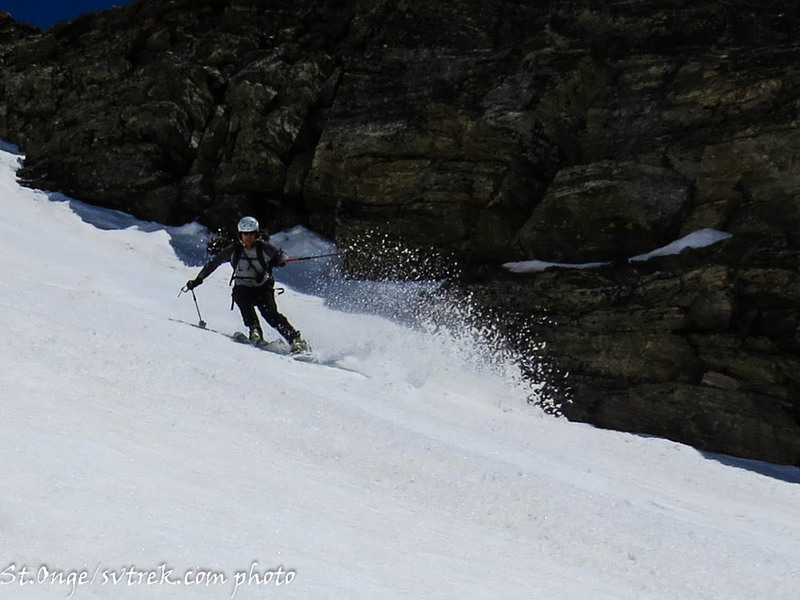 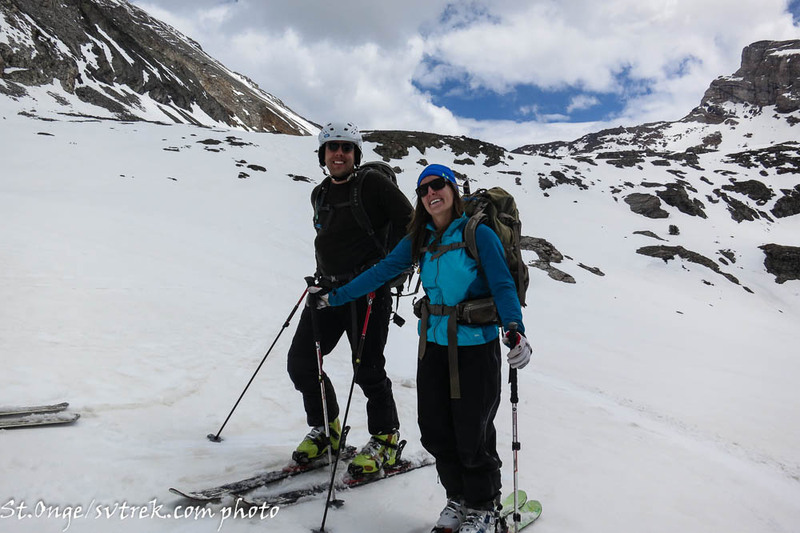 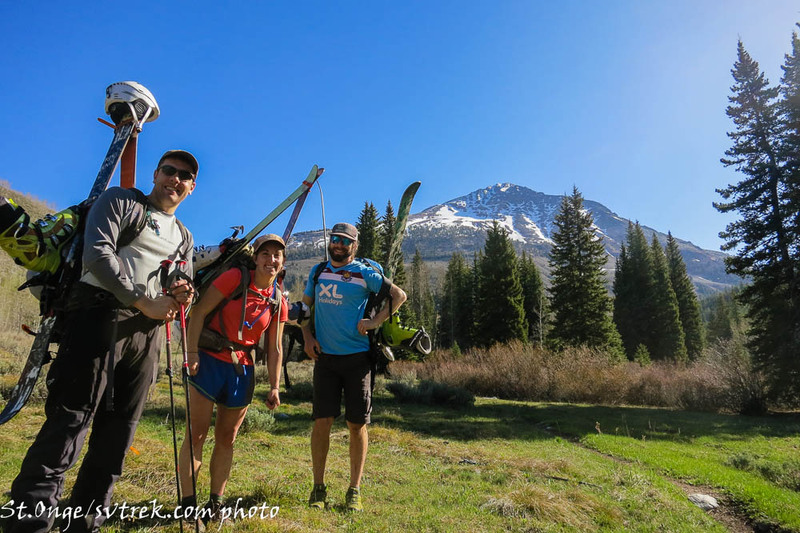 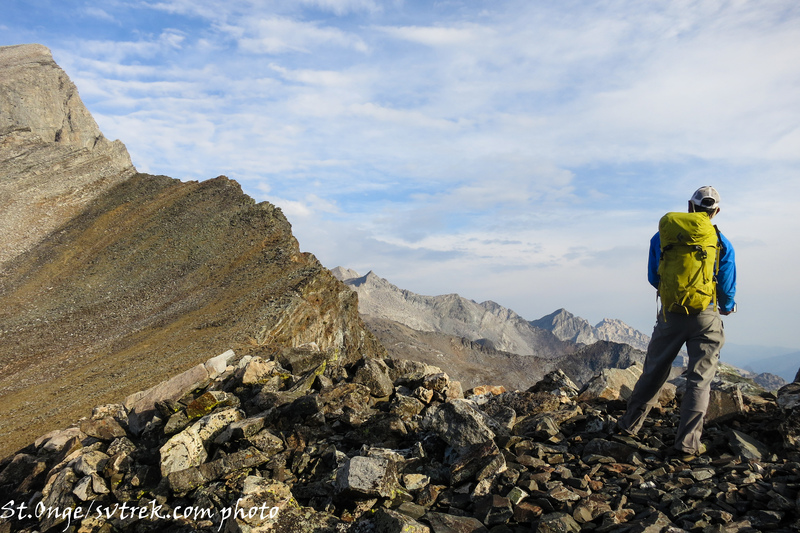 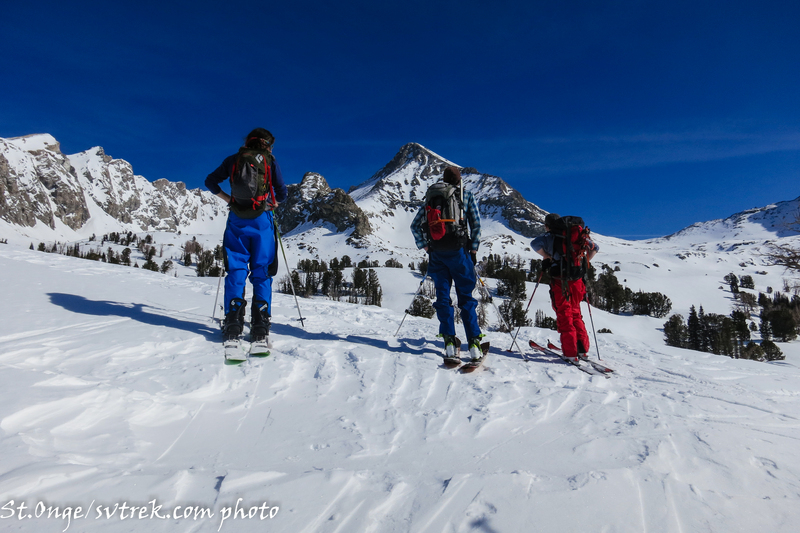 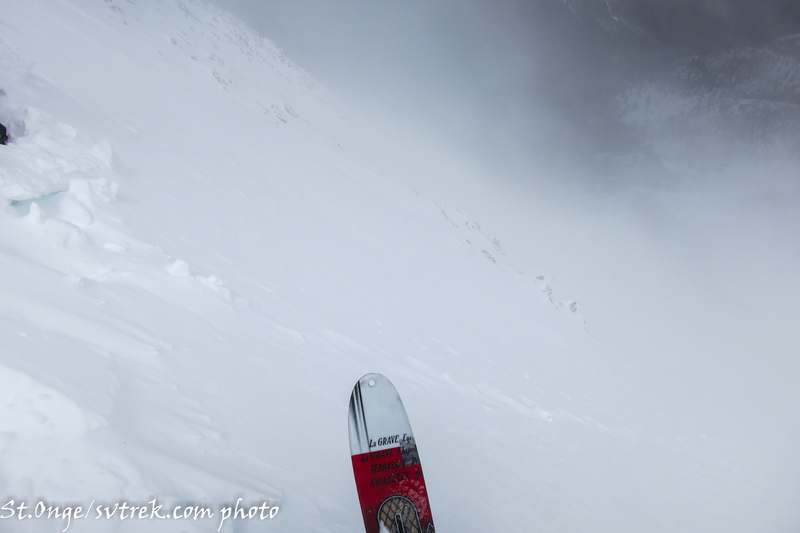 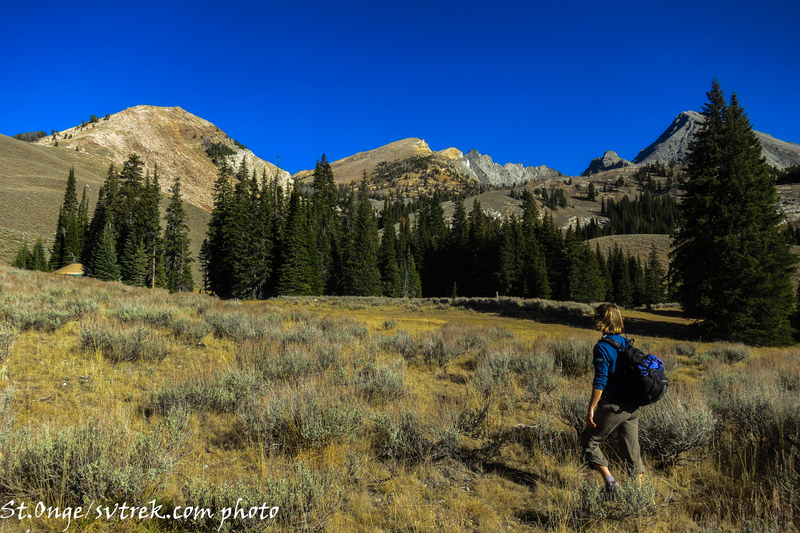 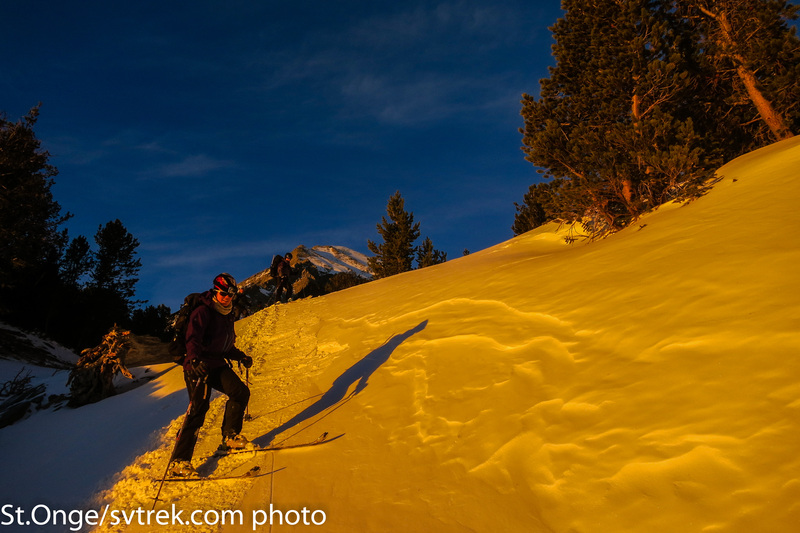 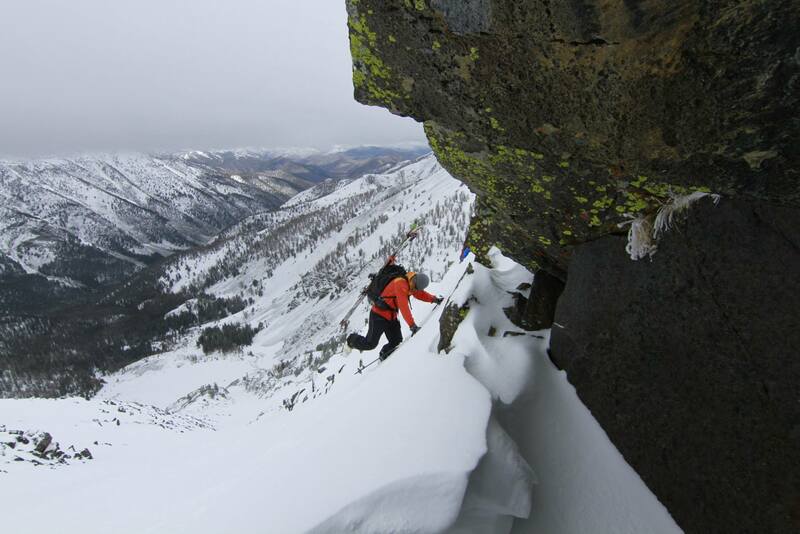 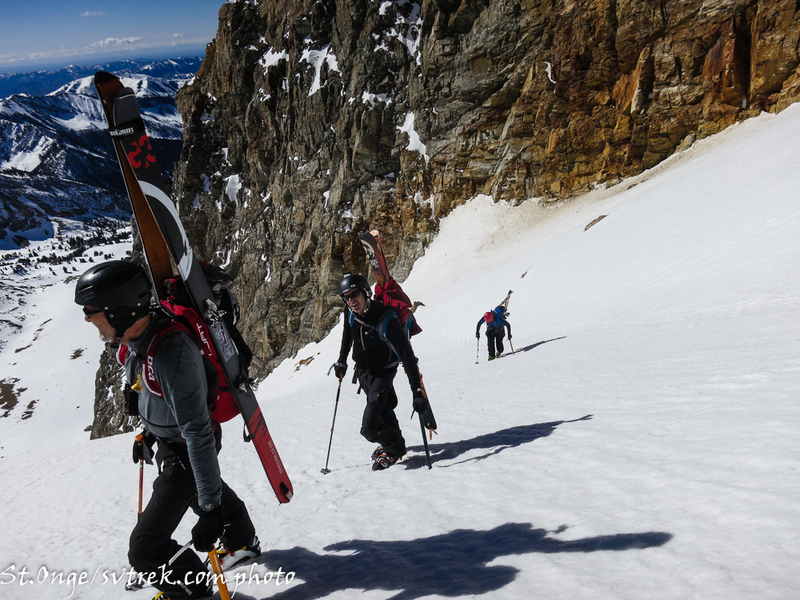 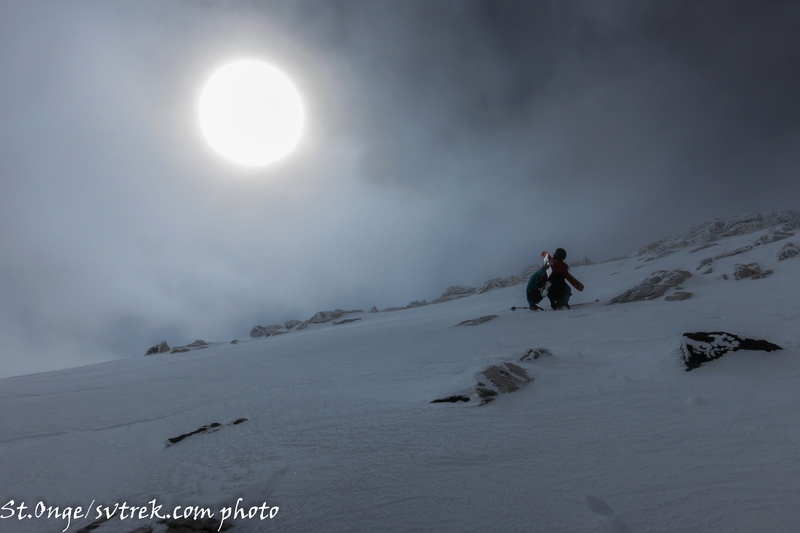 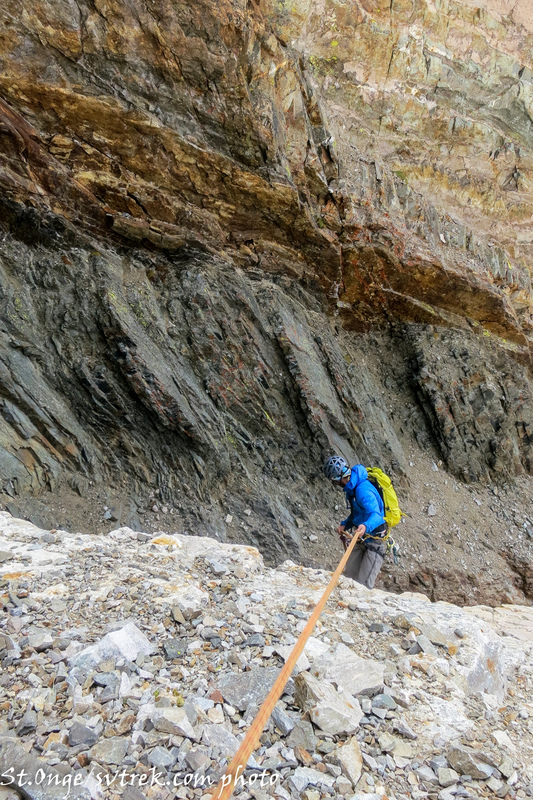 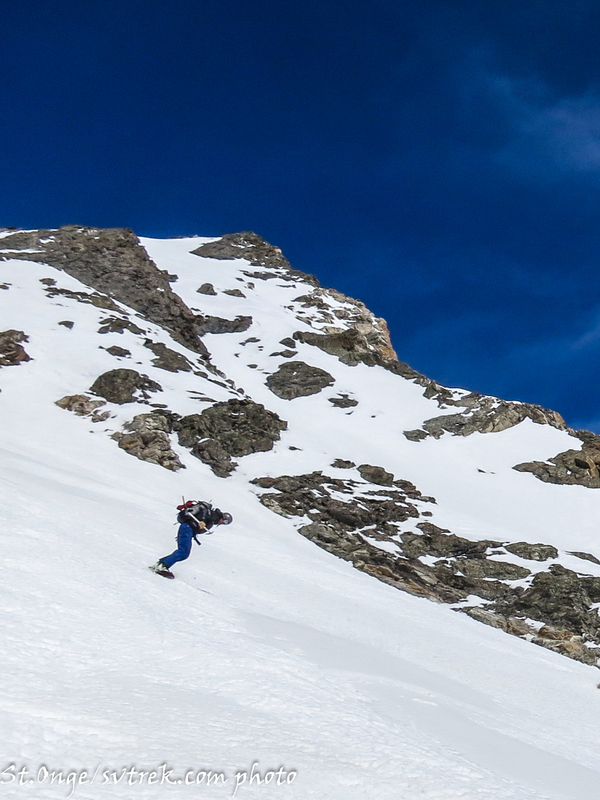 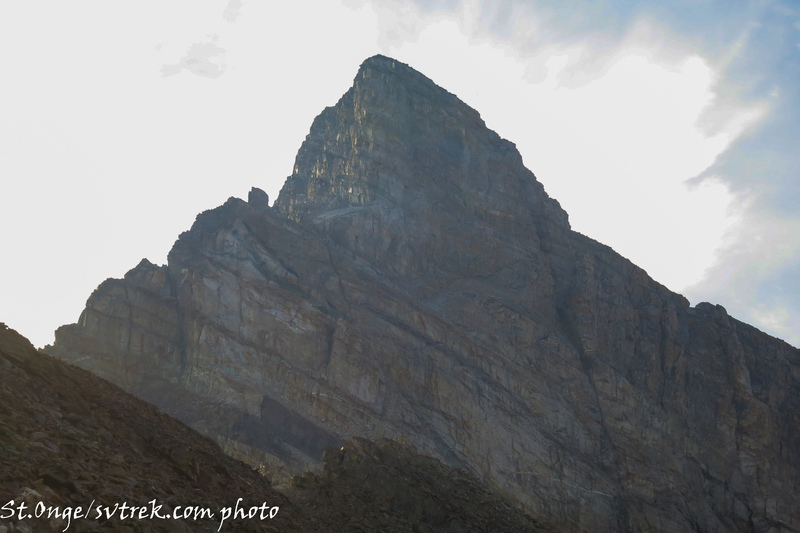 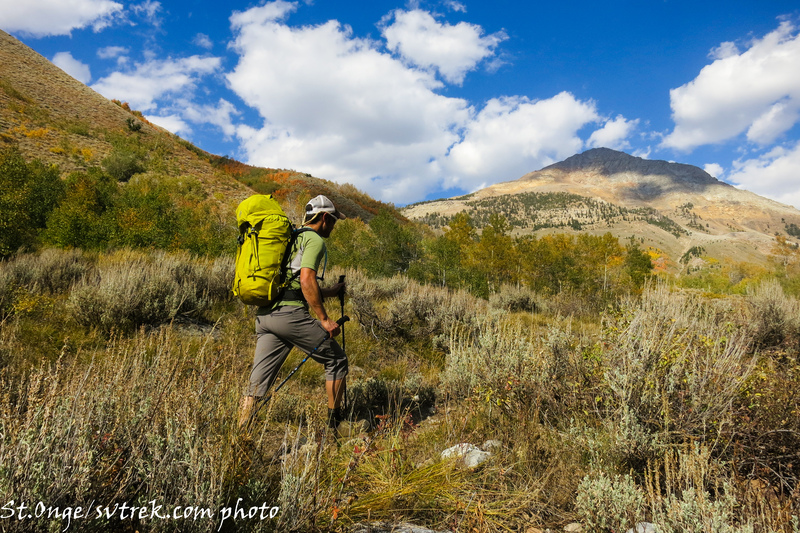 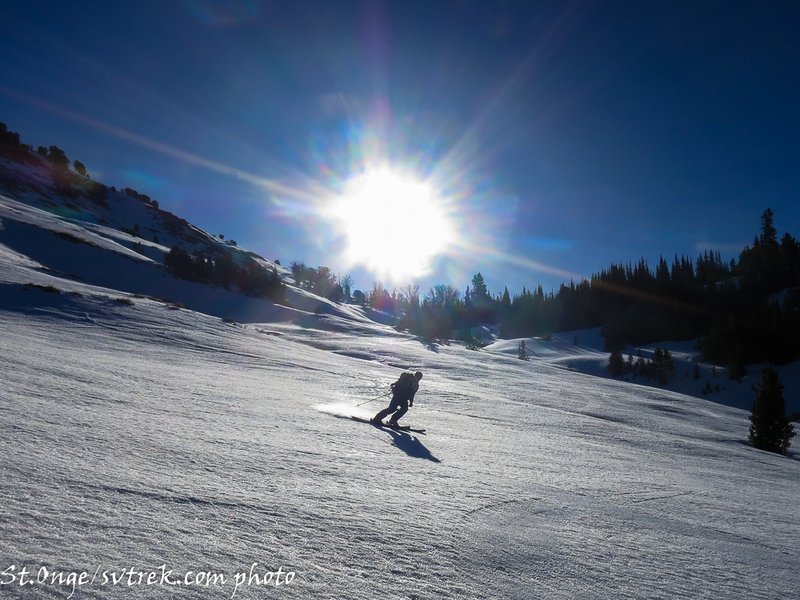 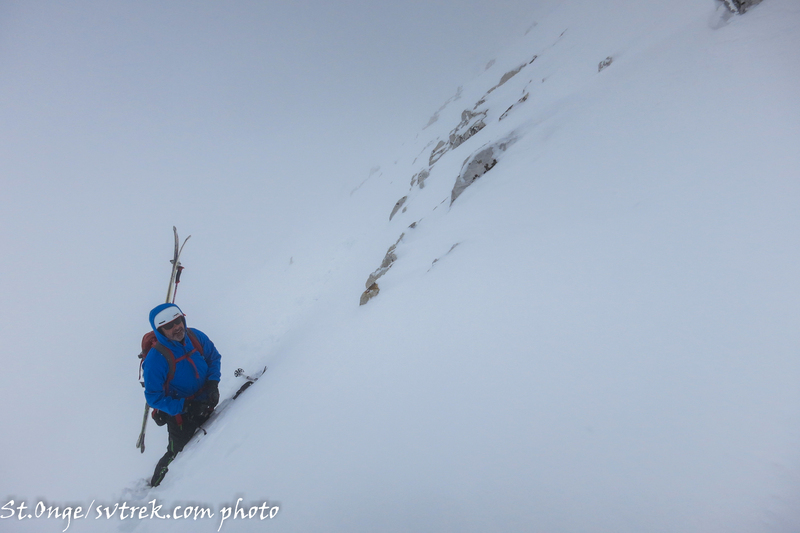 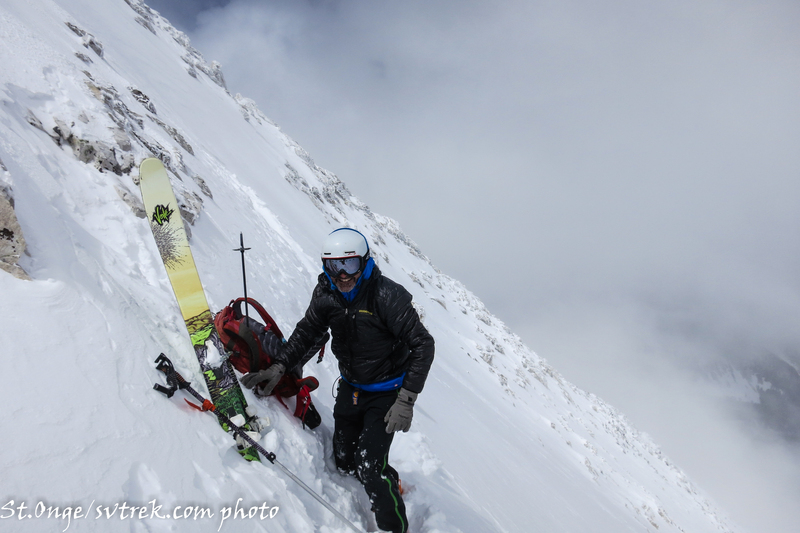 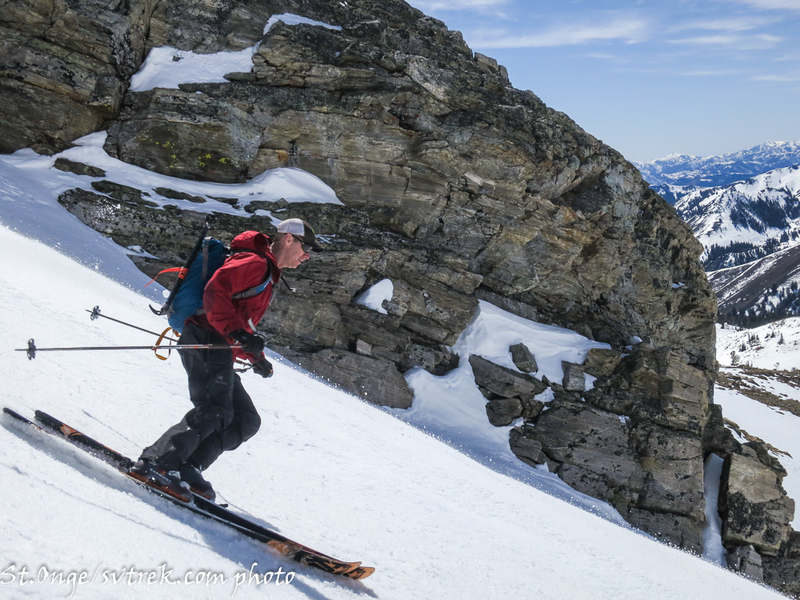 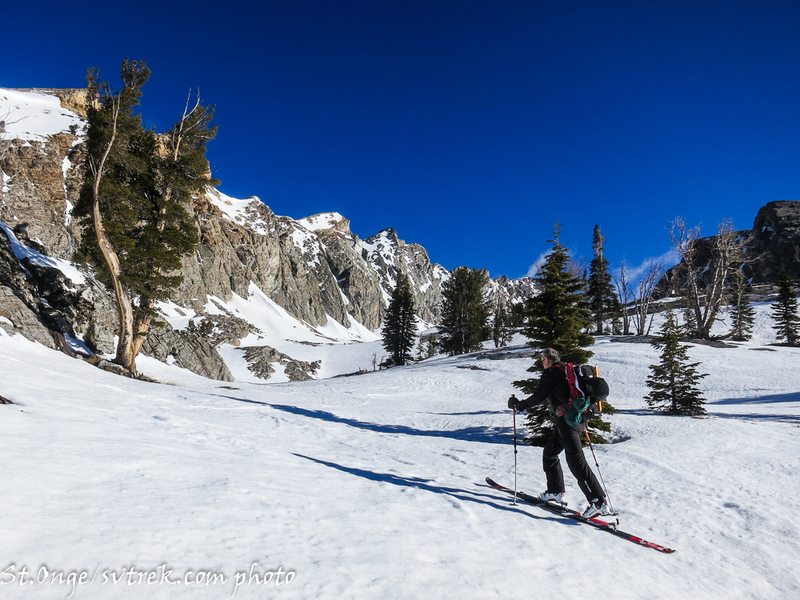 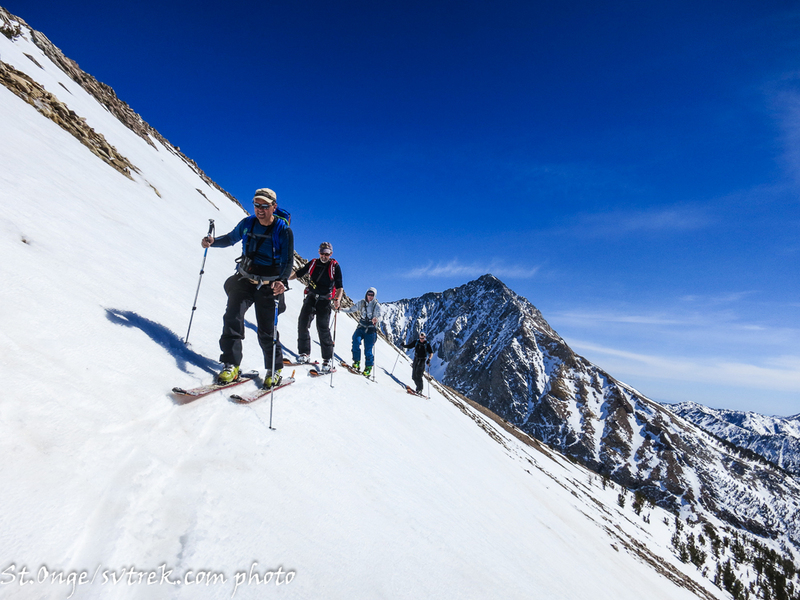 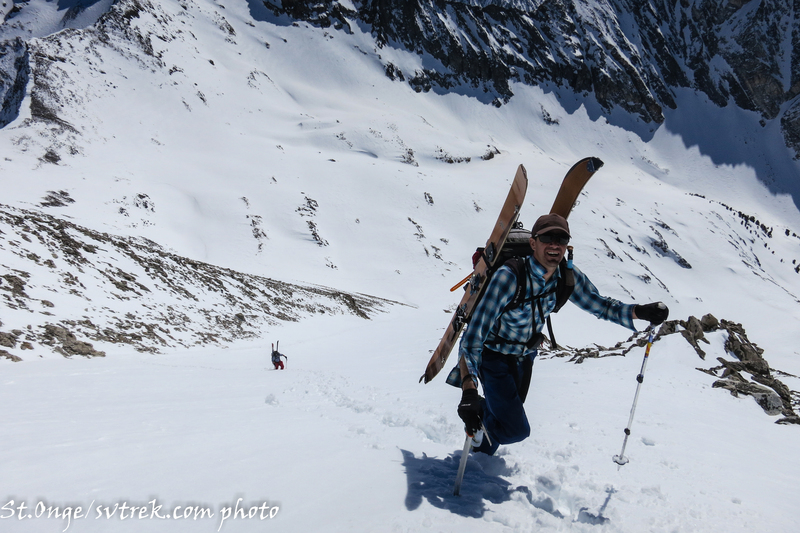 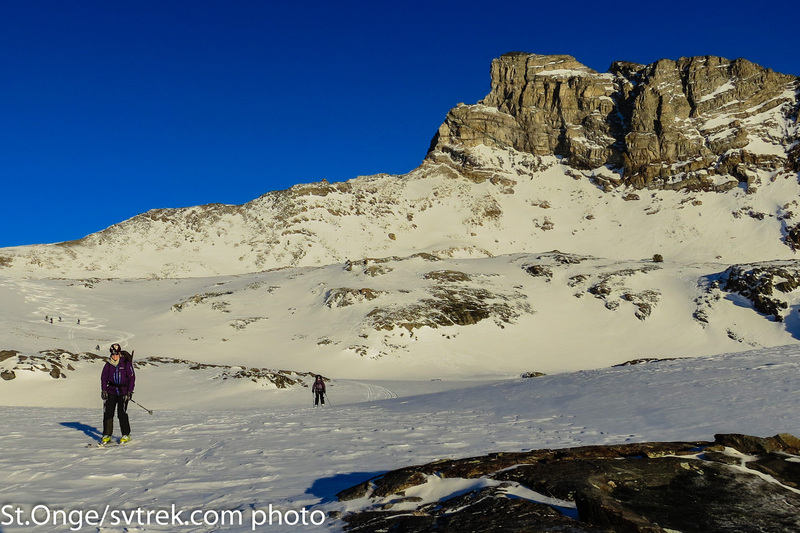 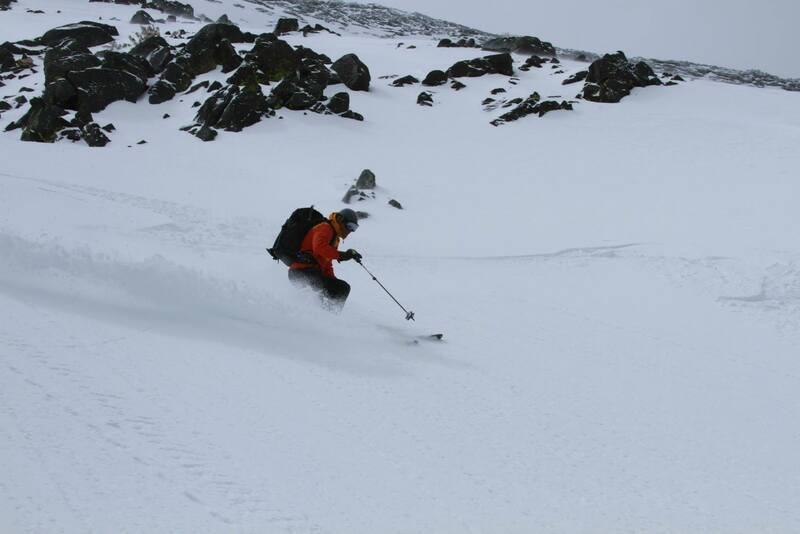 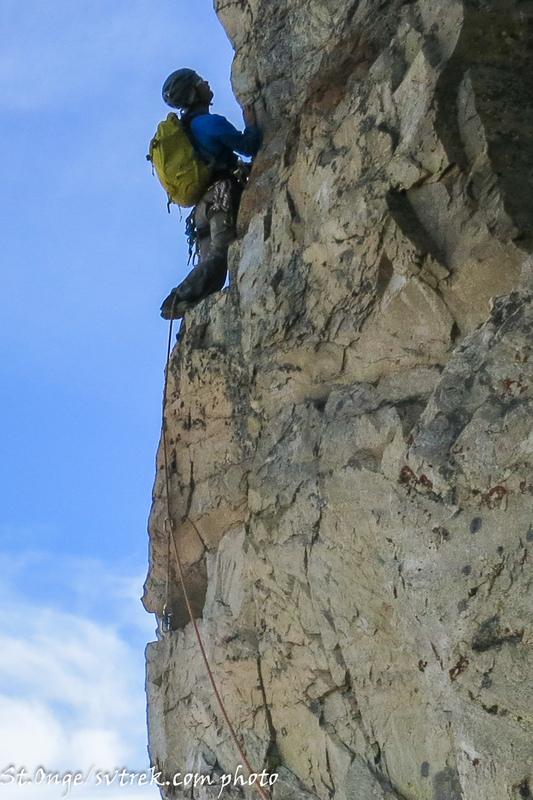 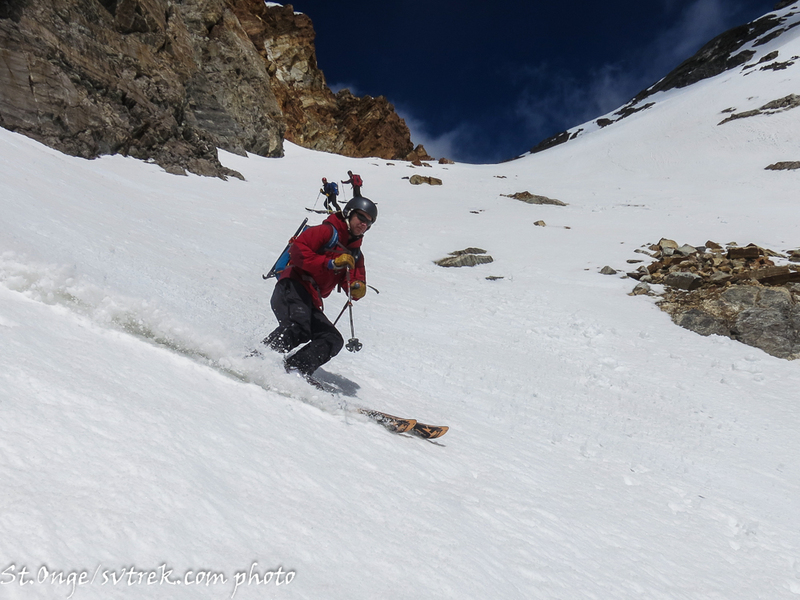 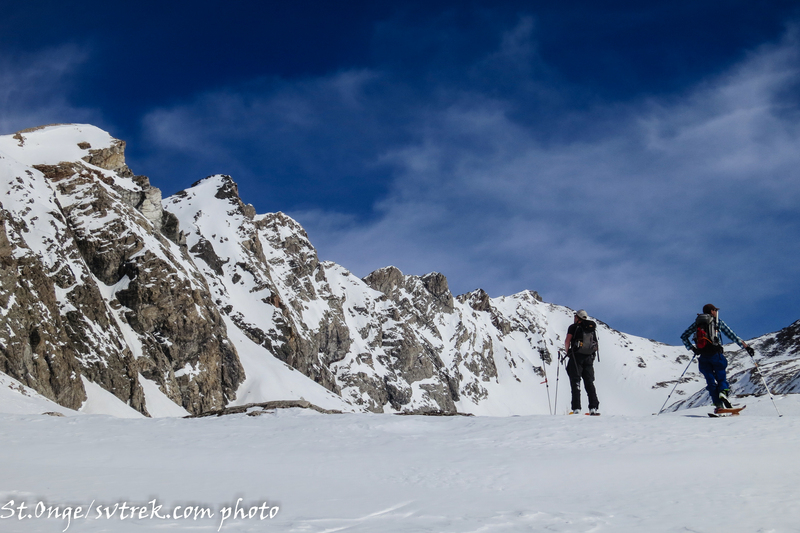 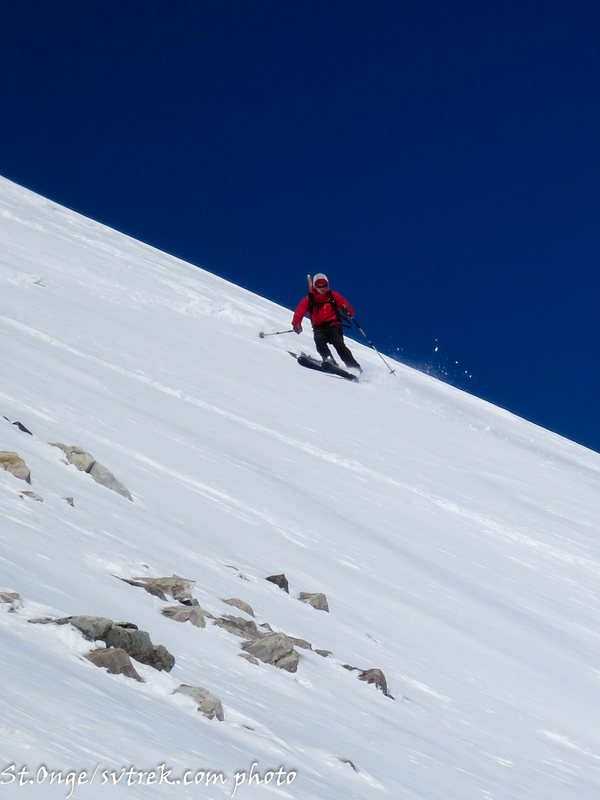 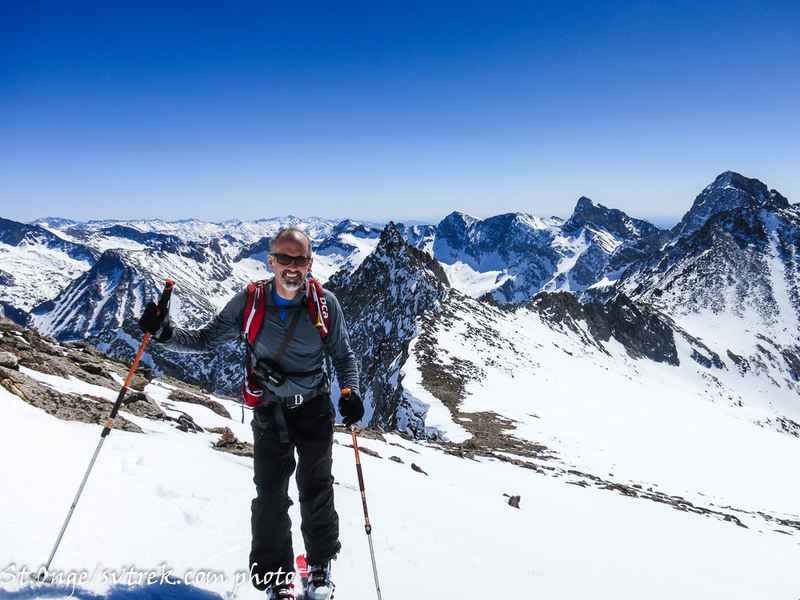 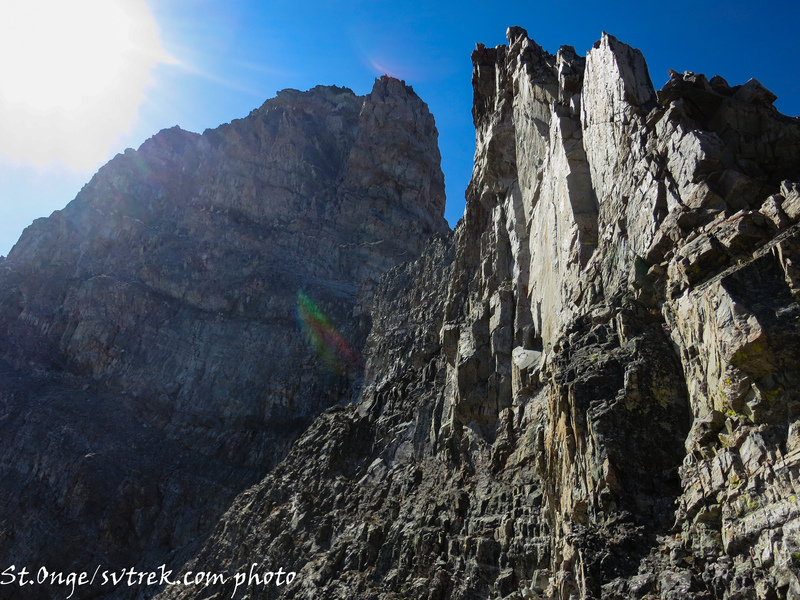 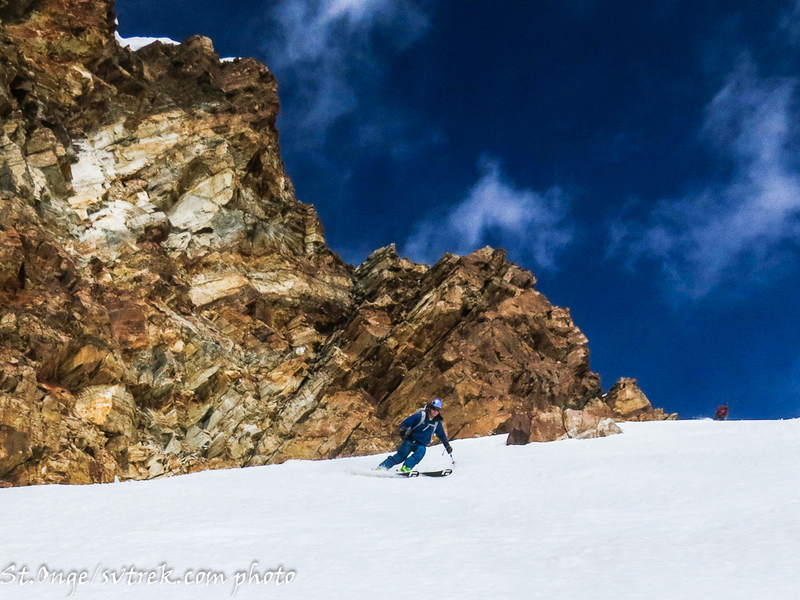 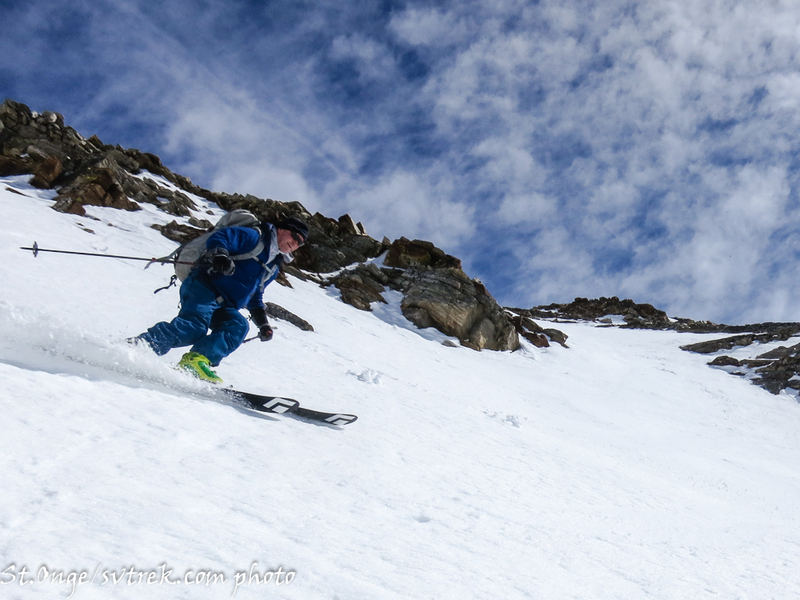 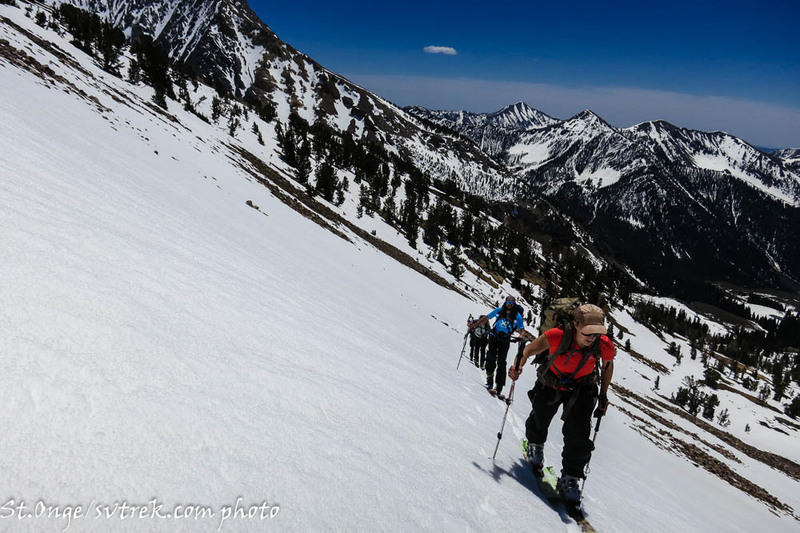 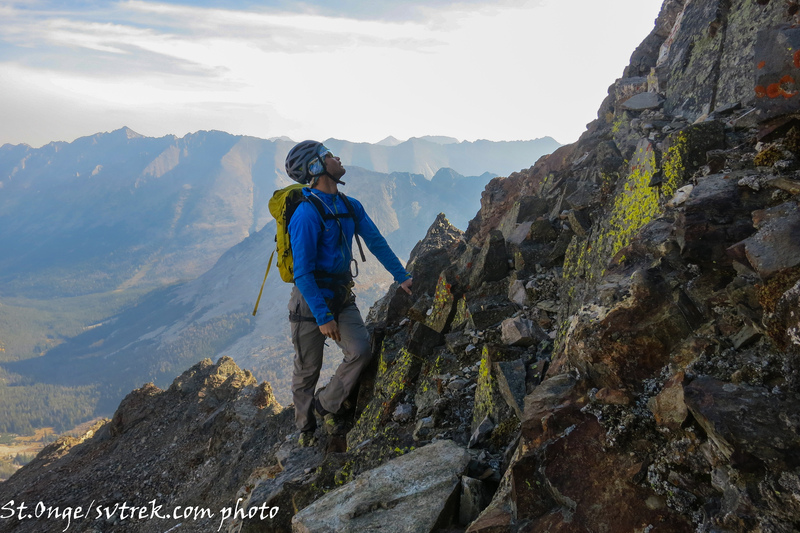 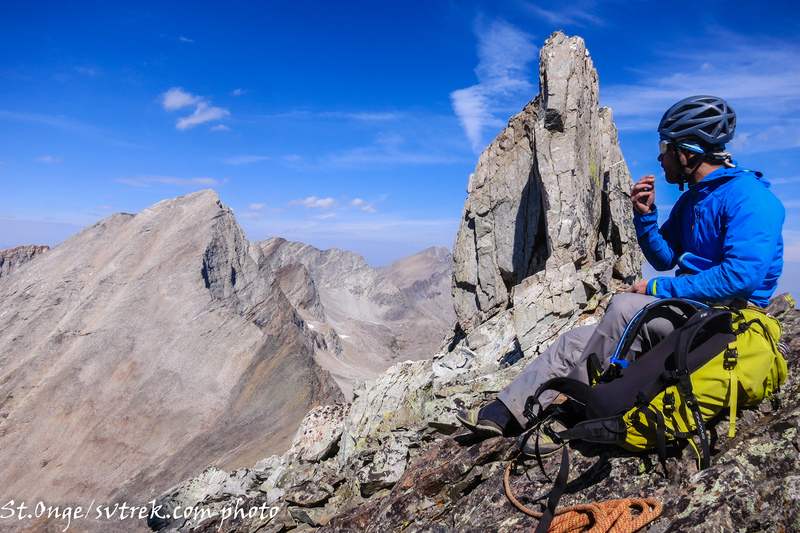 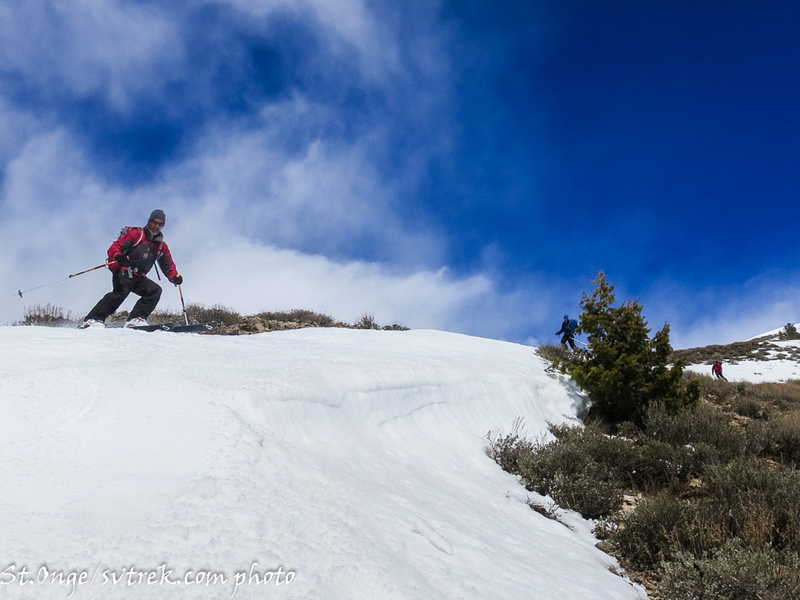 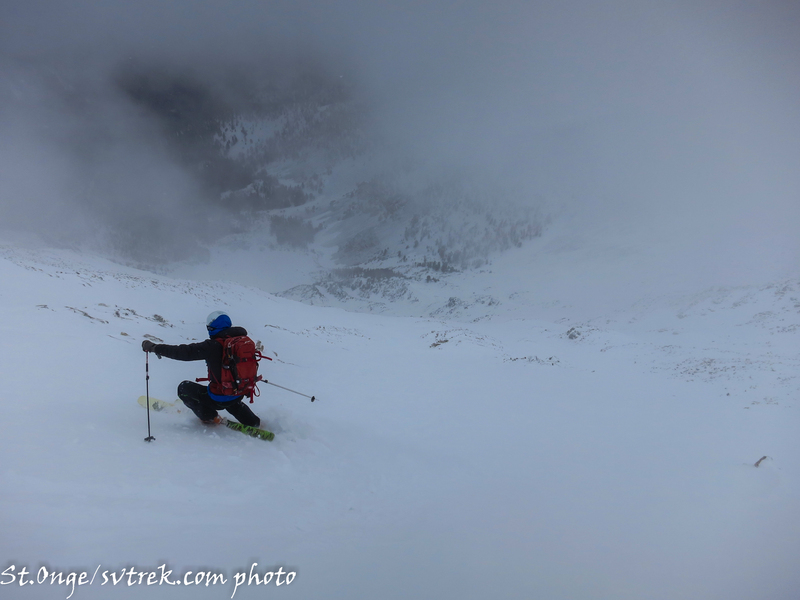 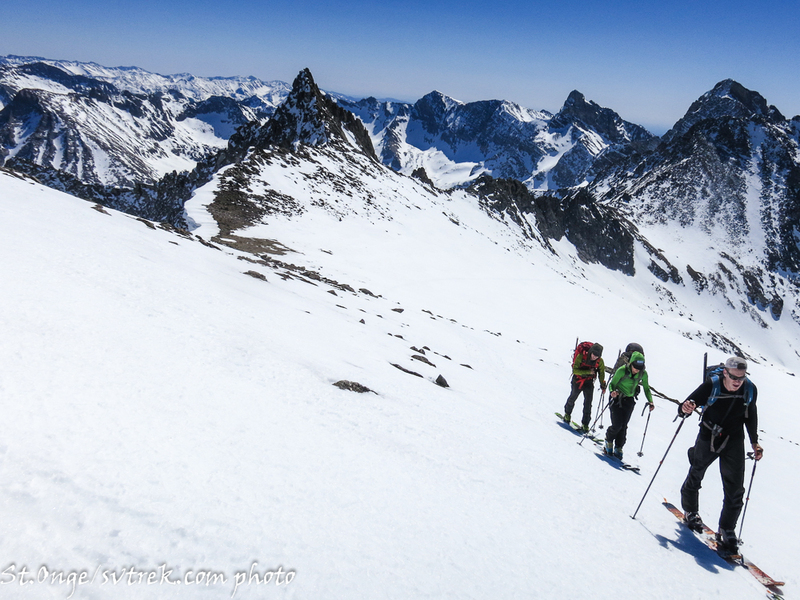 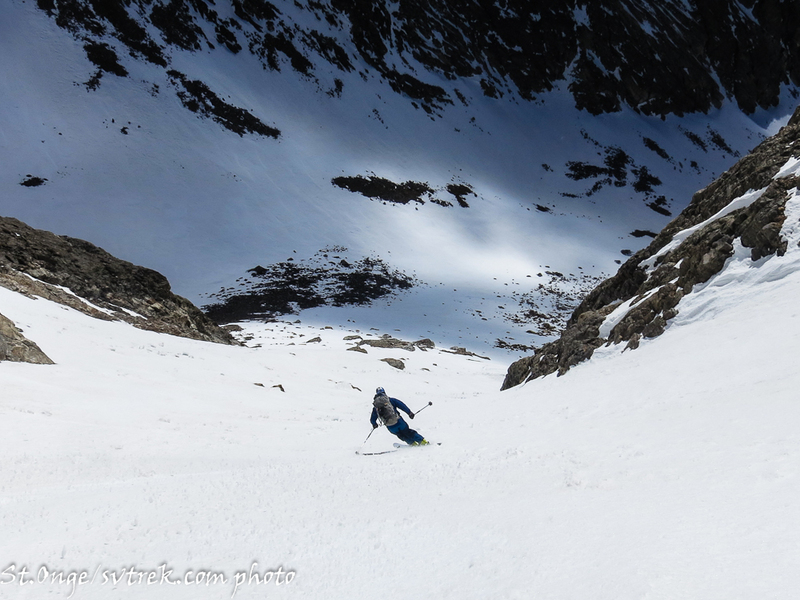 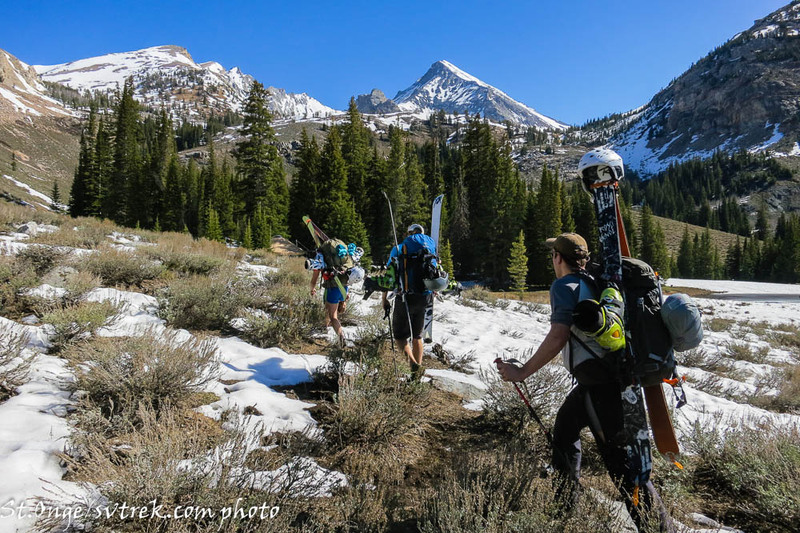 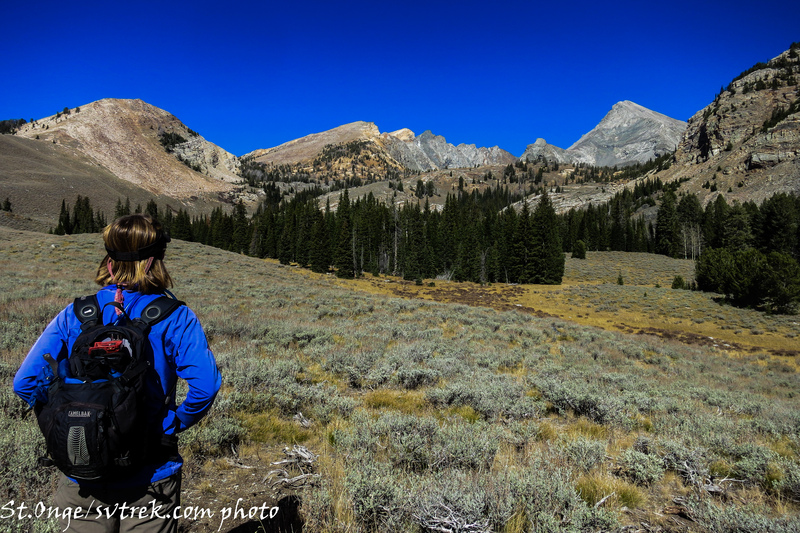 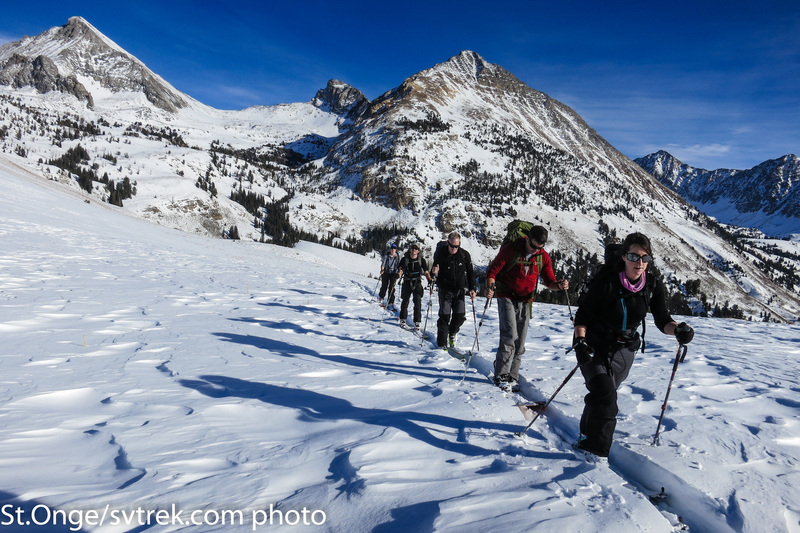 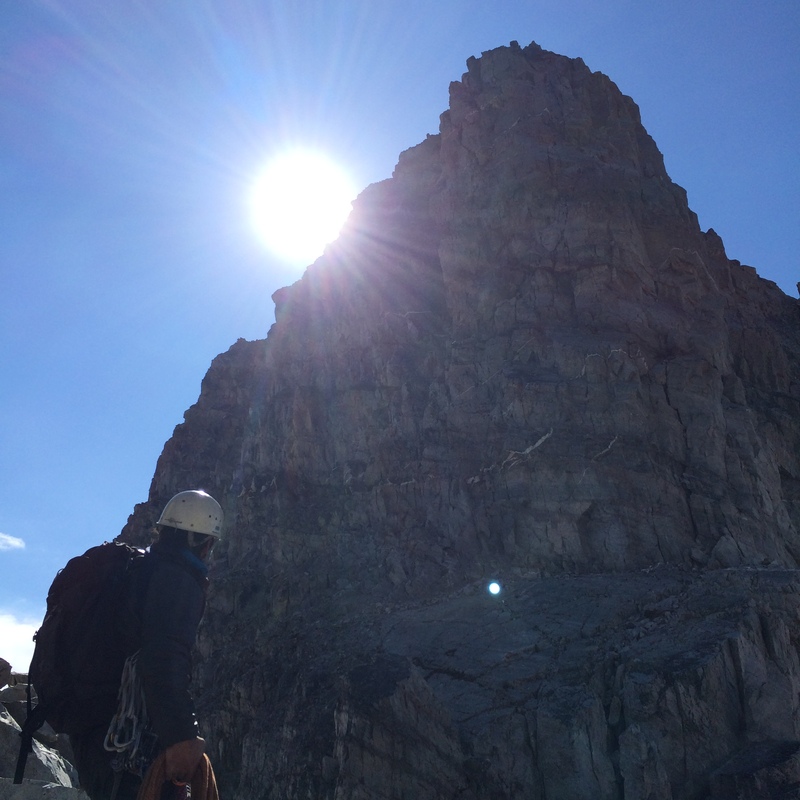 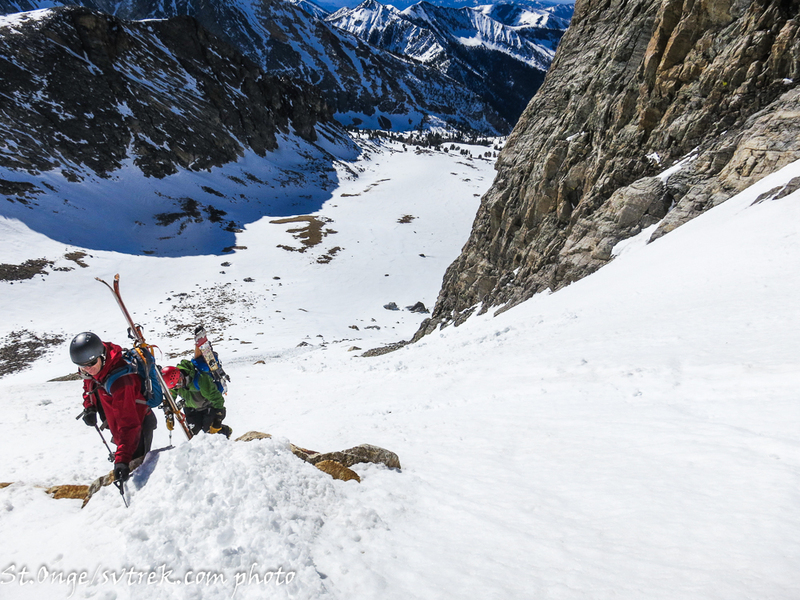 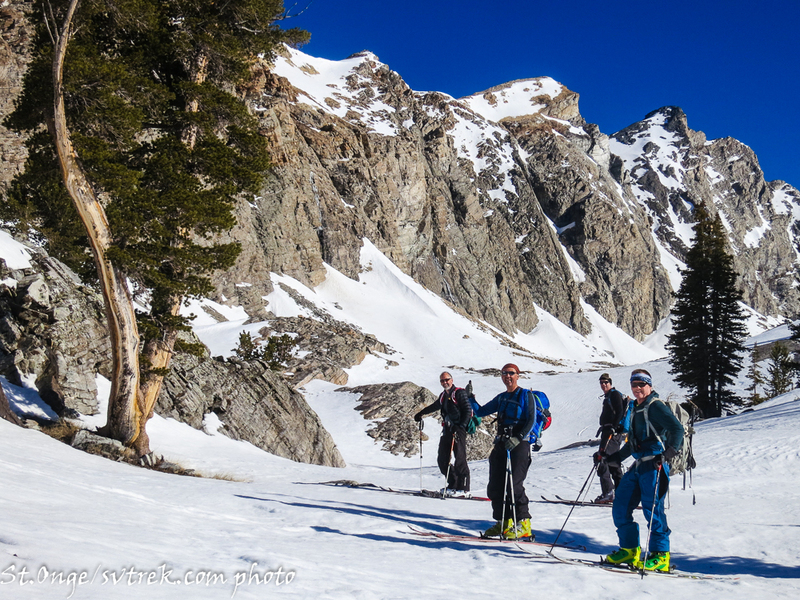 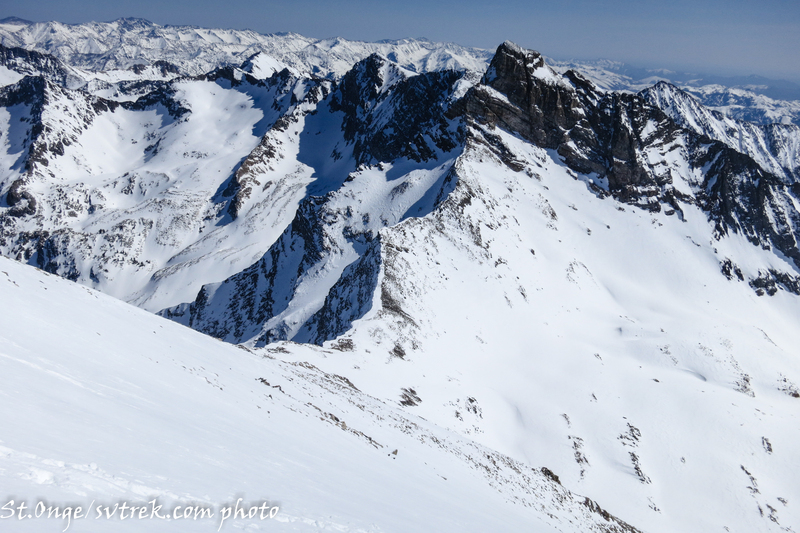 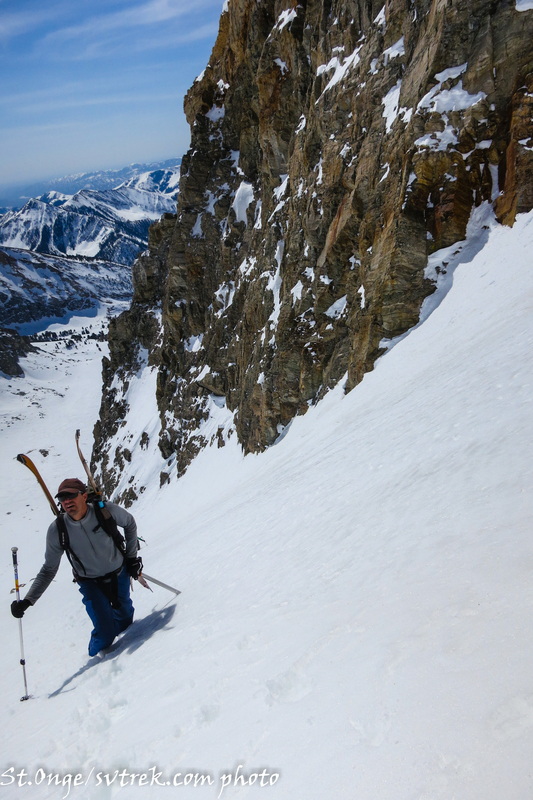 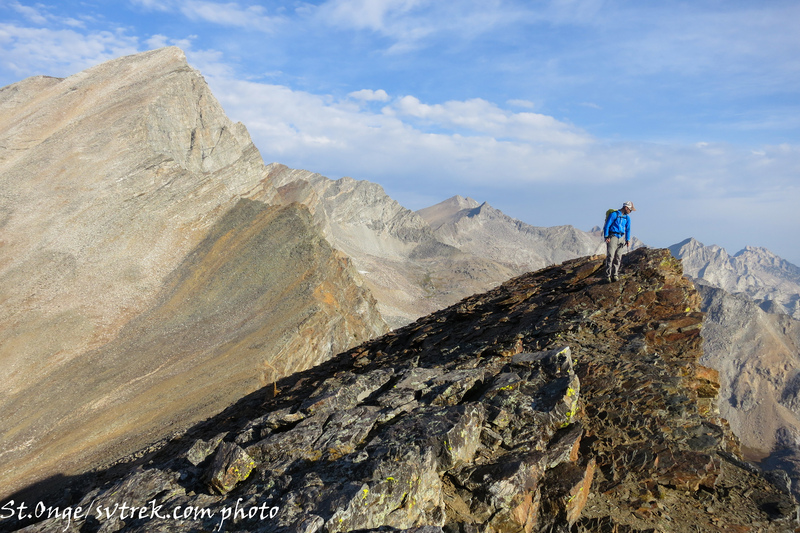 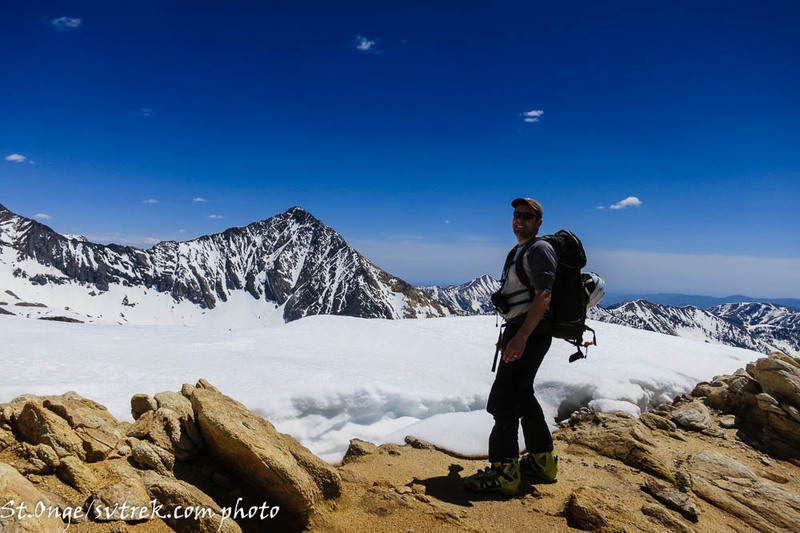 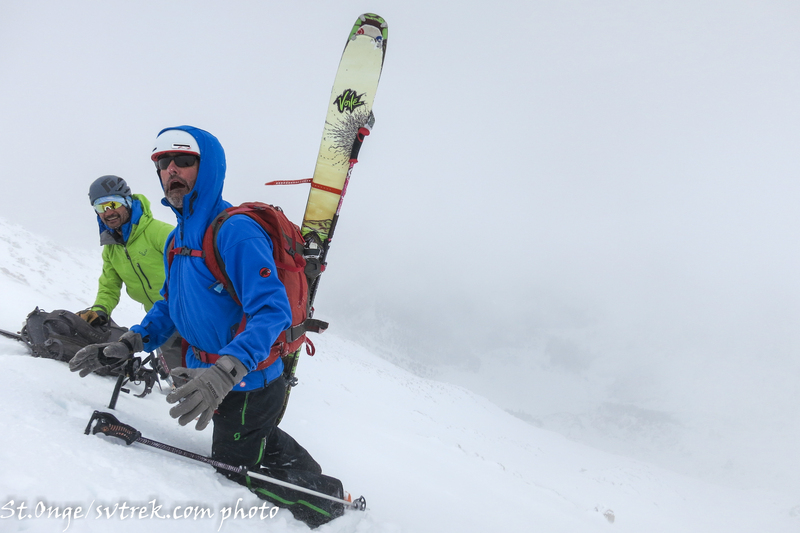 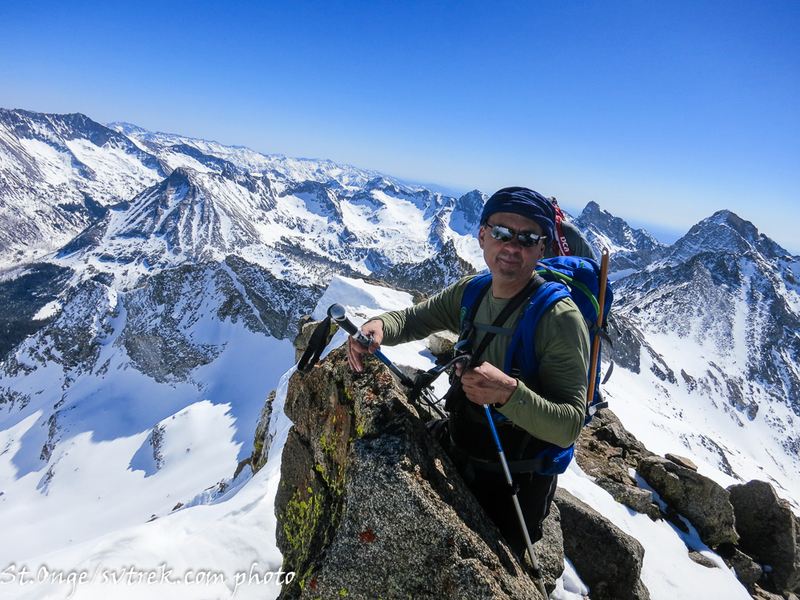 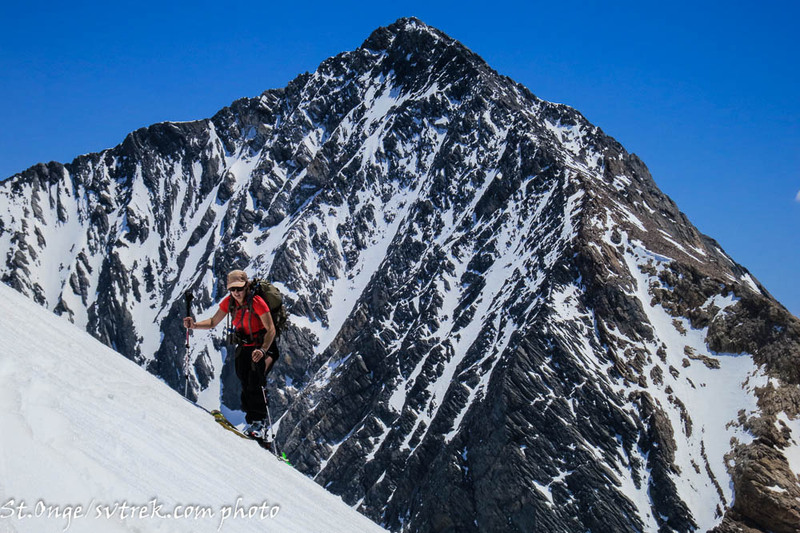 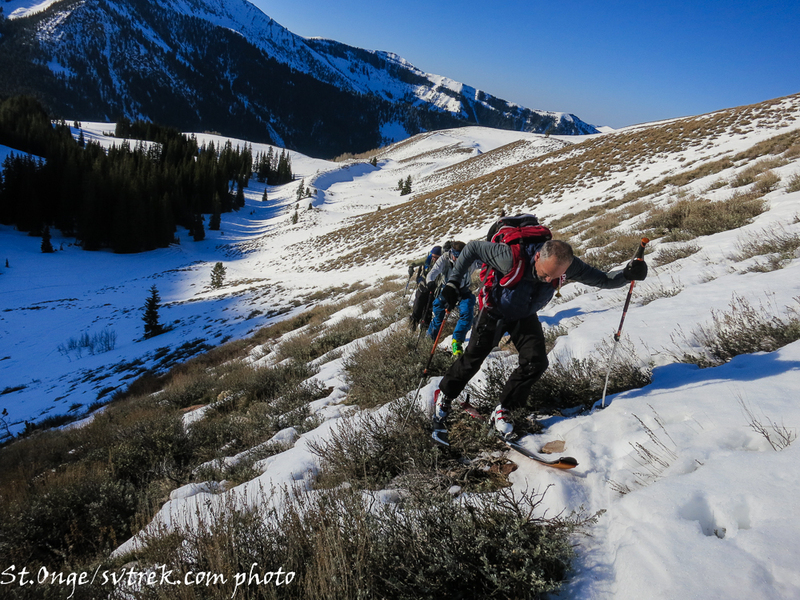 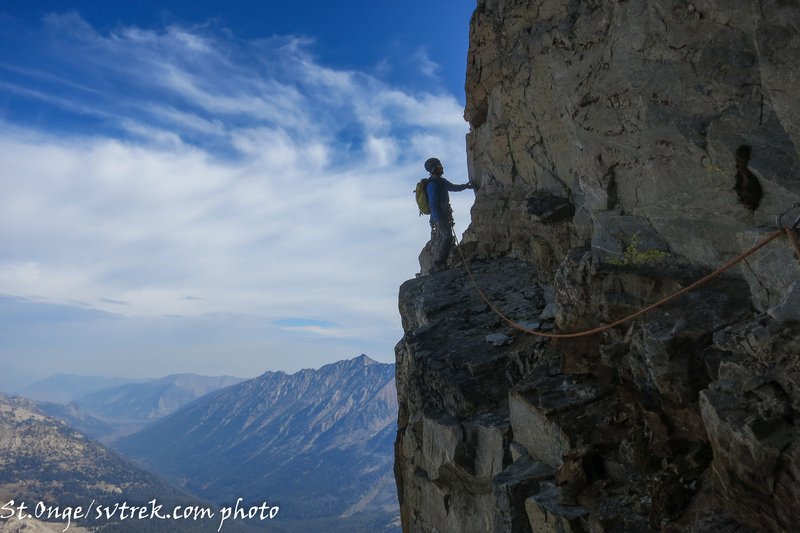 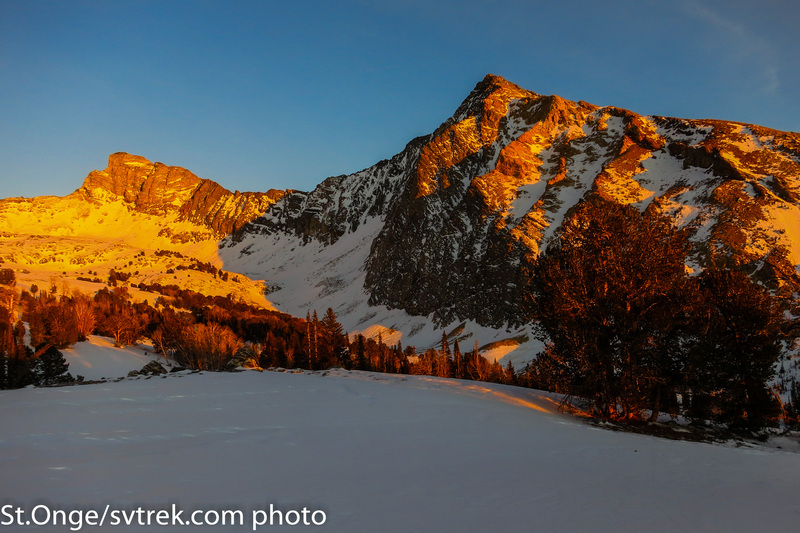 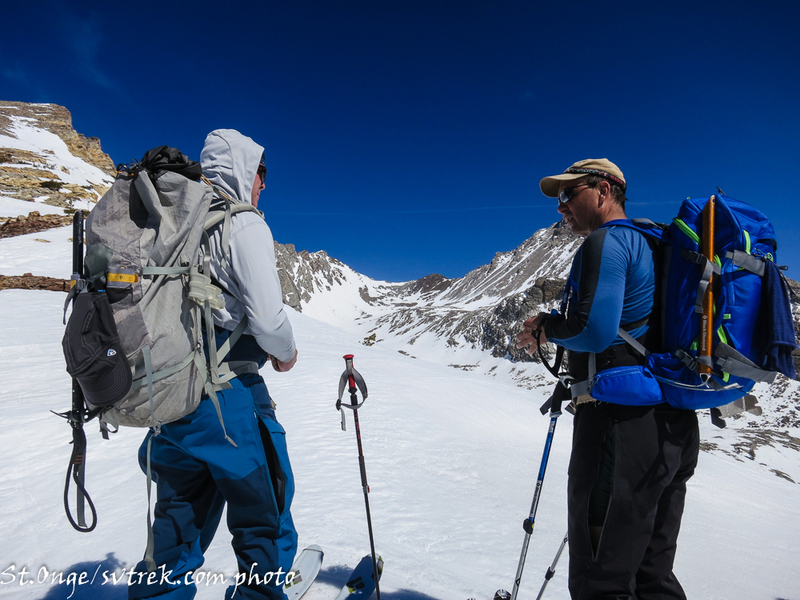 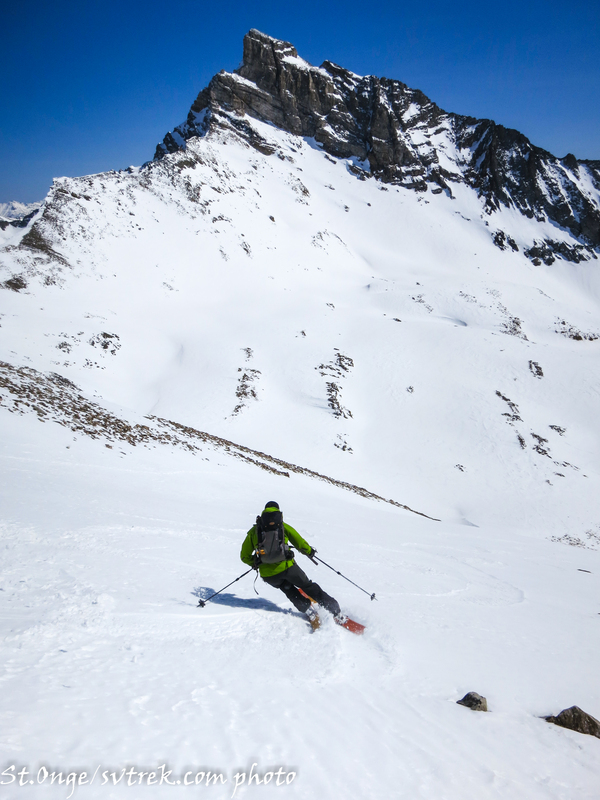 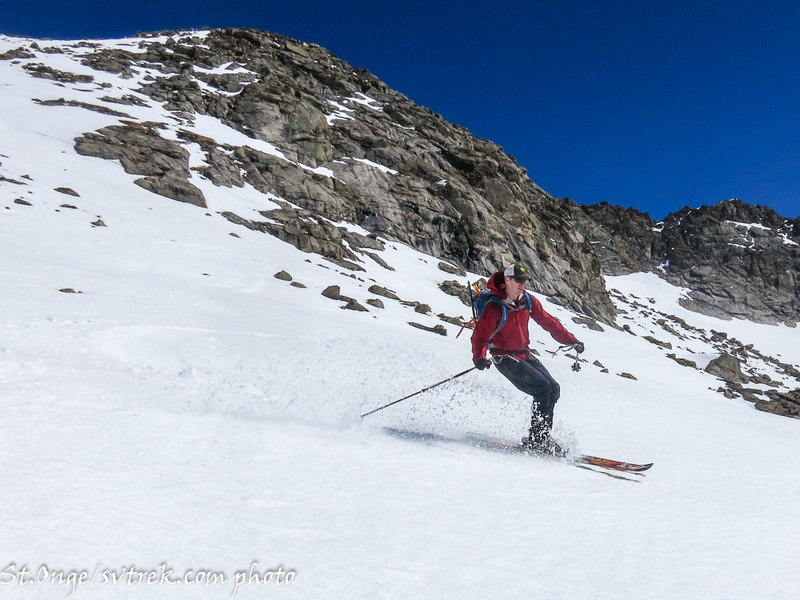 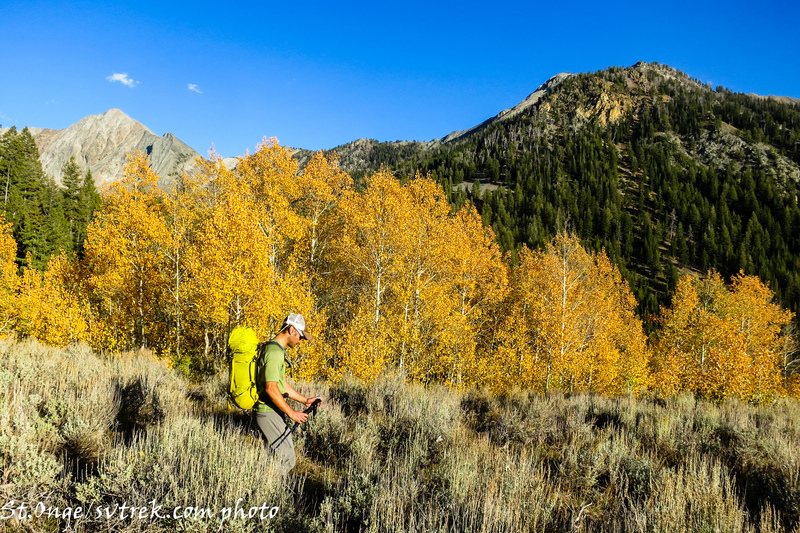 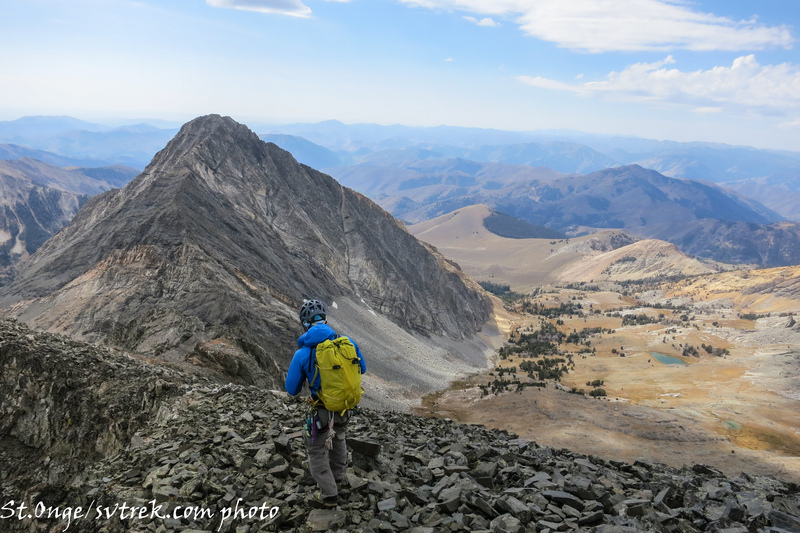 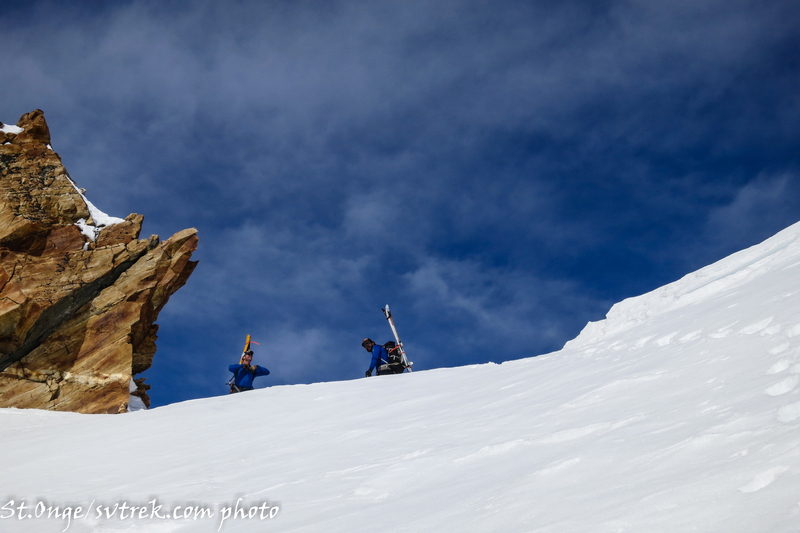 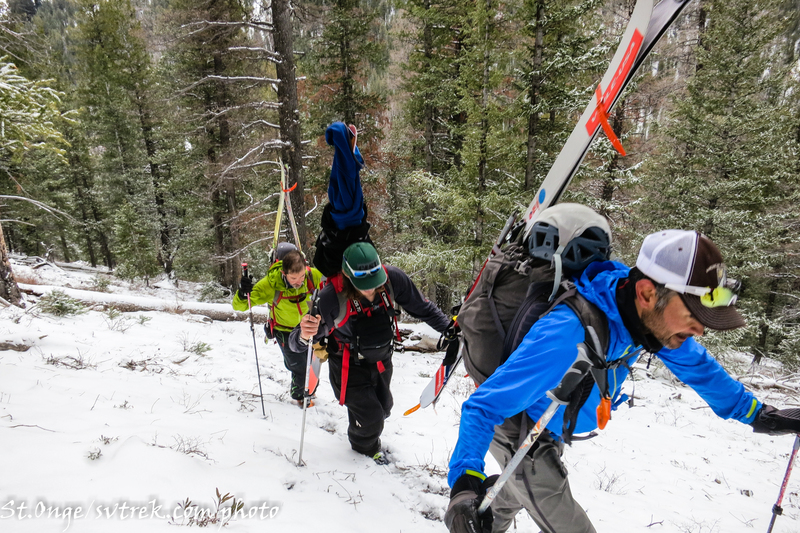 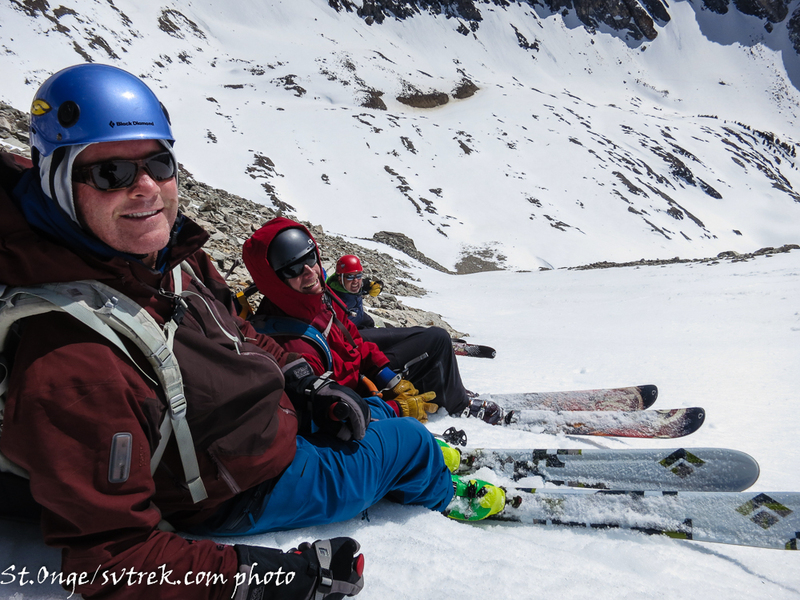 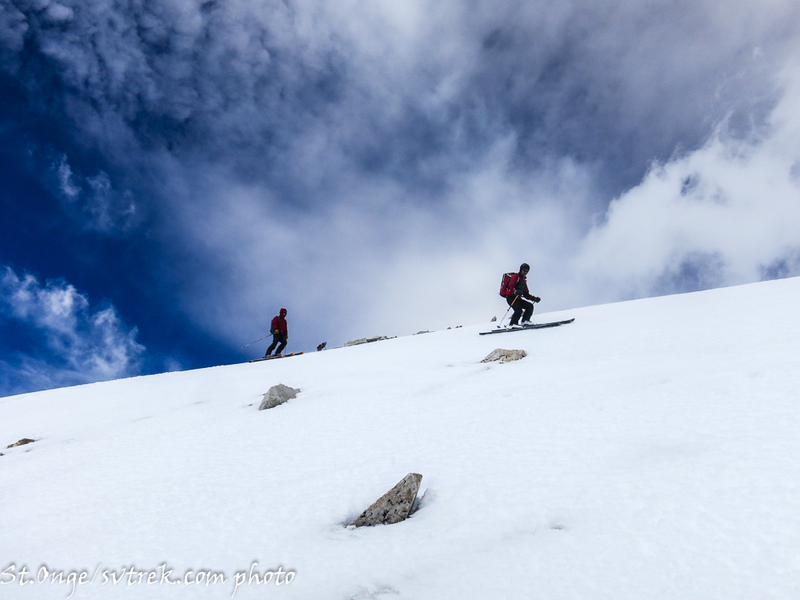 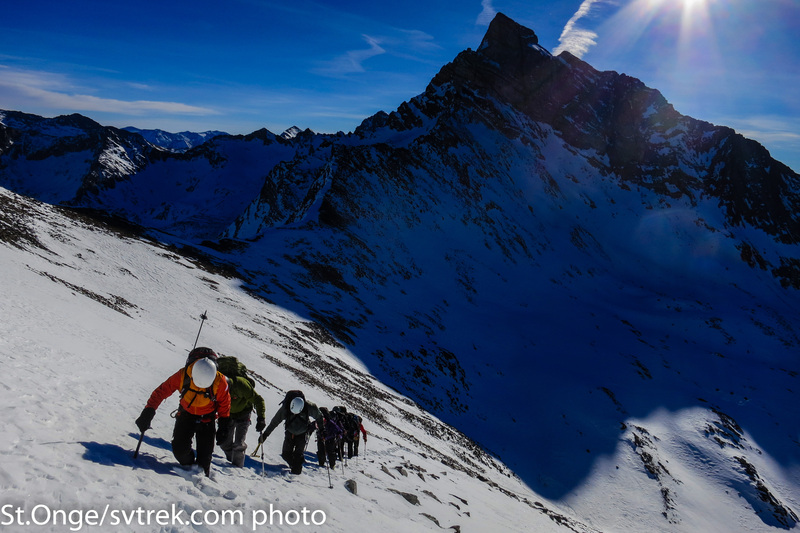 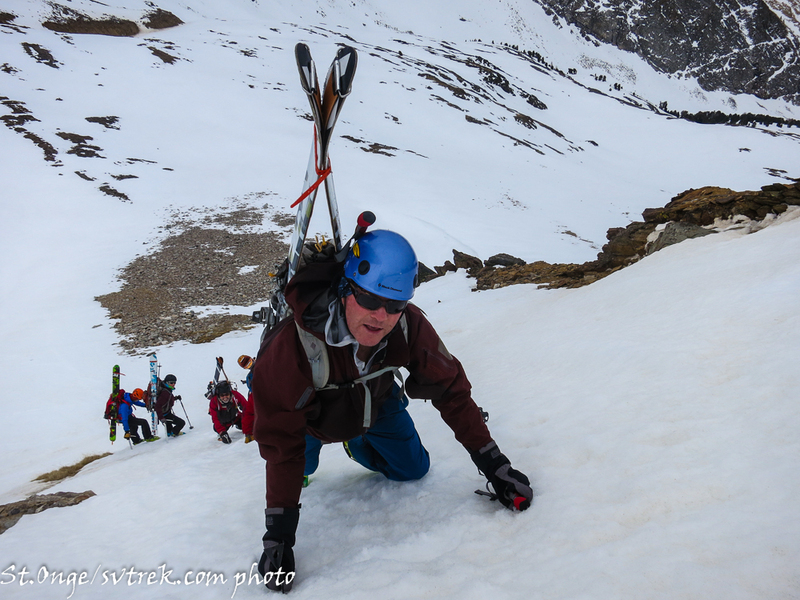 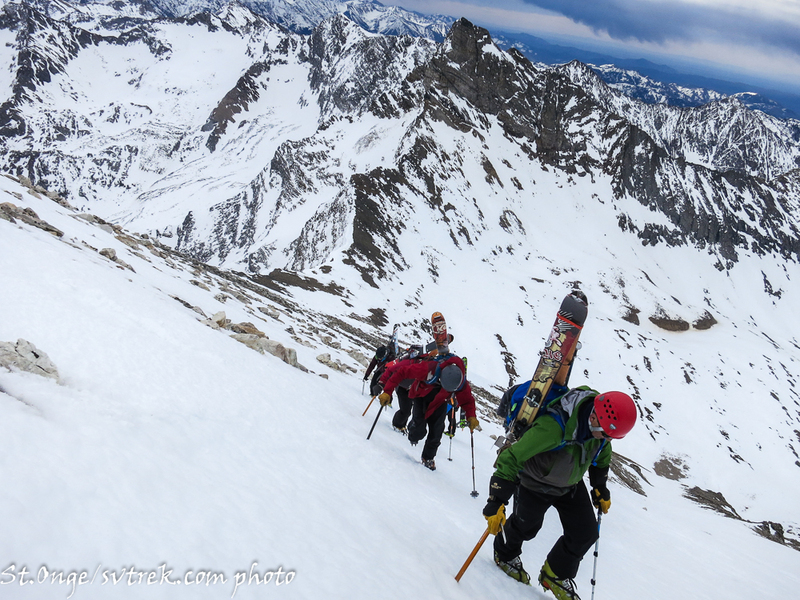 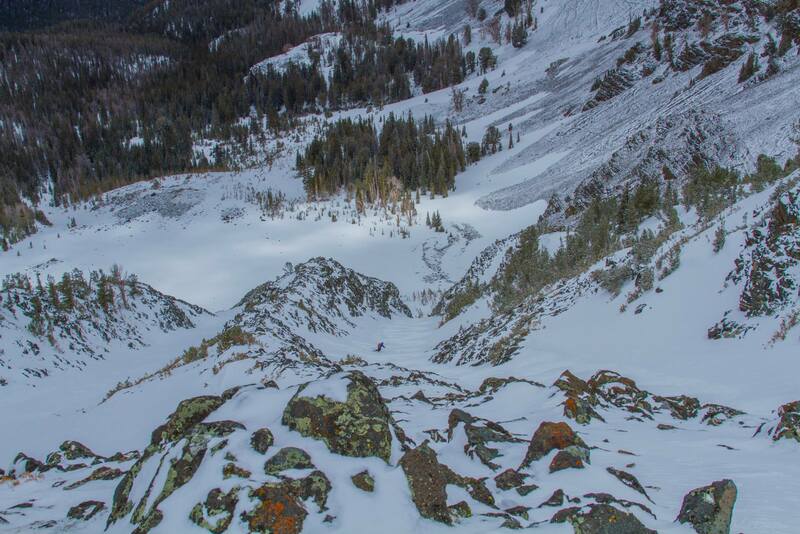 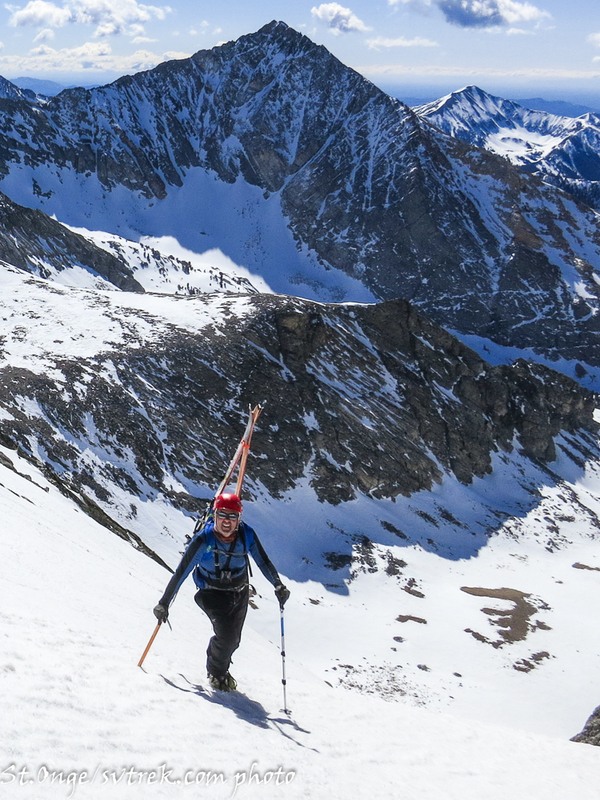 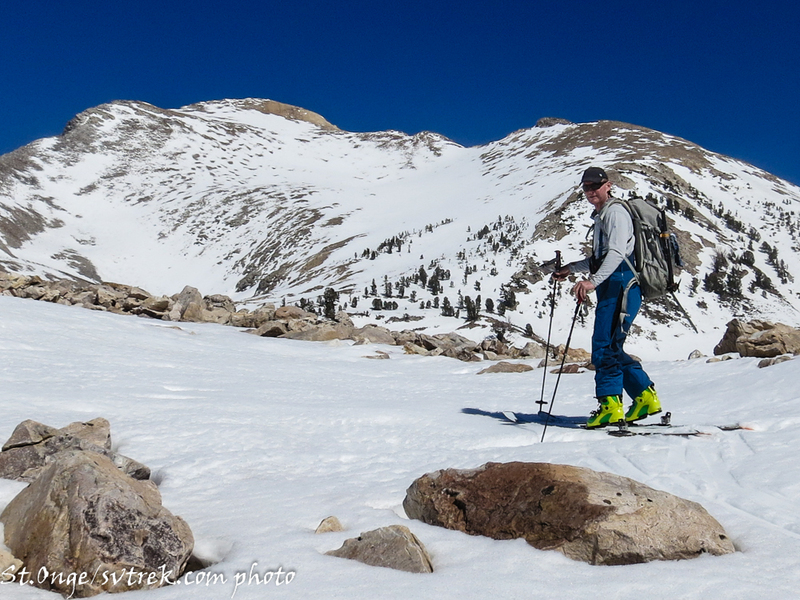 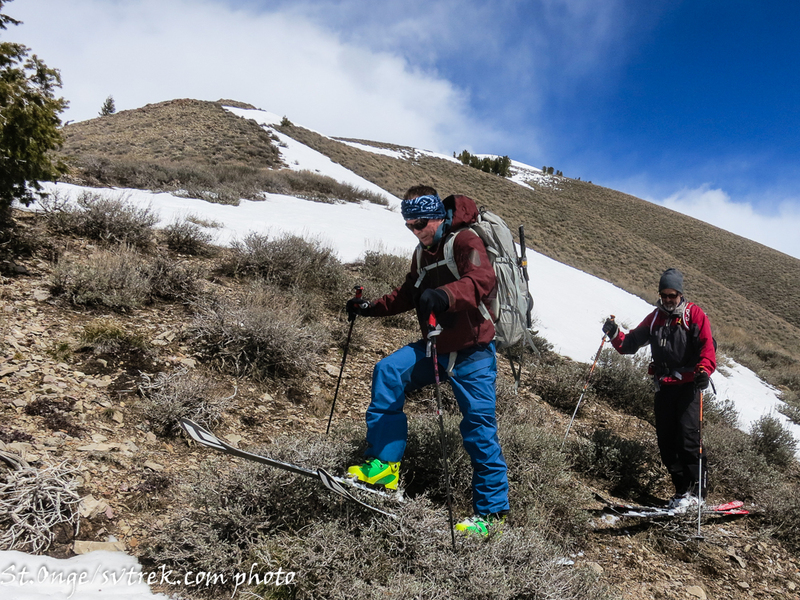 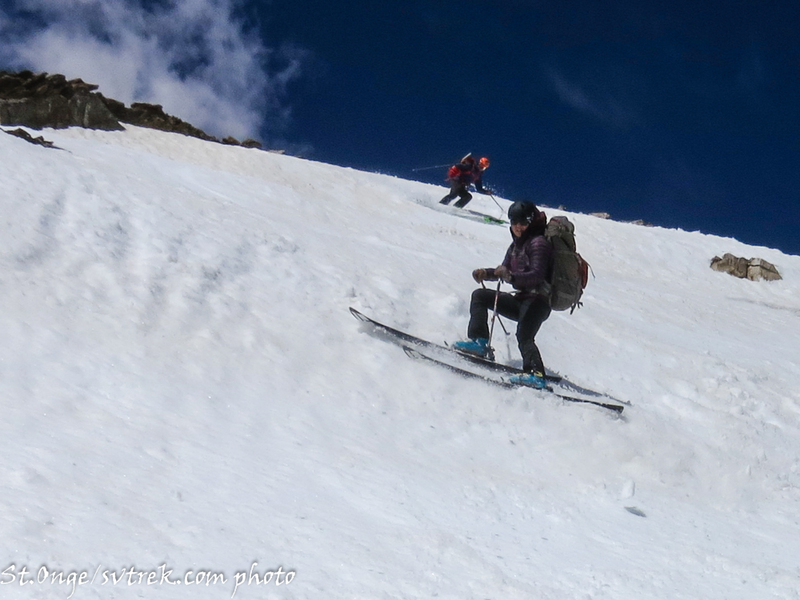 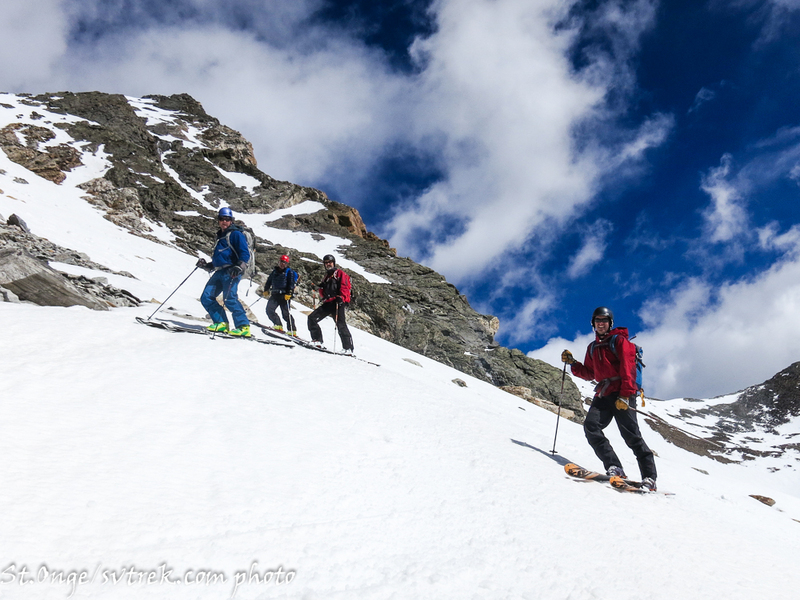 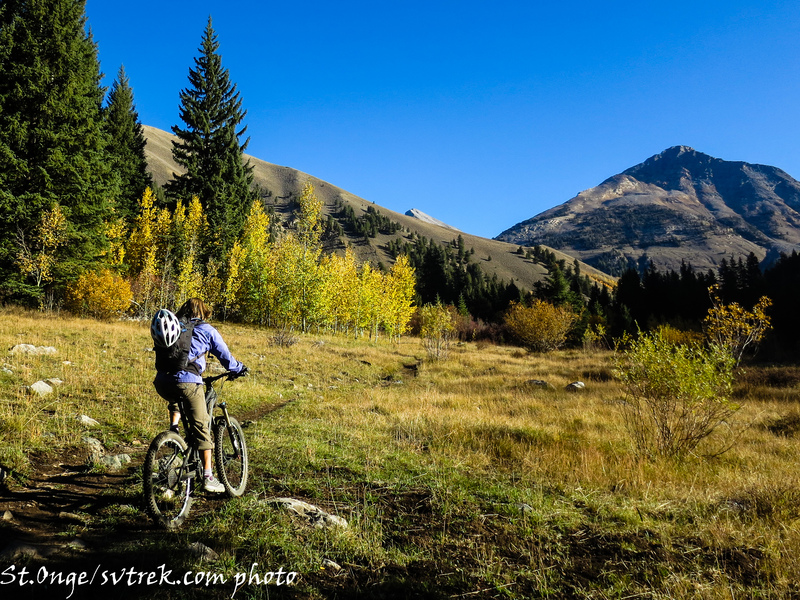 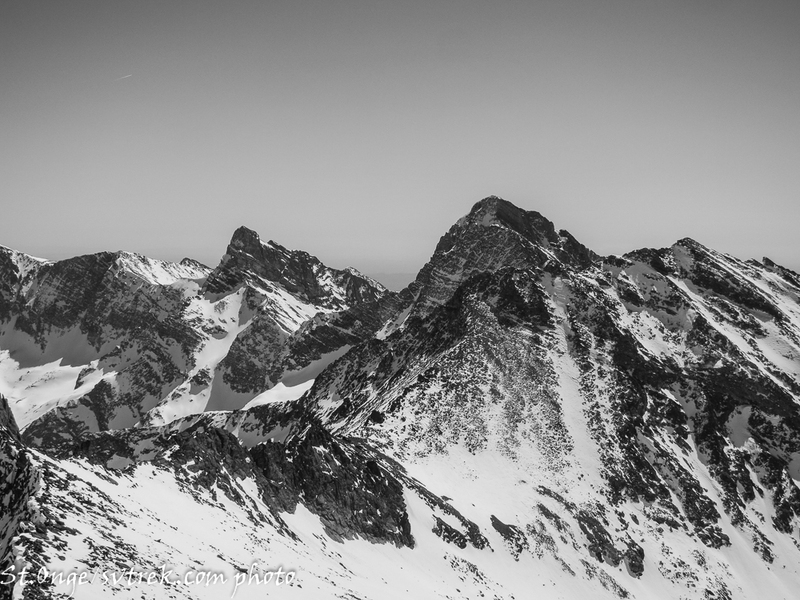 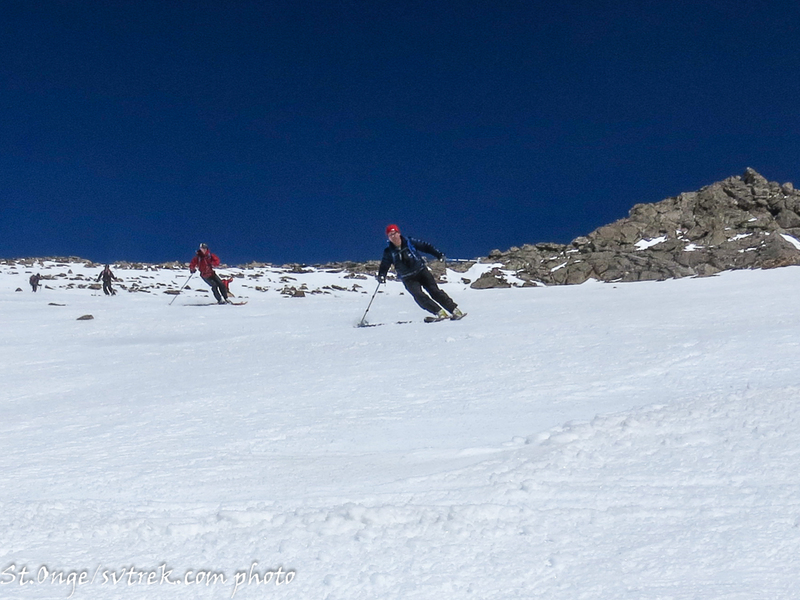 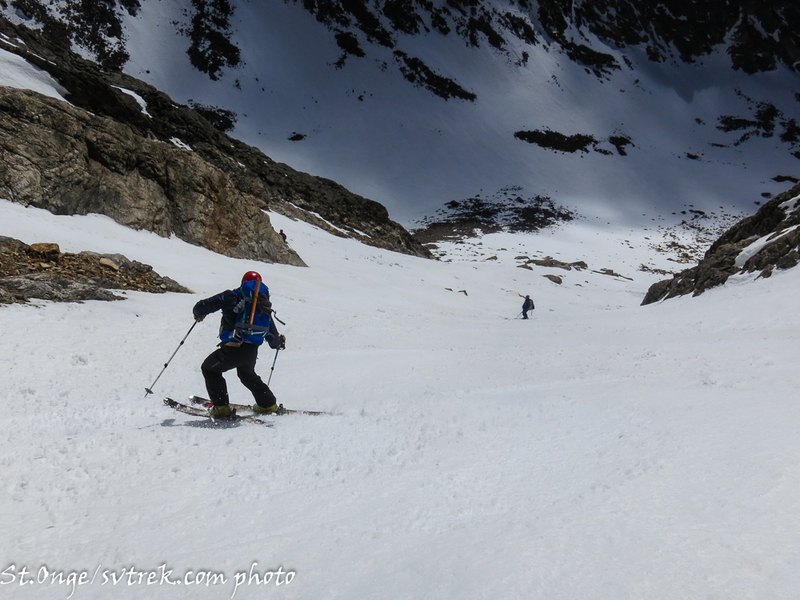 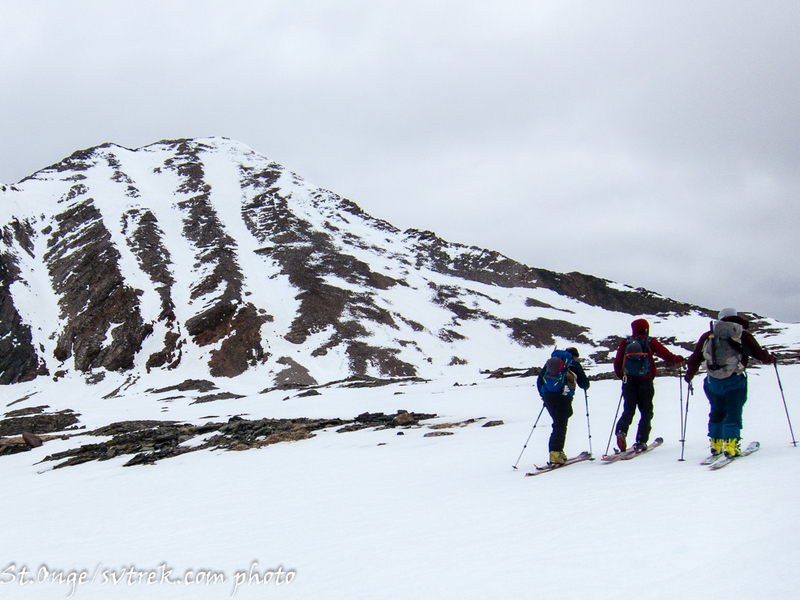 It’s ski mountaineering season here in the high peaks of Idaho! 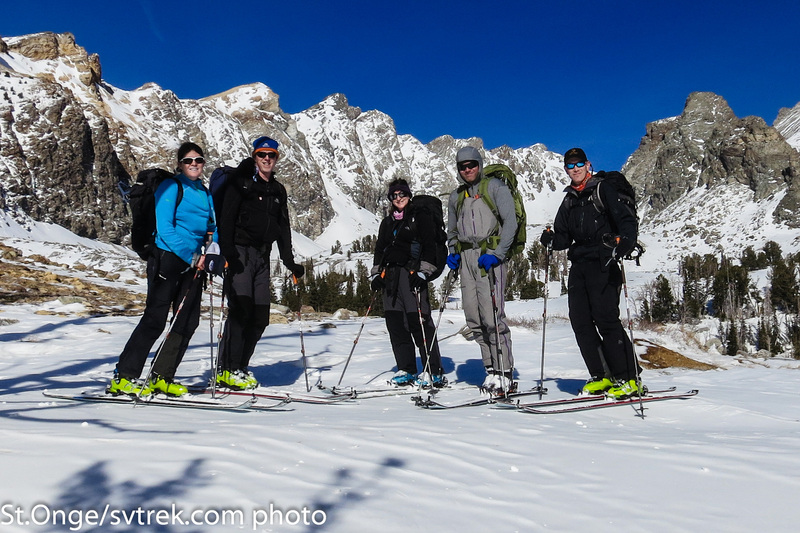 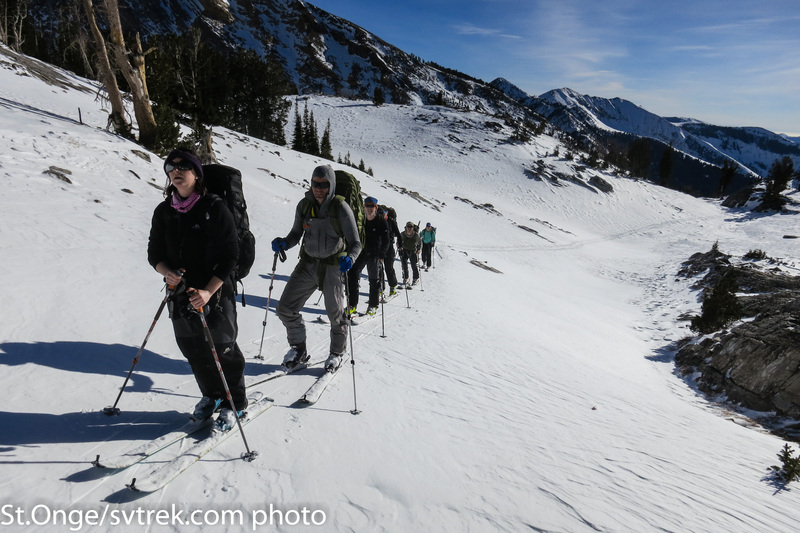 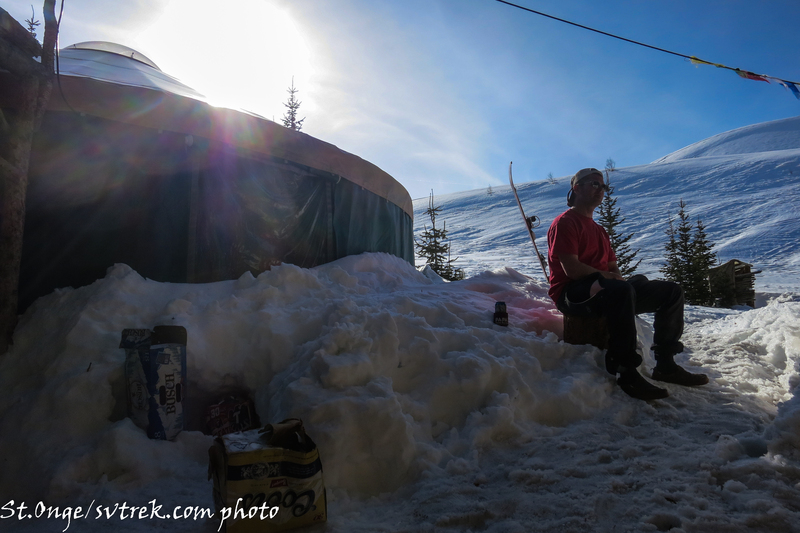 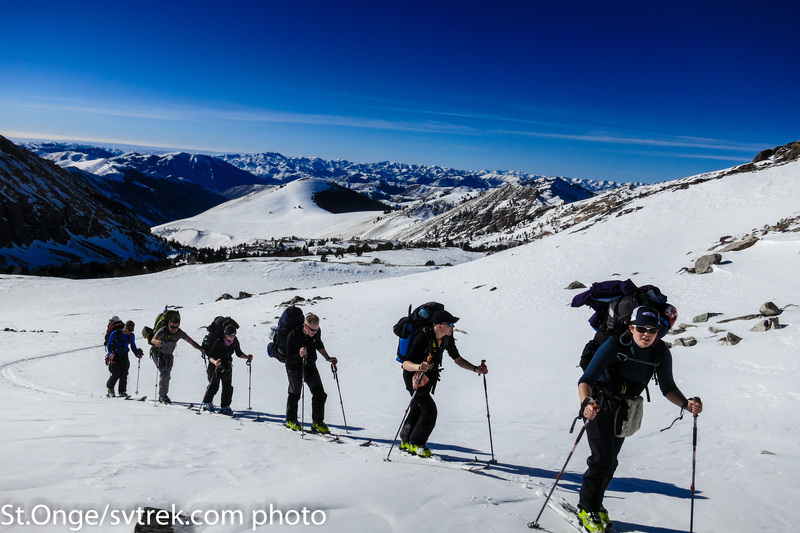 SVT guide, Joe St.Onge, and a group of intrepid Montanans are just back from 4 days of peak skiing based out of the Pioneer Yurt. 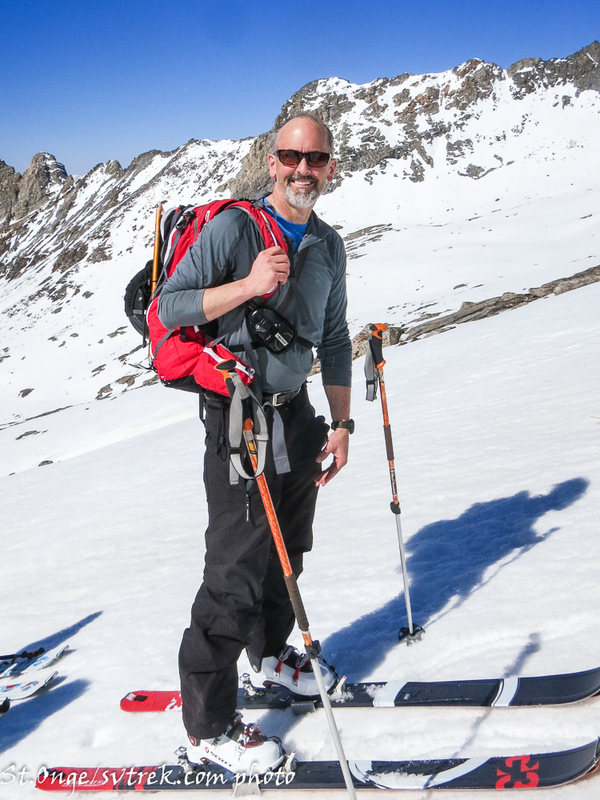 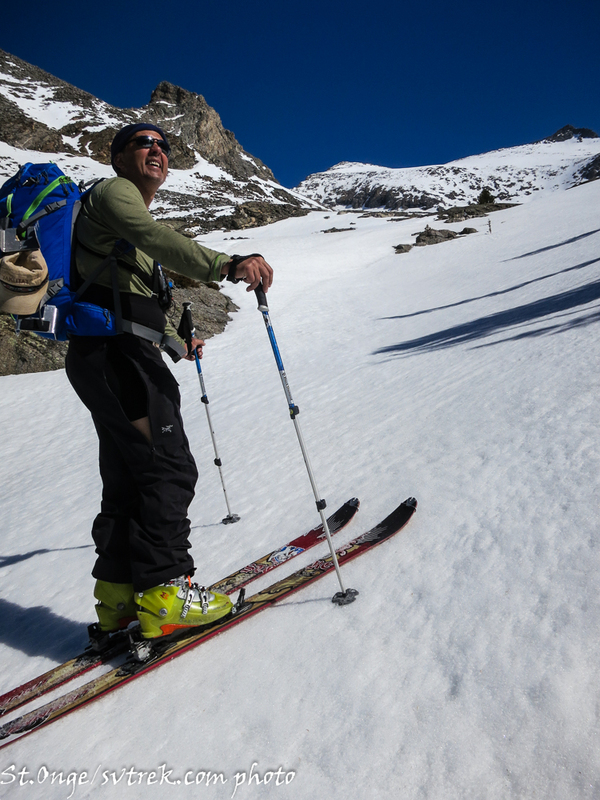 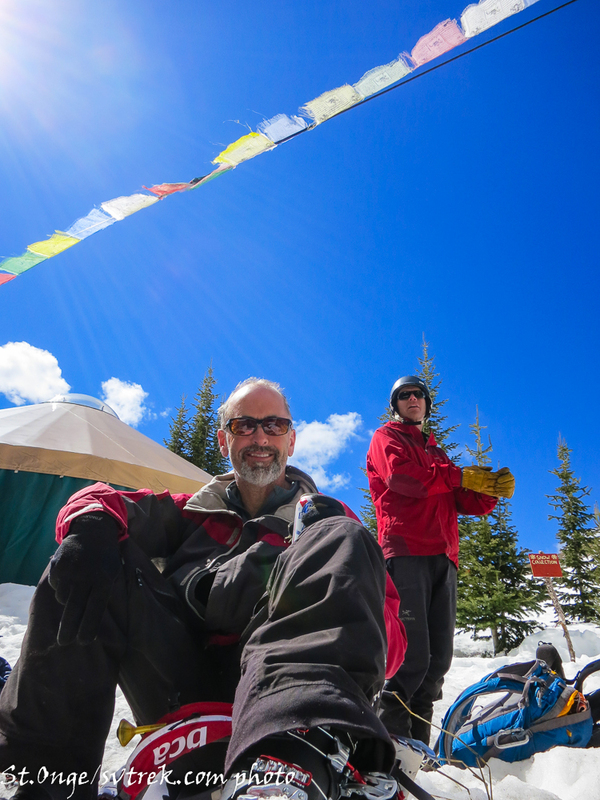 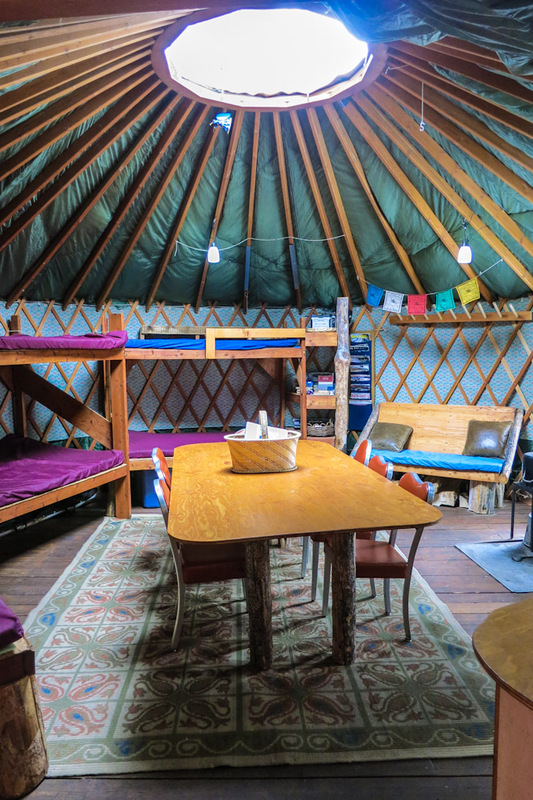 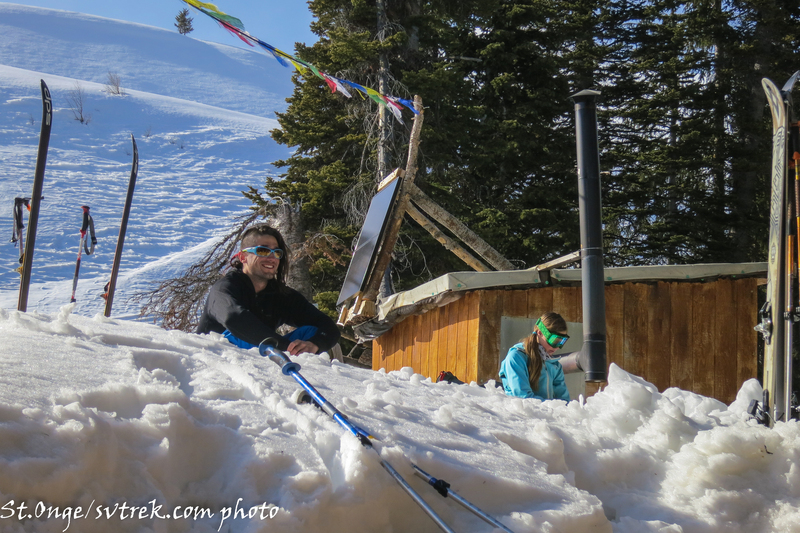 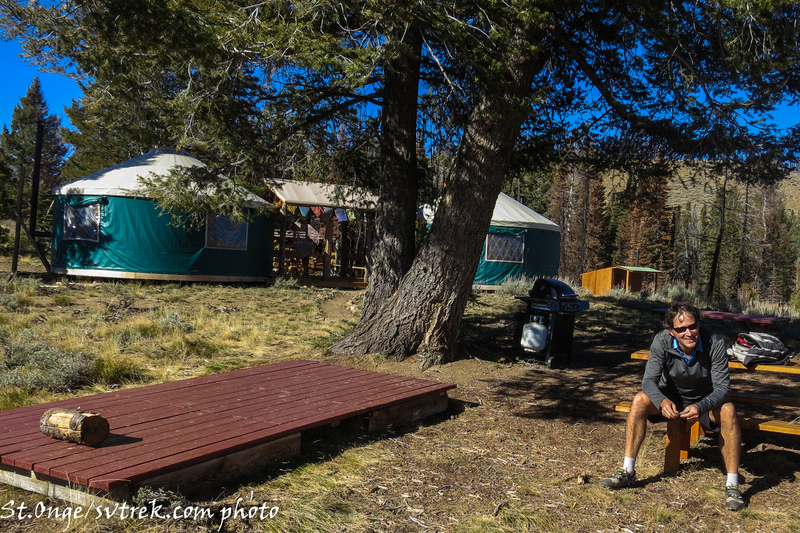 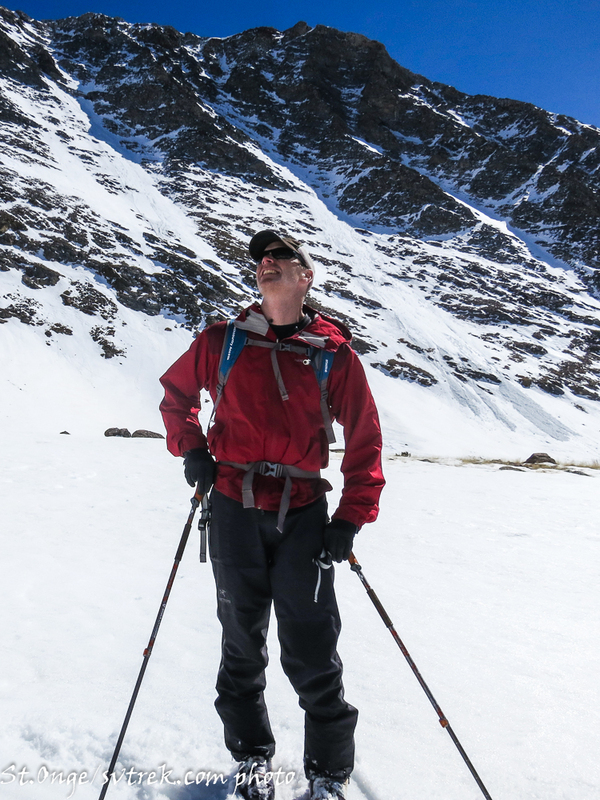 While the snow has been rapidly melting this spring, we are still finding good to excellent ski conditions in the alpine, and the Pioneer Yurt is a great place to visit if you want to go alpine! 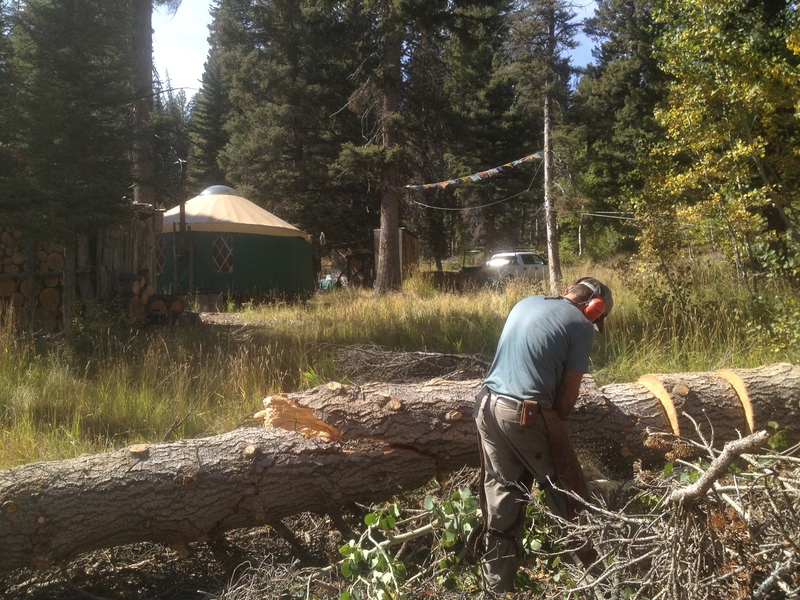 The approach to the Pioneer Yurt is largely snow free at this point (don’t even think about snowmobile access! 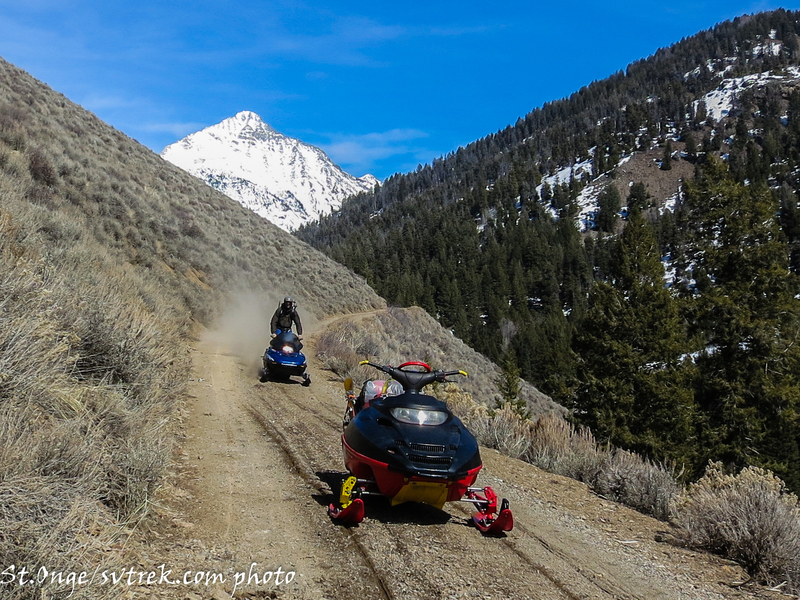 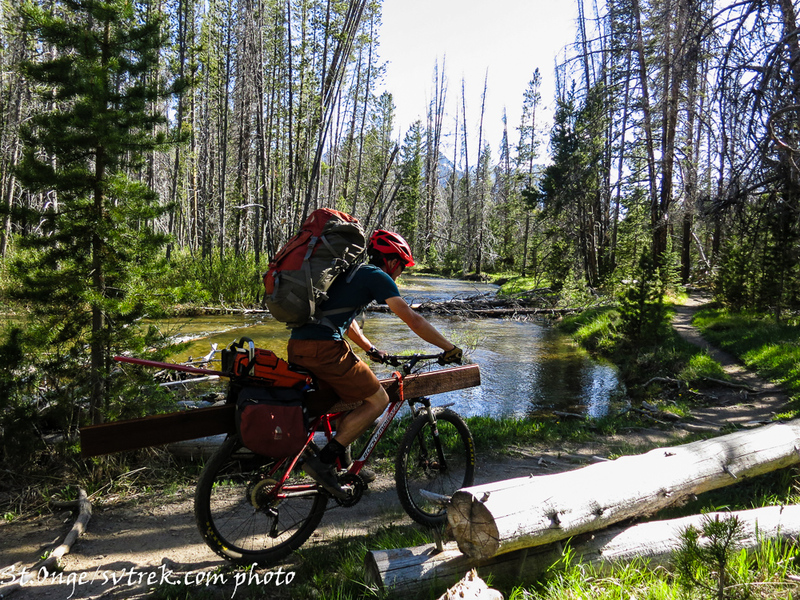 ), but we can drive to the summer trailhead. 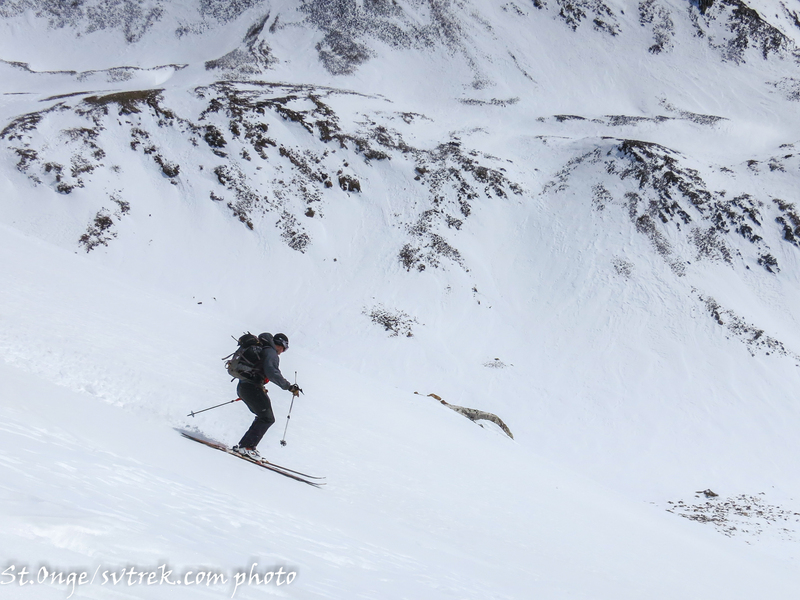 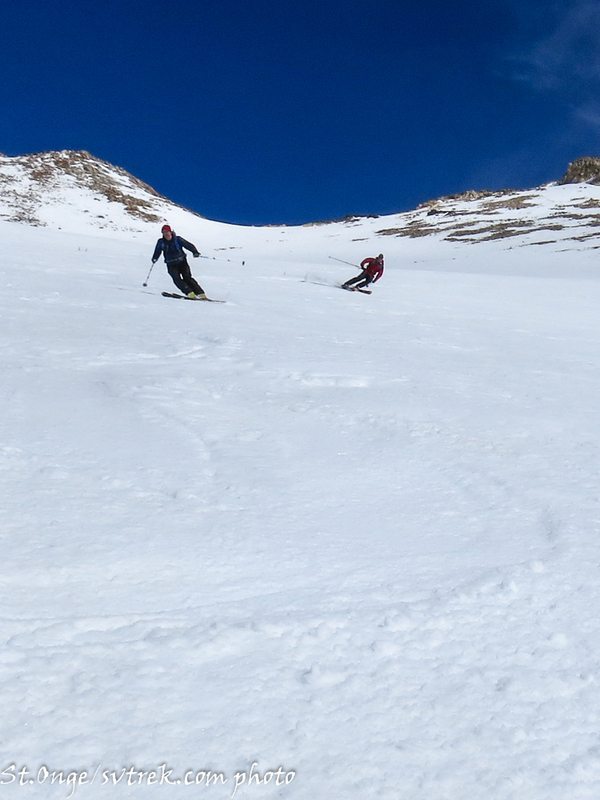 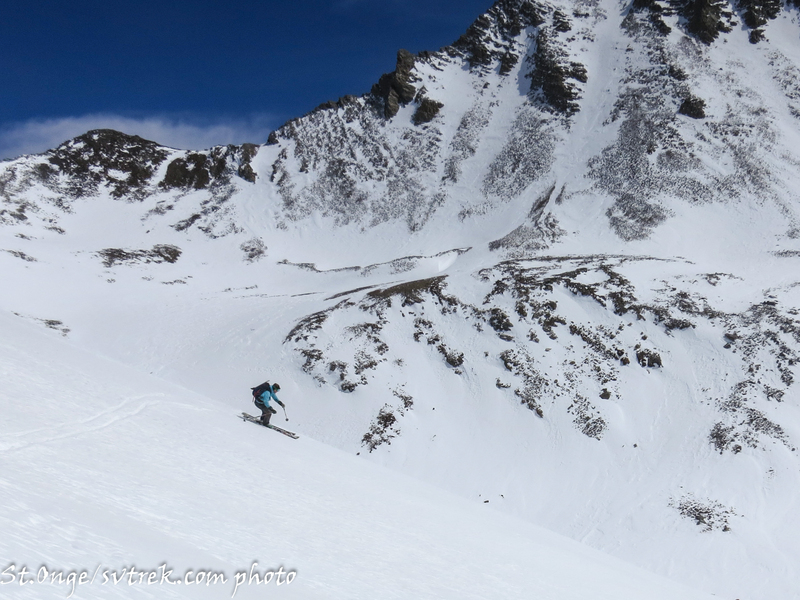 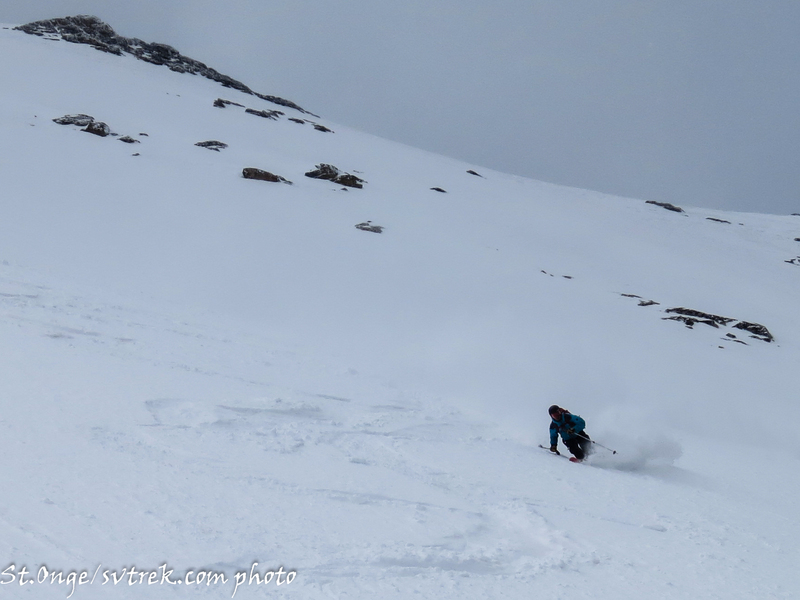 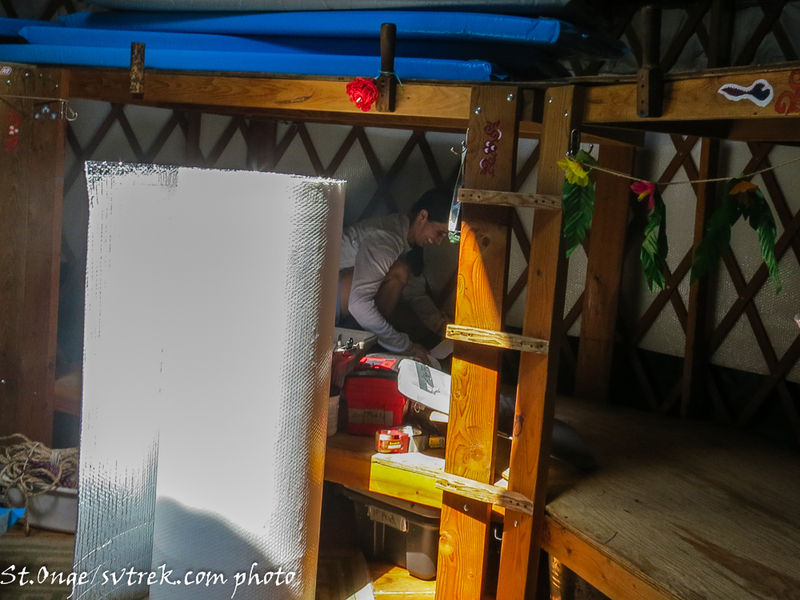 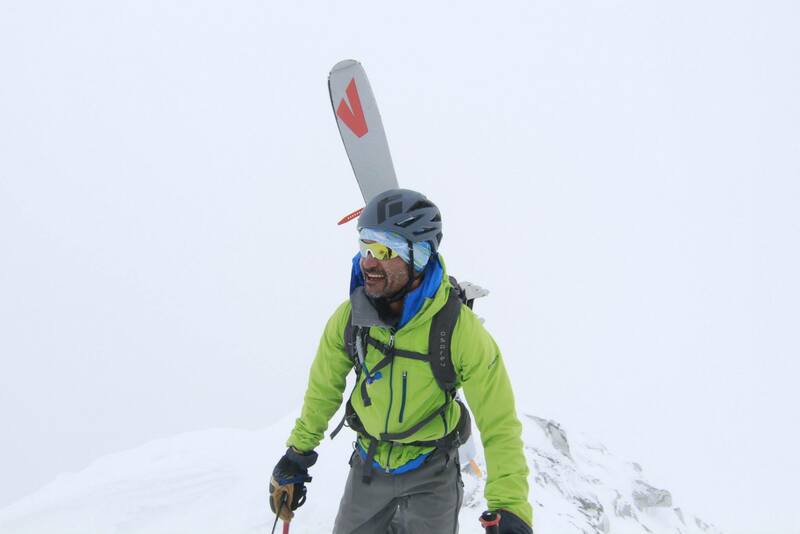 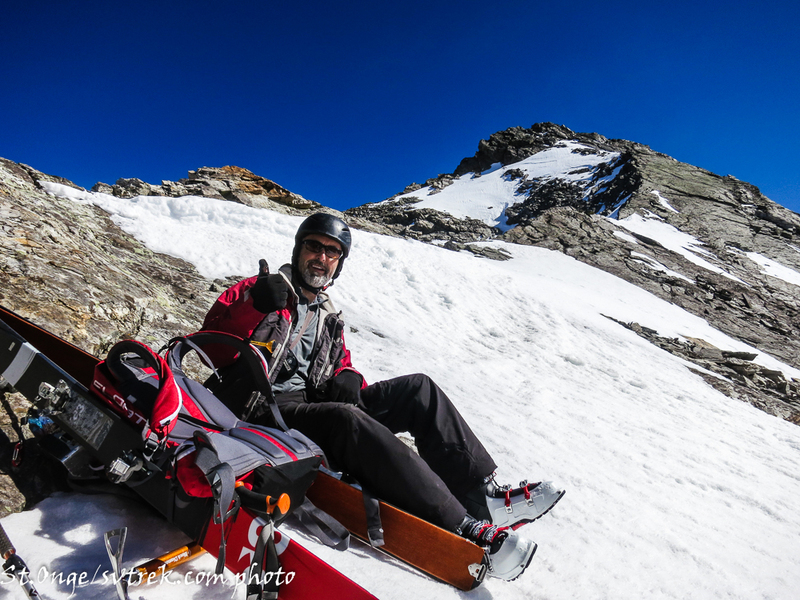 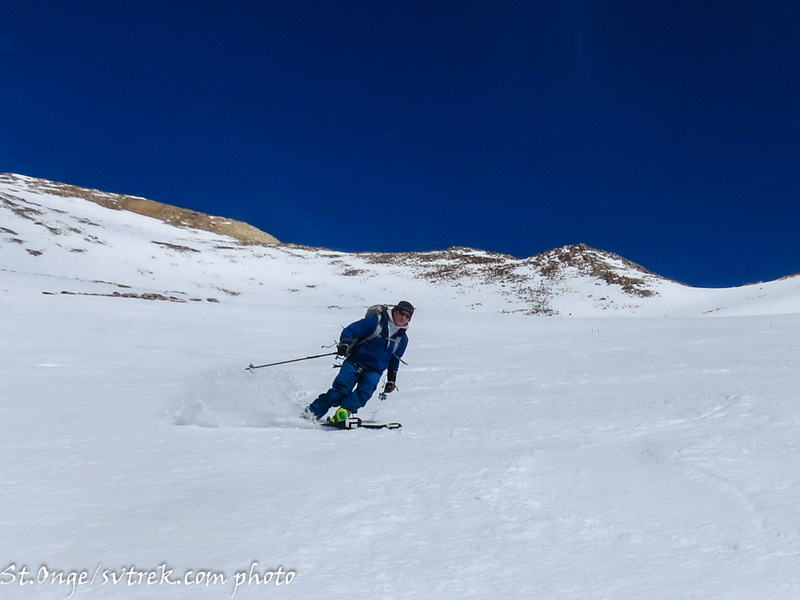 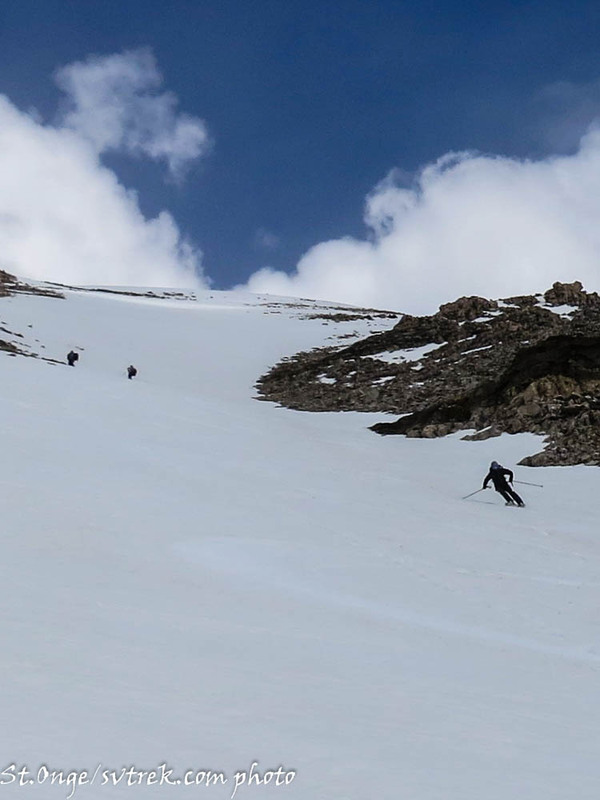 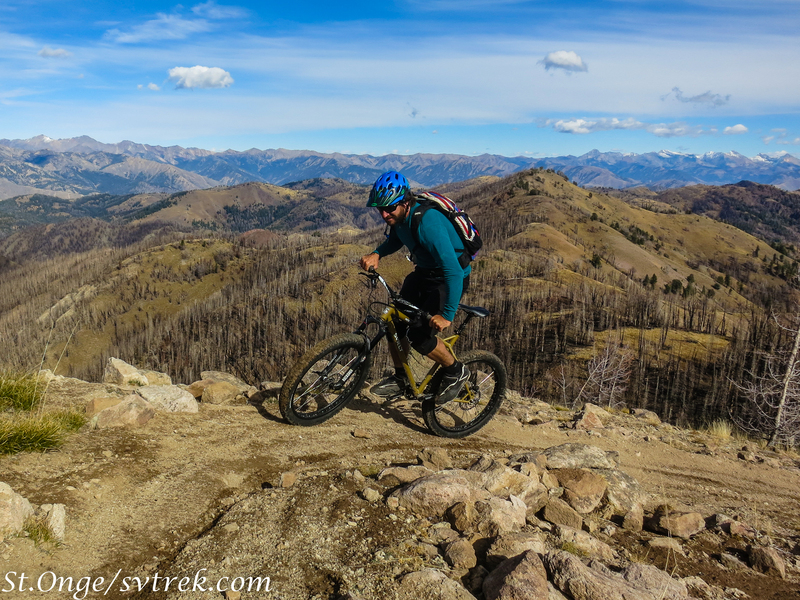 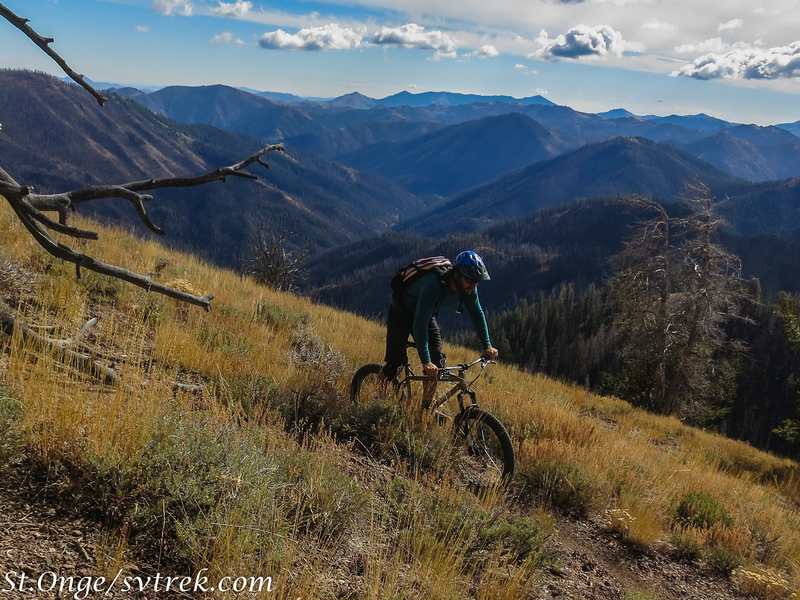 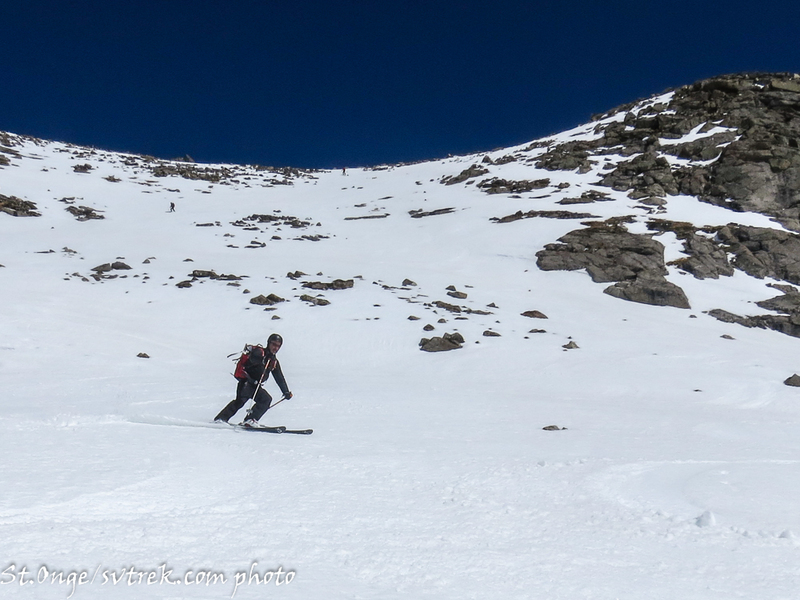 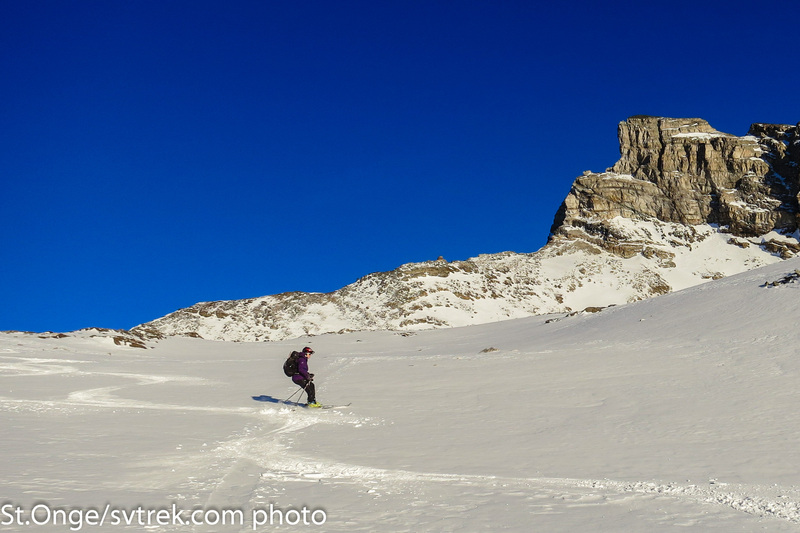 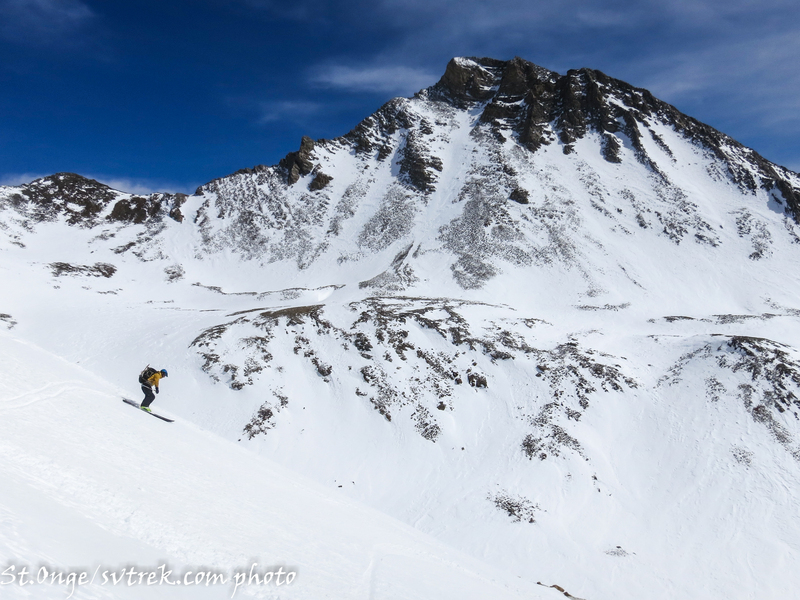 Once at the Yurt, conditions are a bit bony for another 800′, but there is reliable coverage and good ski conditions in the alpine basins above. 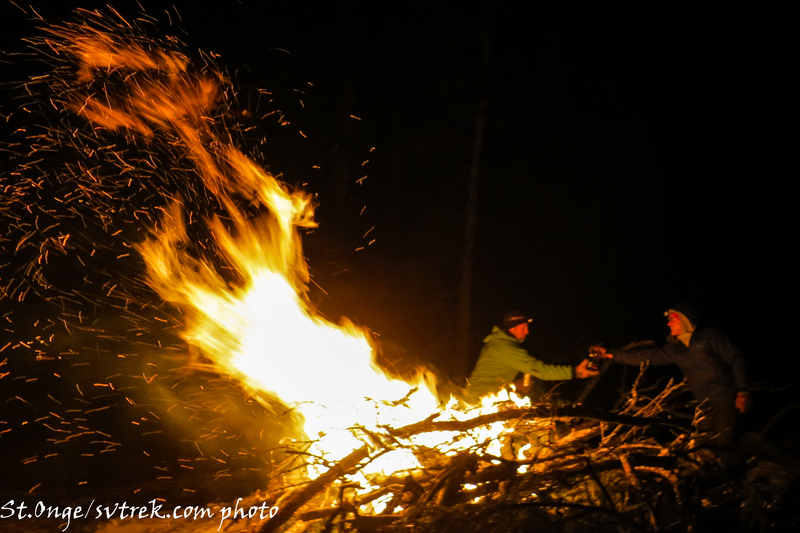 It may not last long, so get it while you can! 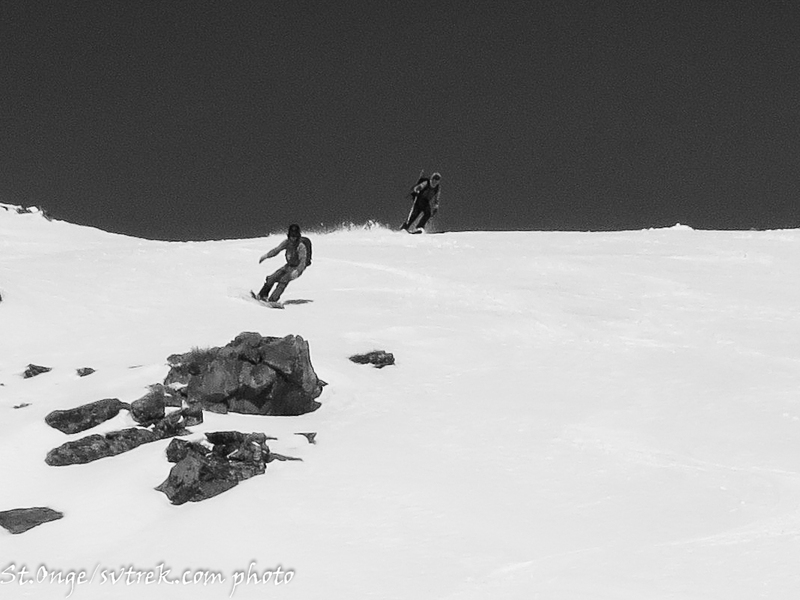 Enjoy the pics! 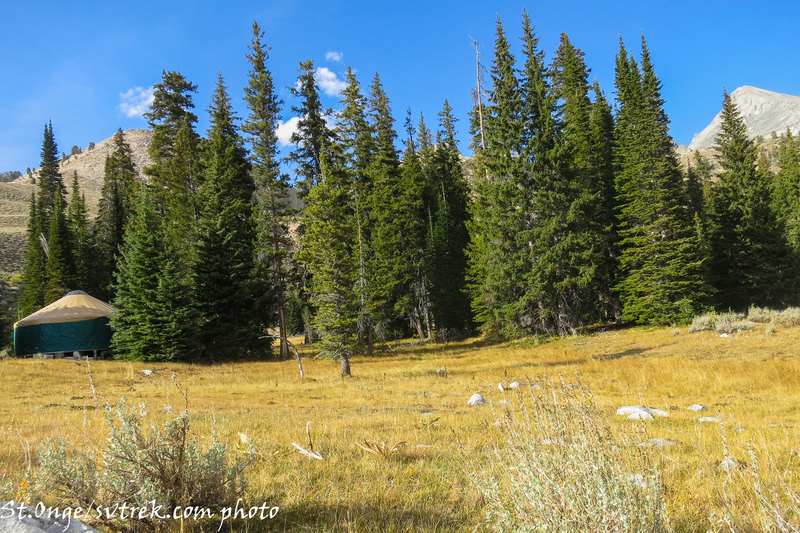 Ah, in the high country! 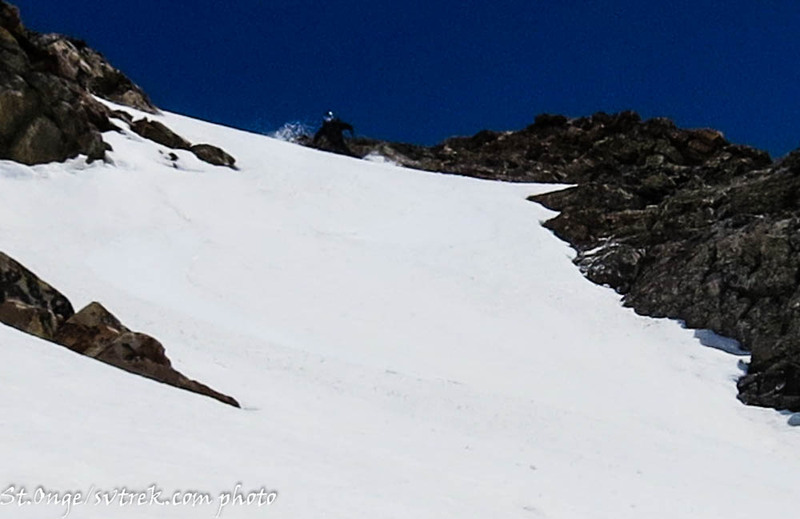 Yep, it’s pretty bony down low. 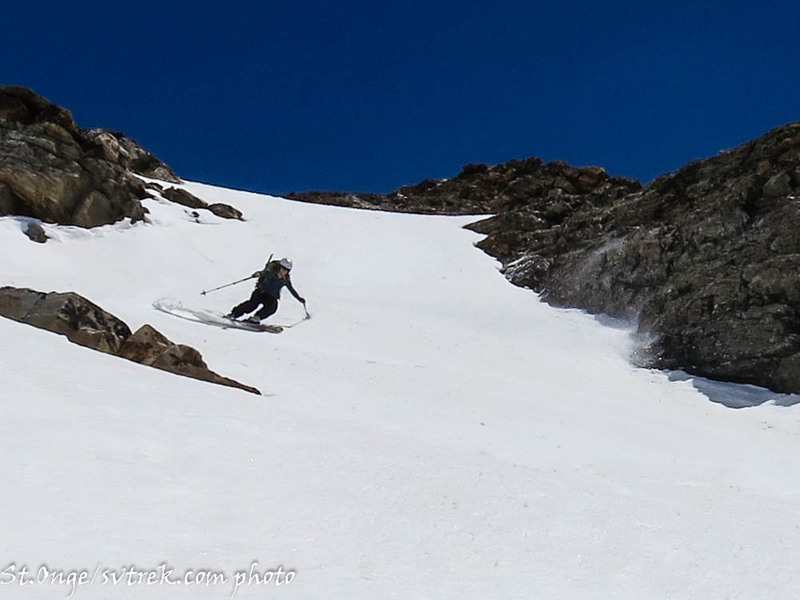 Still Skiing in the Pioneers! 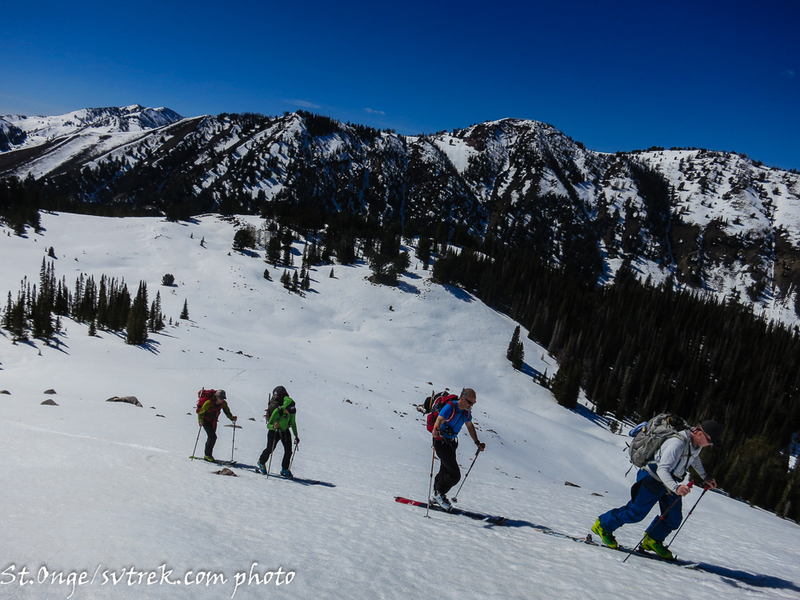 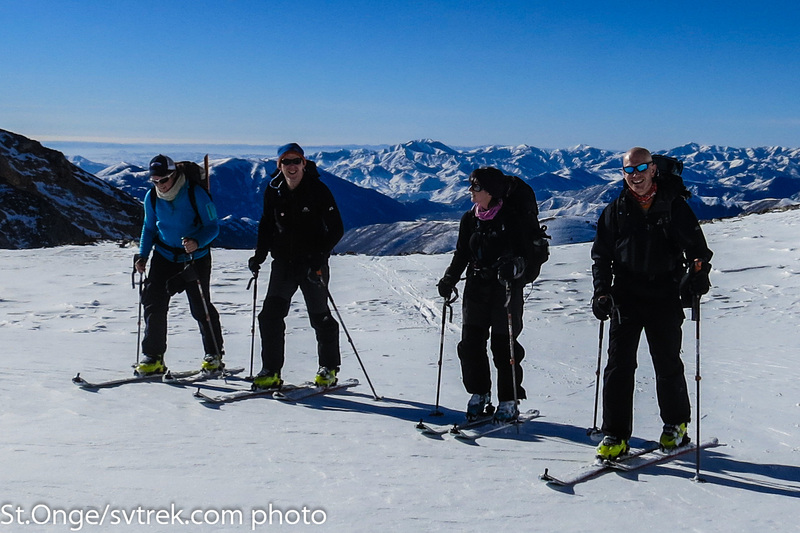 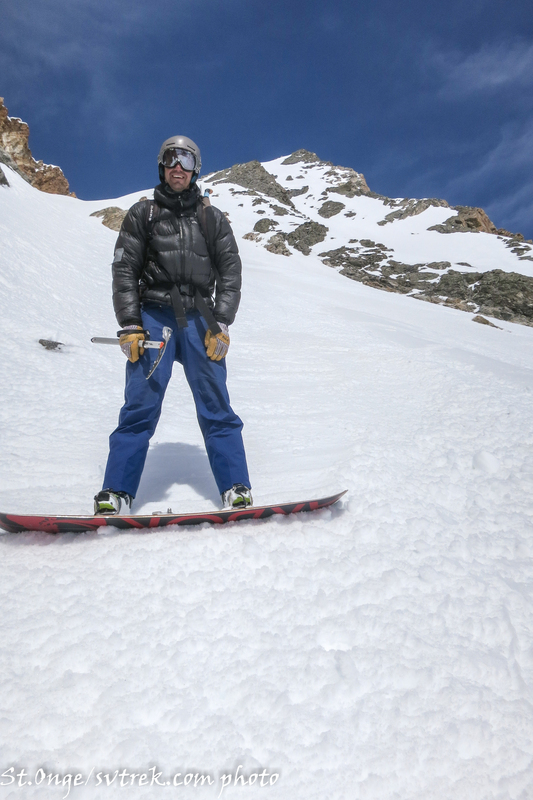 The ski season continues here in Idaho, where an intrepid crew spent a fun couple of days skiing the peaks, bowls and basins above the Pioneer Yurt. 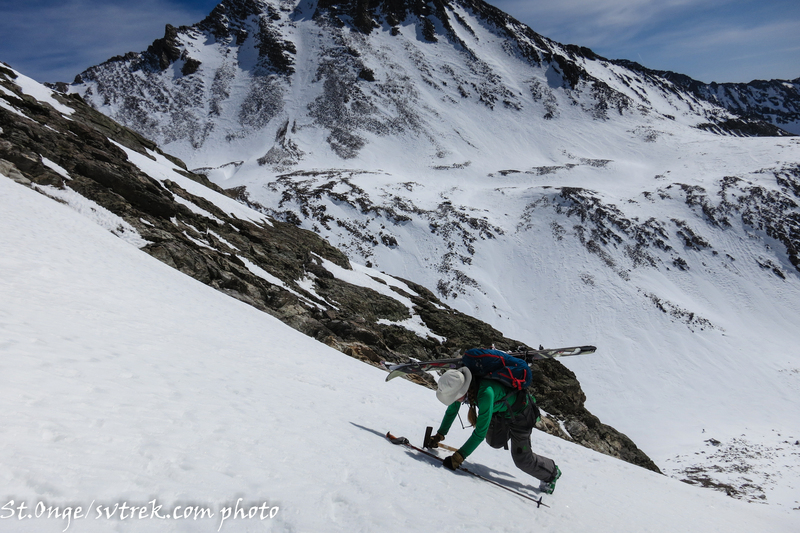 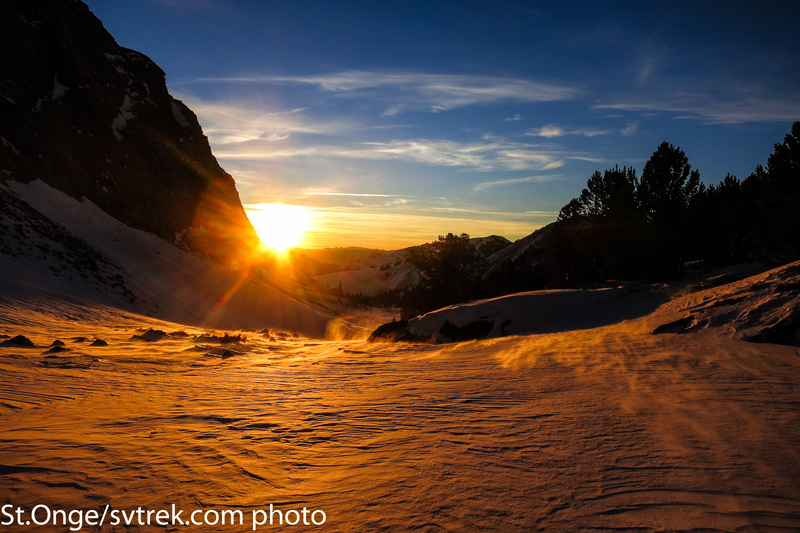 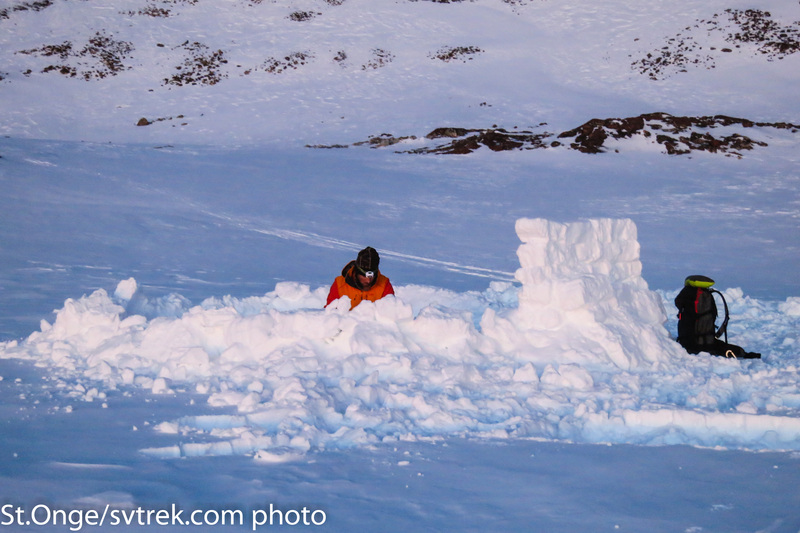 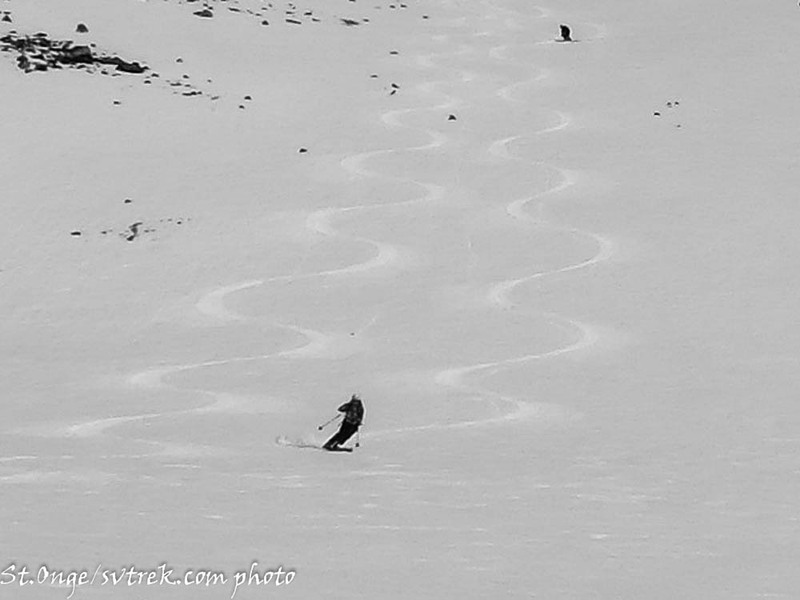 It definitely takes some effort right now to reach the good skiing, but it is there if you work for it. 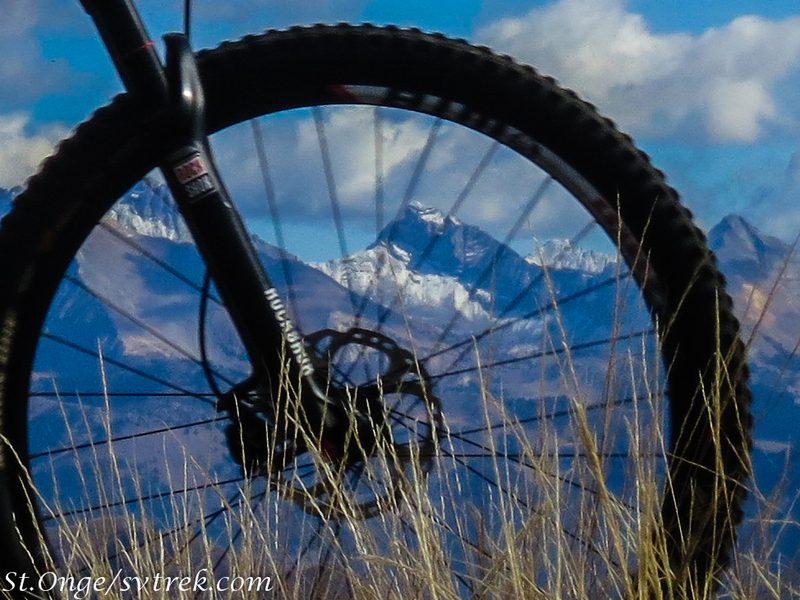 Endeavor and Enjoy! 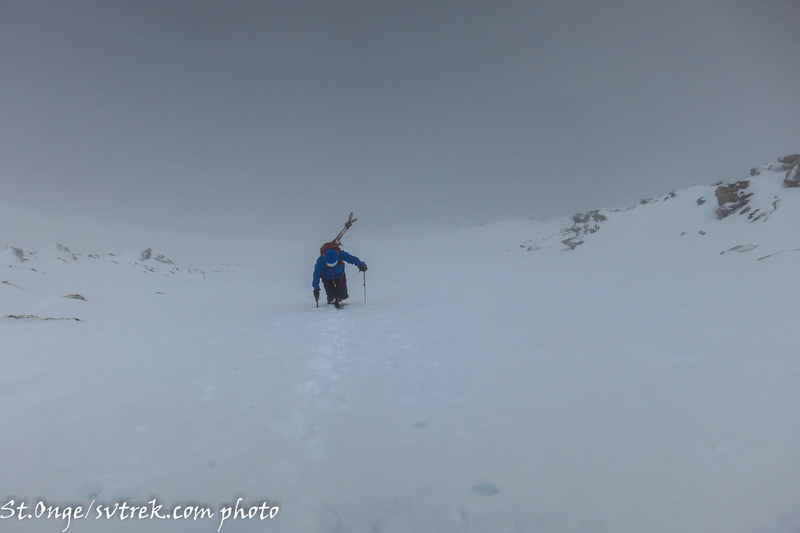 From sea level to 11,000′ in 2 days! 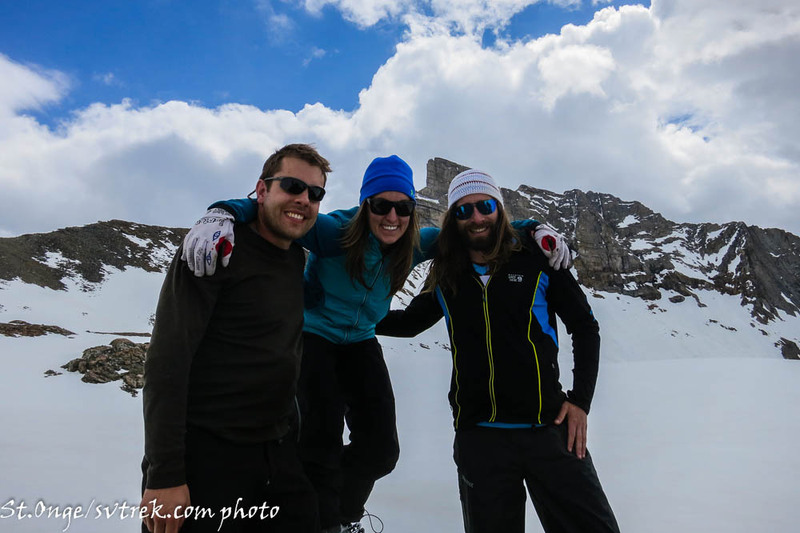 the siblings, a long way from NH! 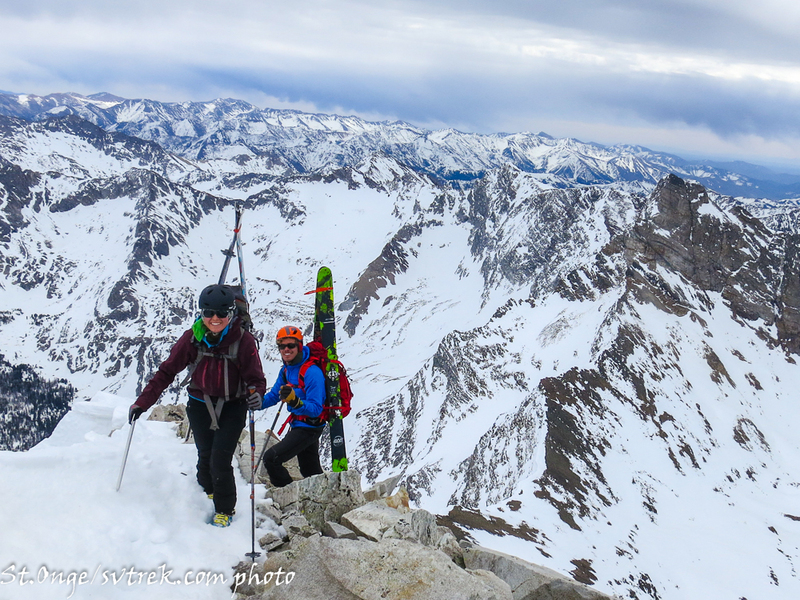 May showers bring Powder to the high peaks and we were able to experience some of this magic the other day here in the Pioneer Mountains, Idaho. 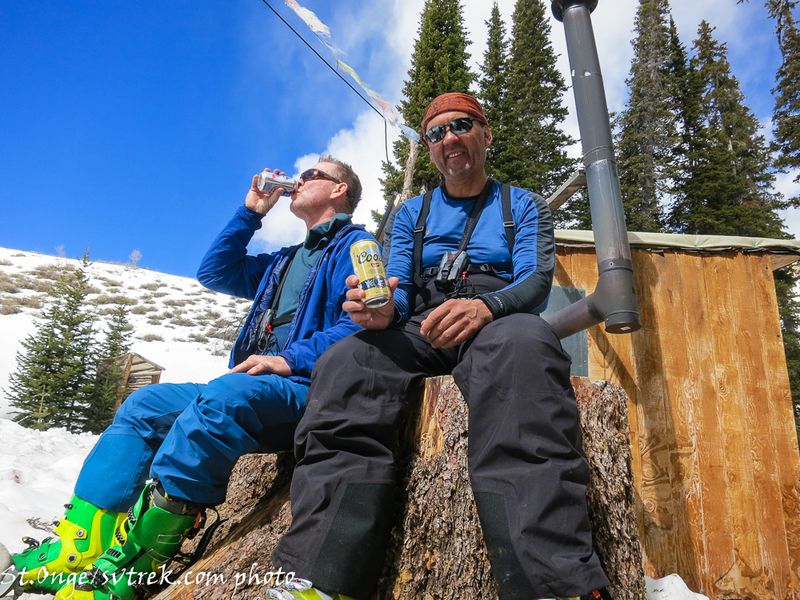 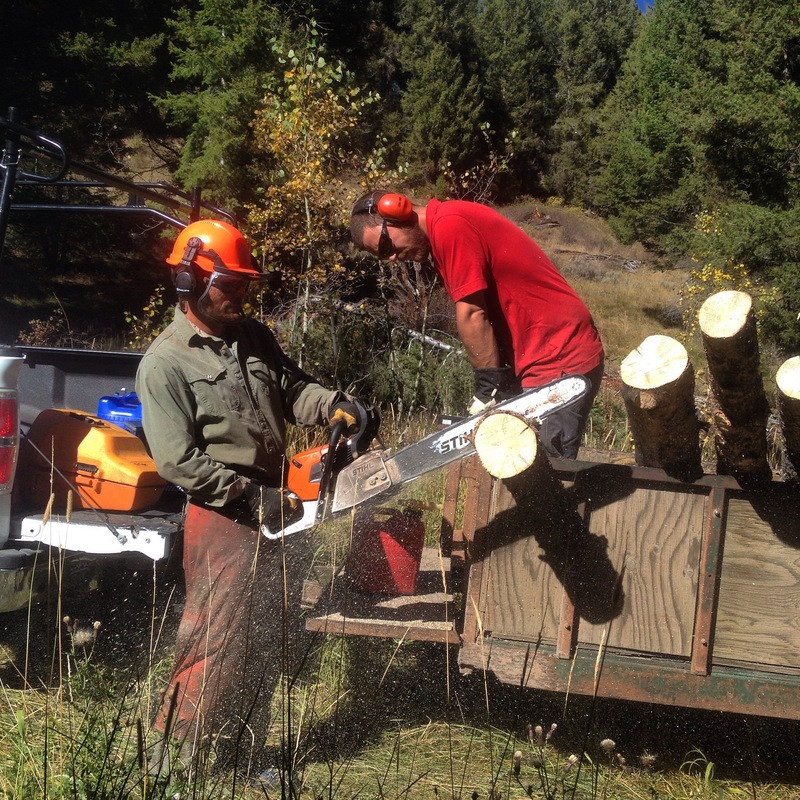 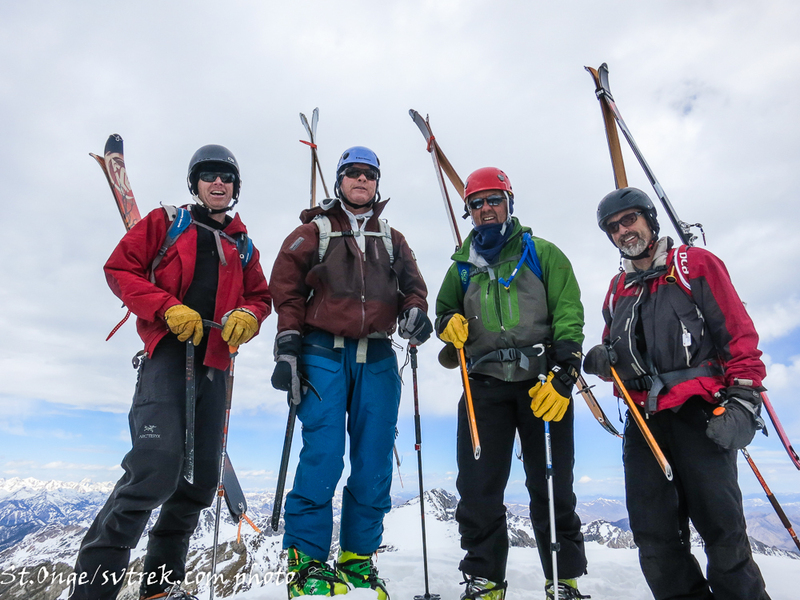 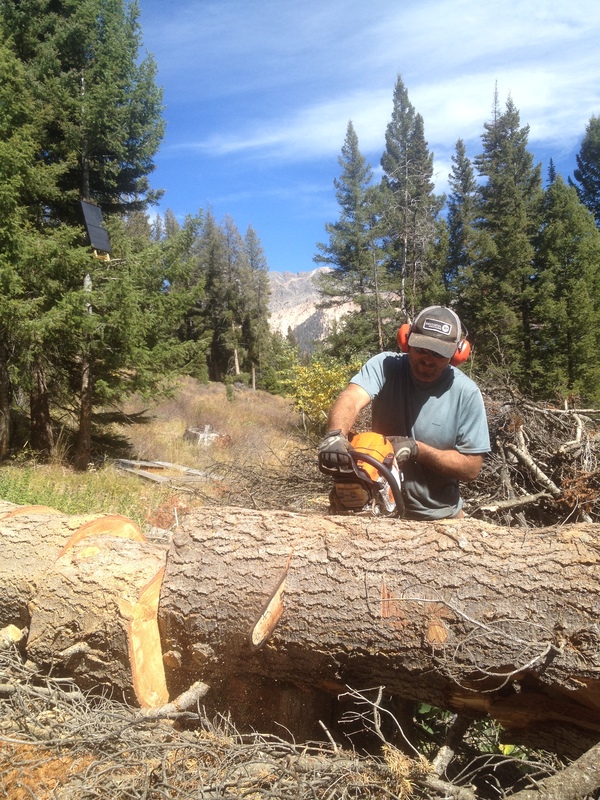 A surprise visit from our old avalanche forecaster, a pro skier and a local doc coincided with Joe returning from the Hawaiian Islands and the Trail creek road having just opened. 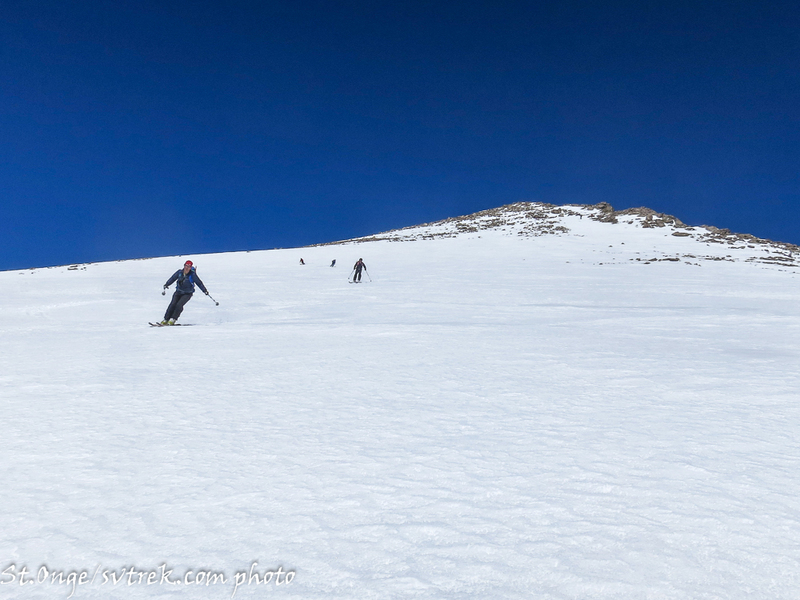 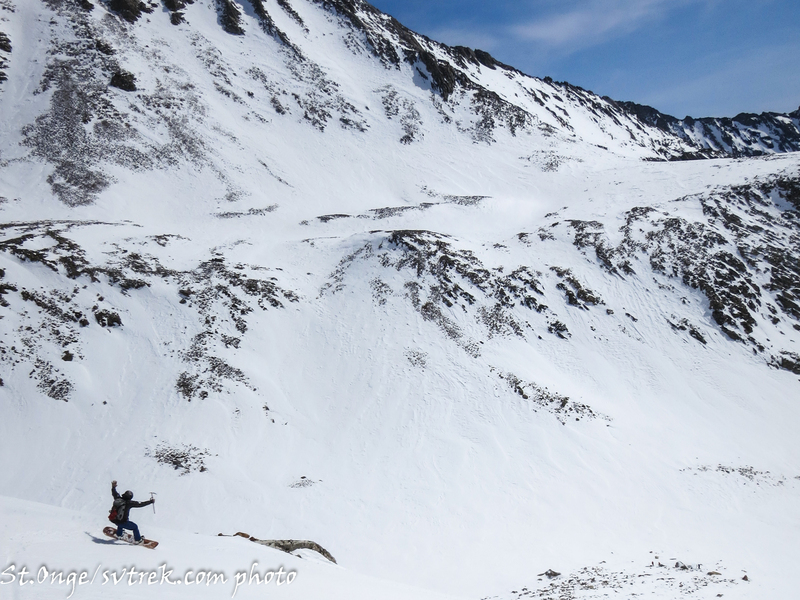 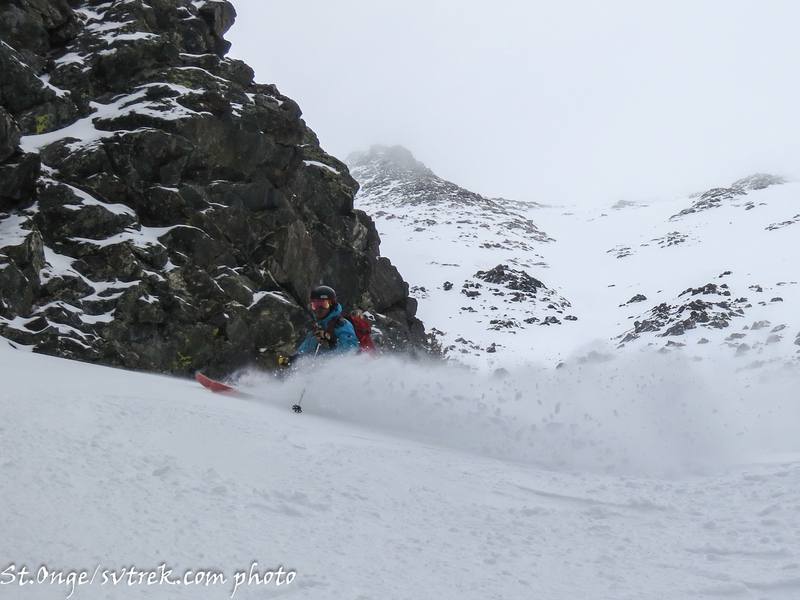 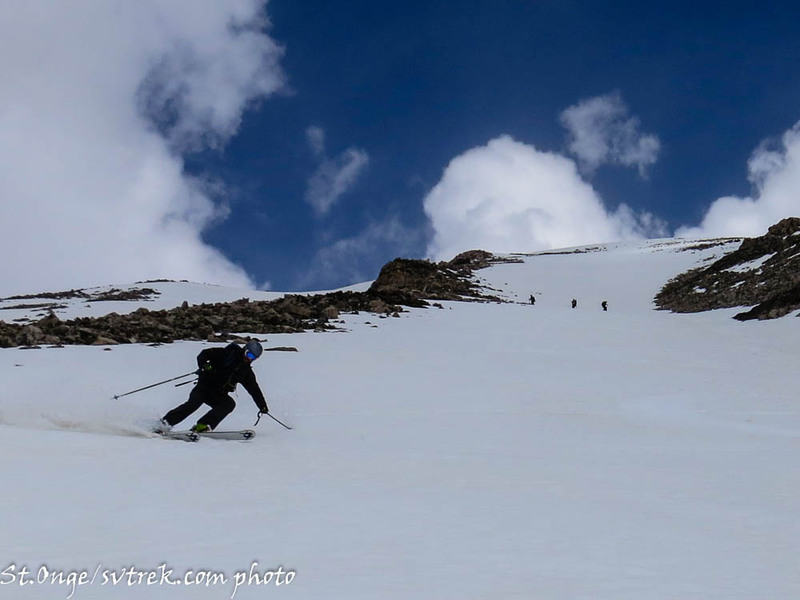 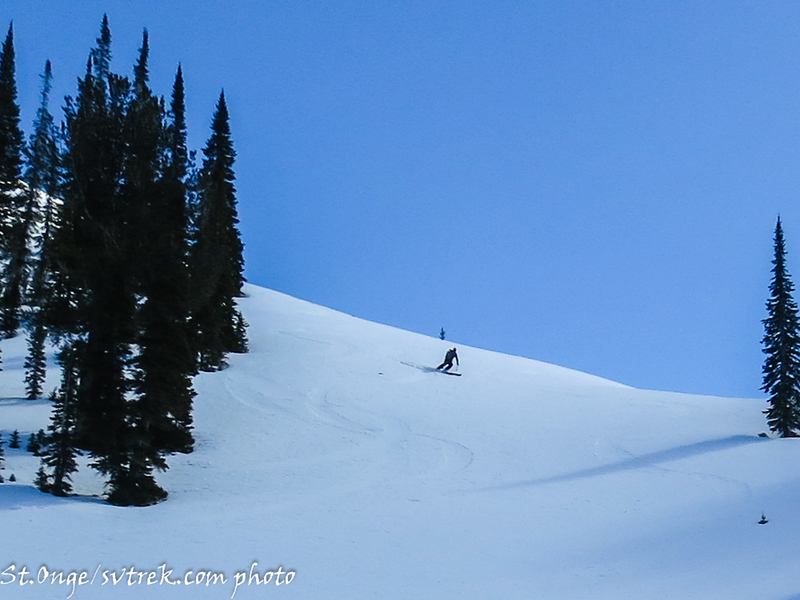 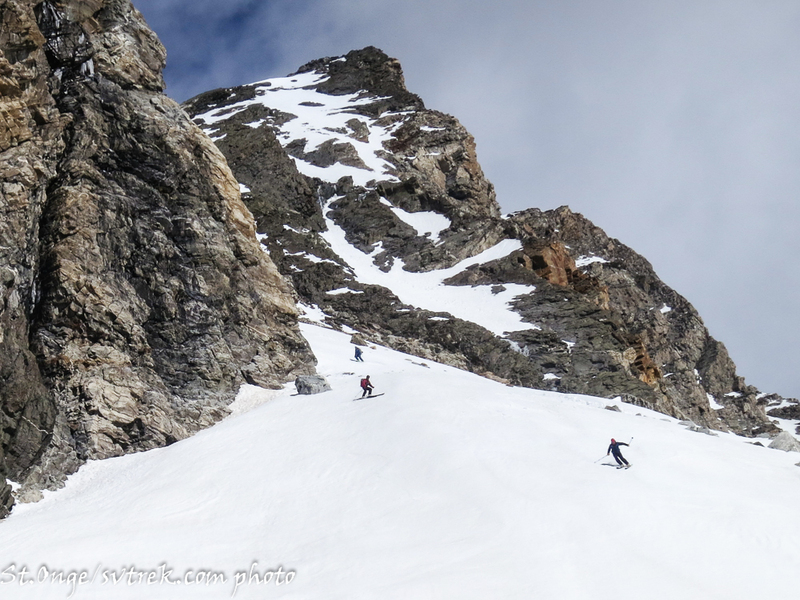 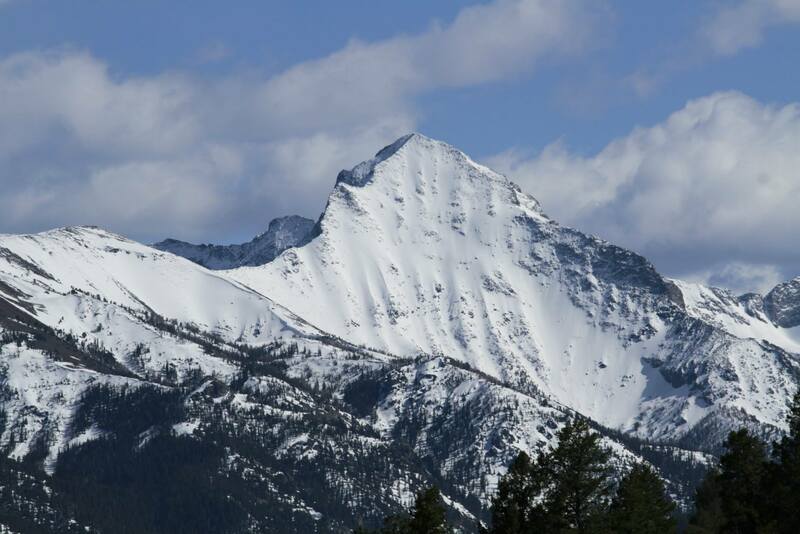 Recent cold temps and new snow led to great conditions on one of the most iconic ski peaks in Idaho. 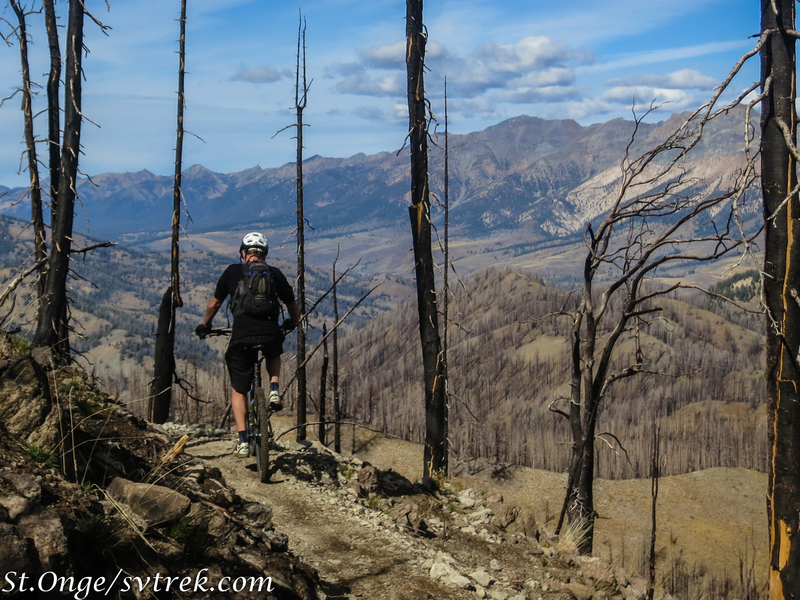 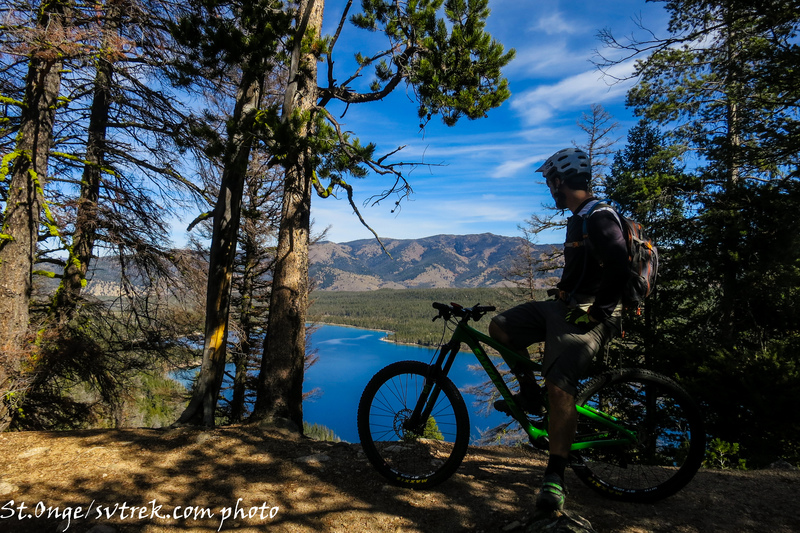 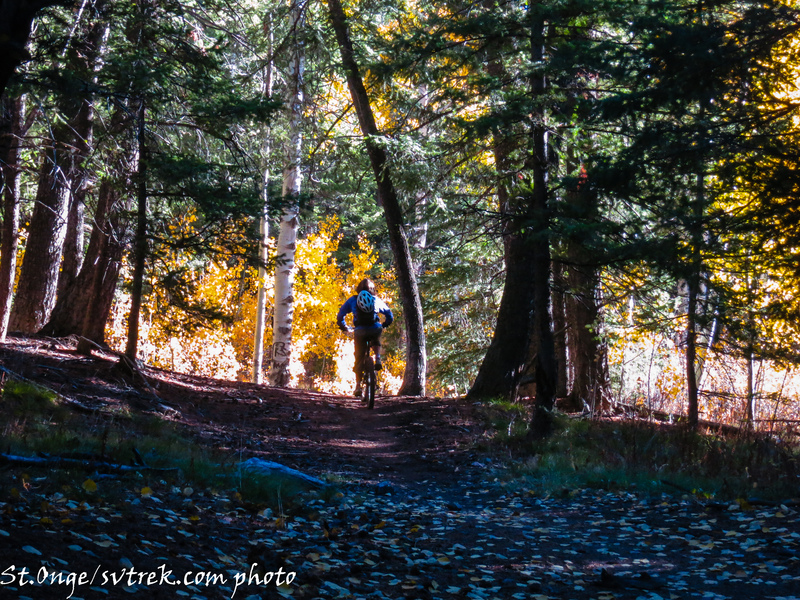 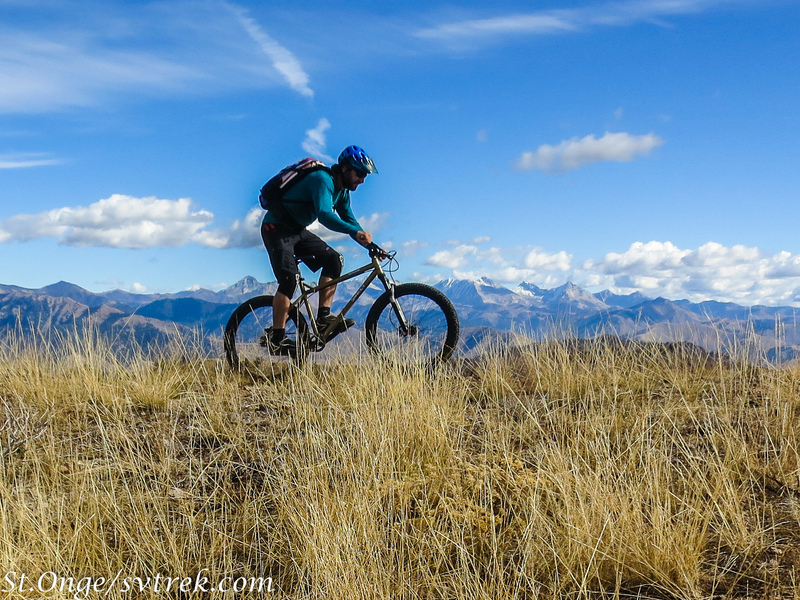 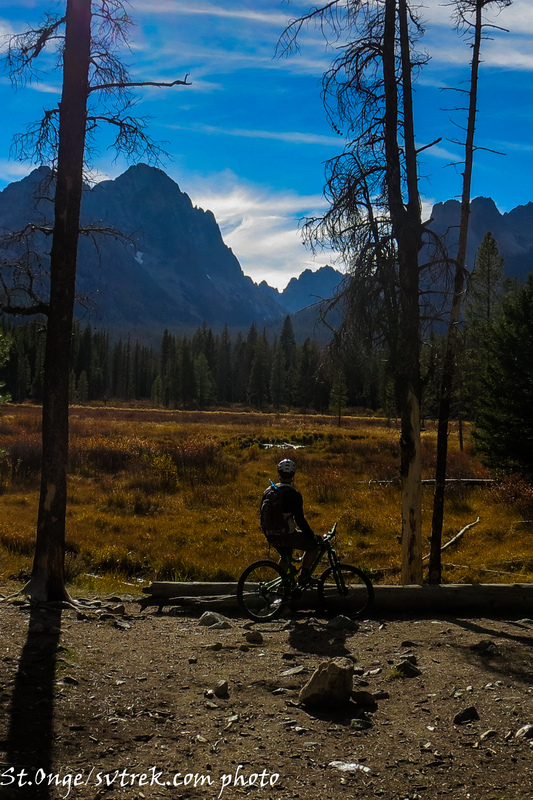 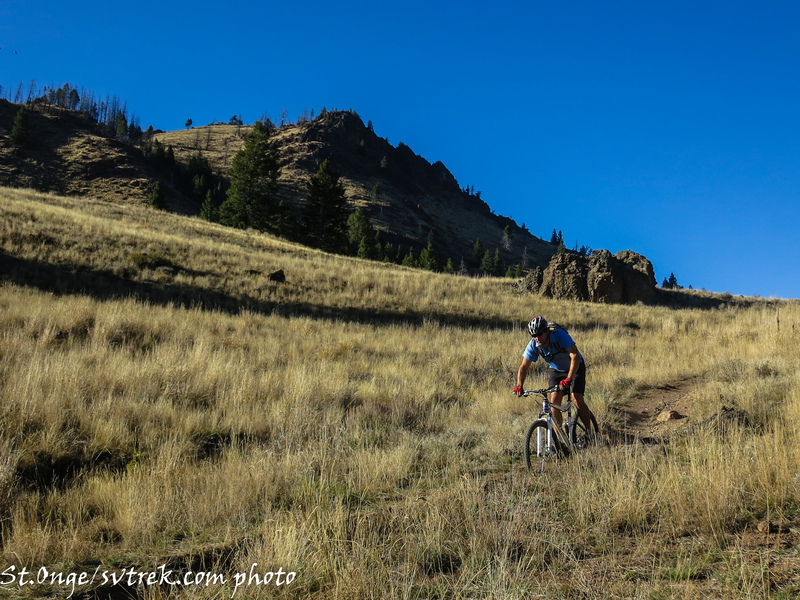 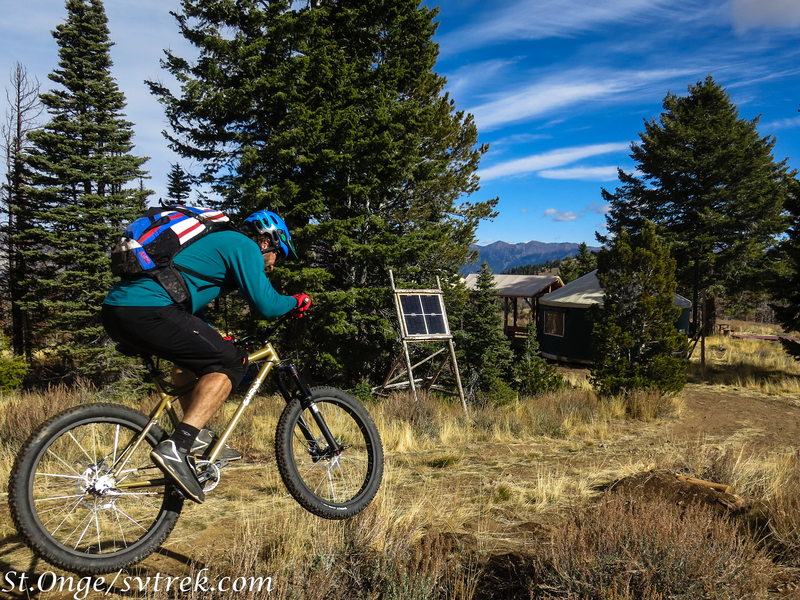 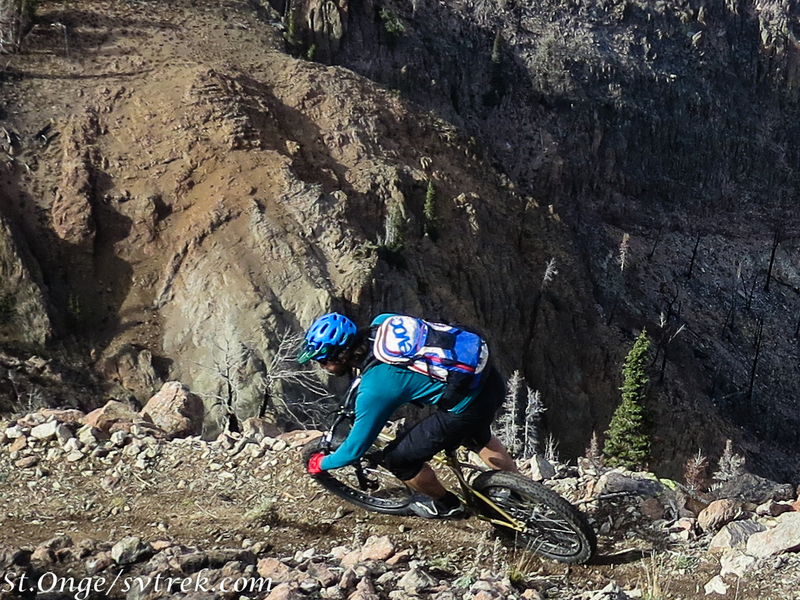 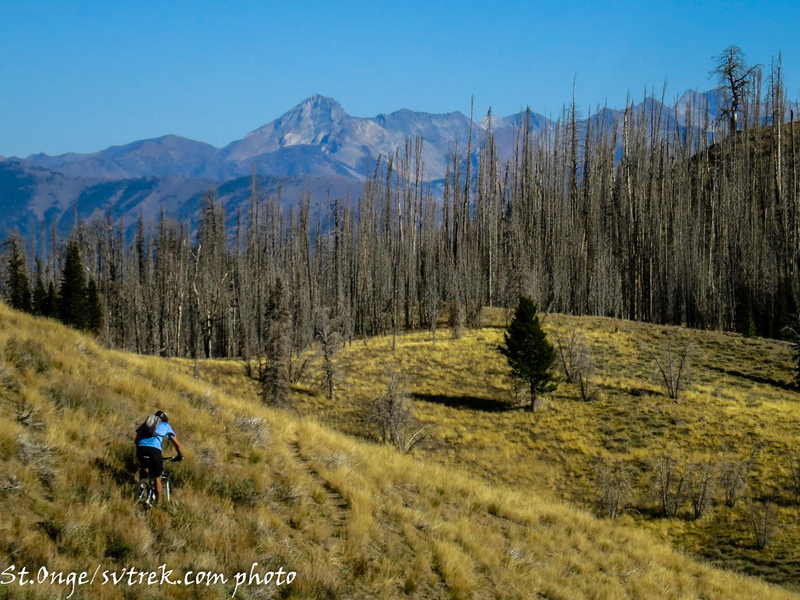 Thanks to Dylan Crossman for some of the great shots here, enjoy! 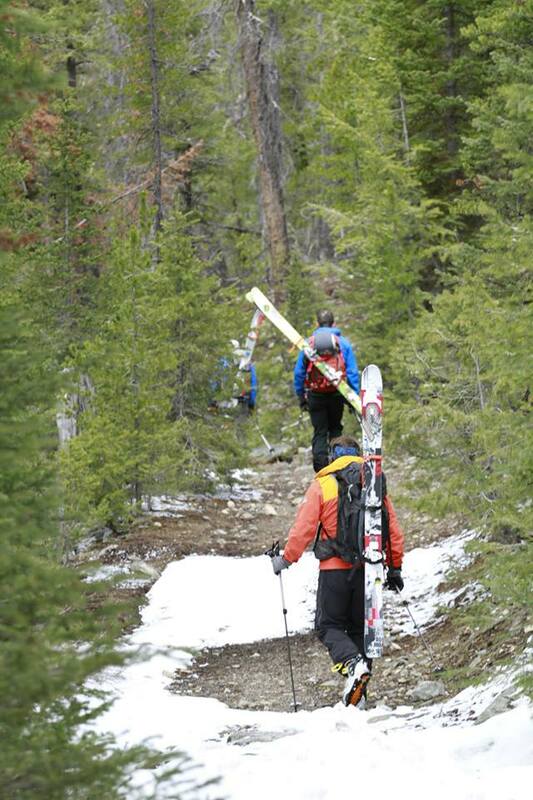 and back to boots for the walk out, stoked. 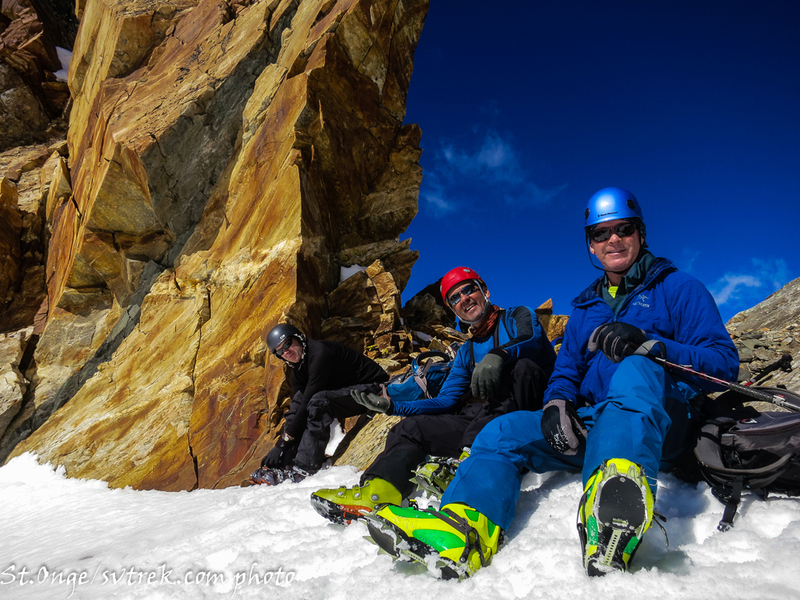 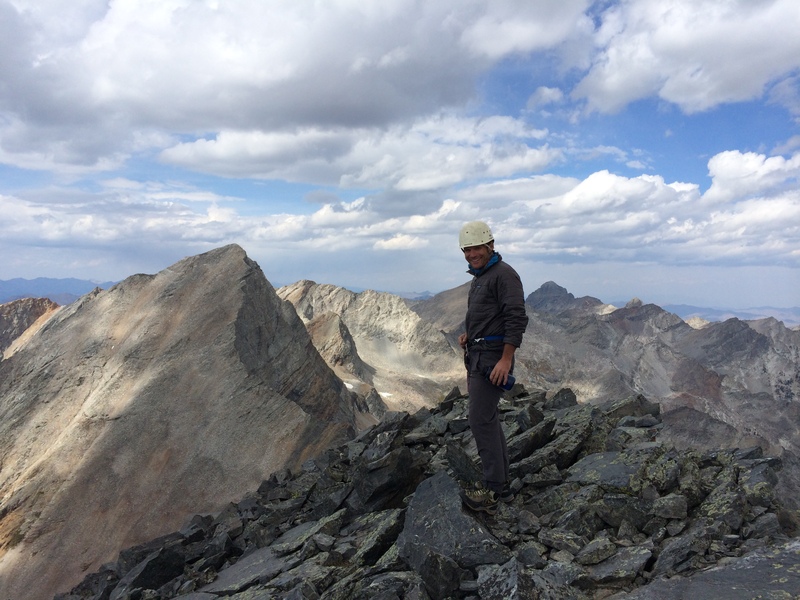 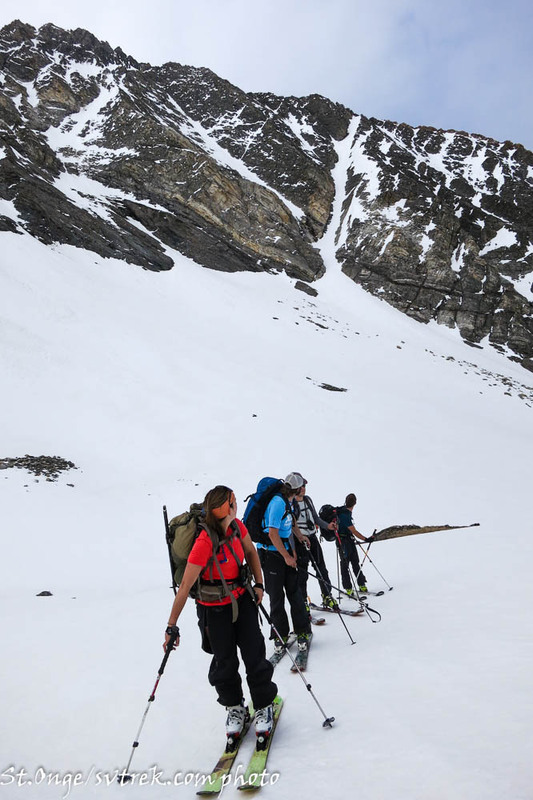 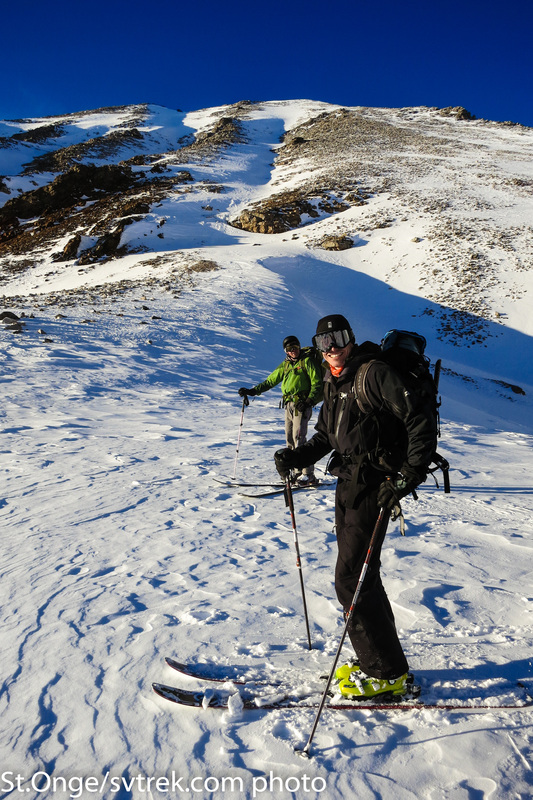 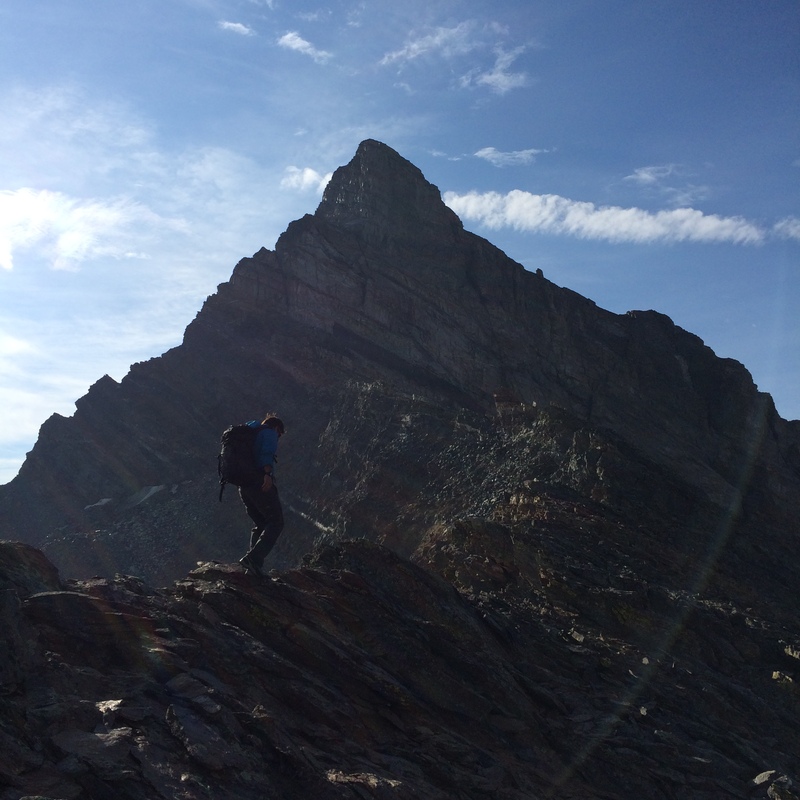 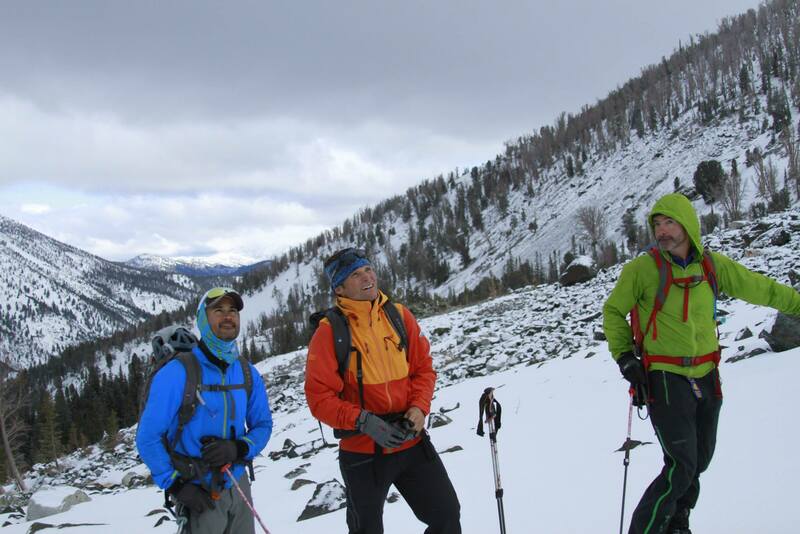 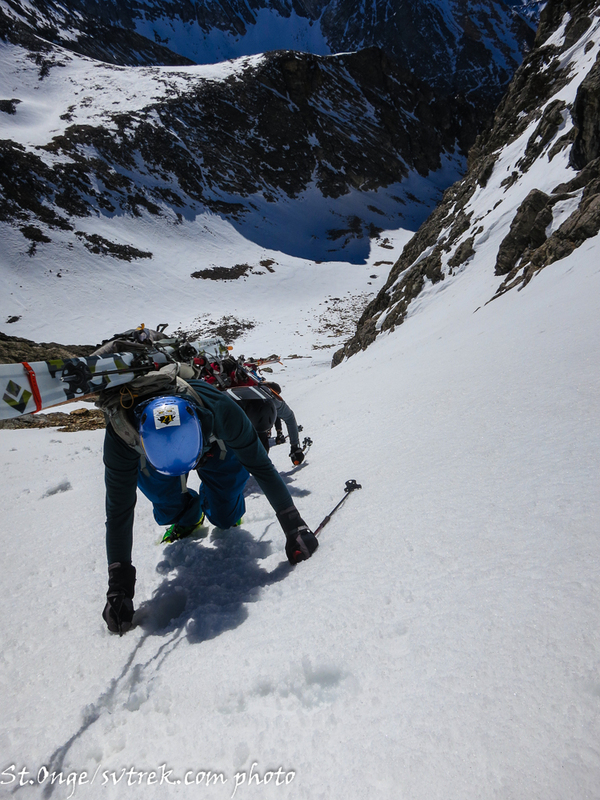 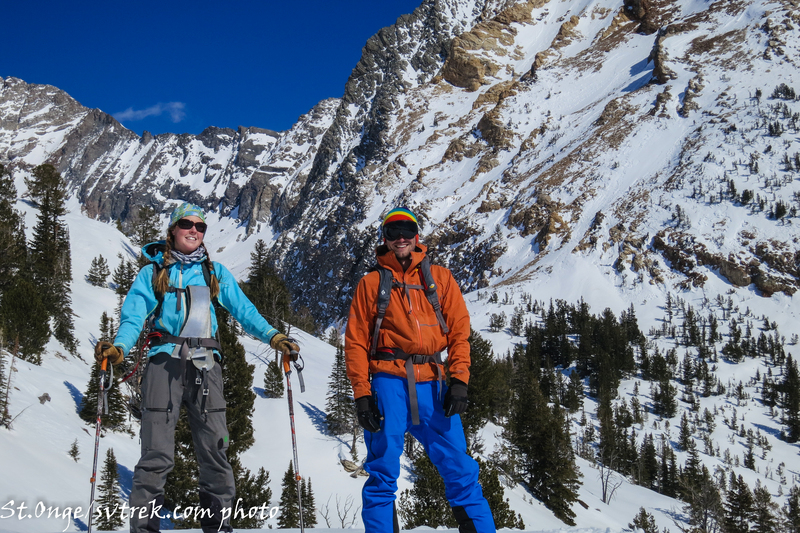 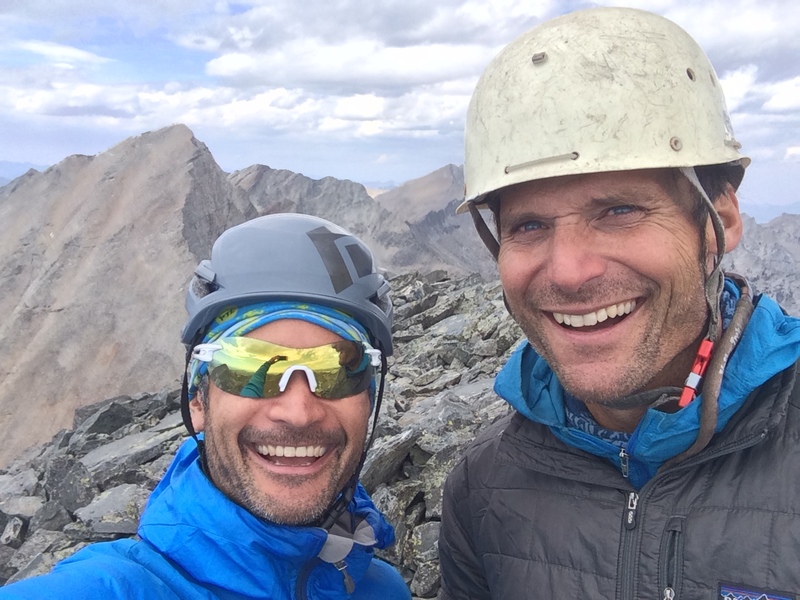 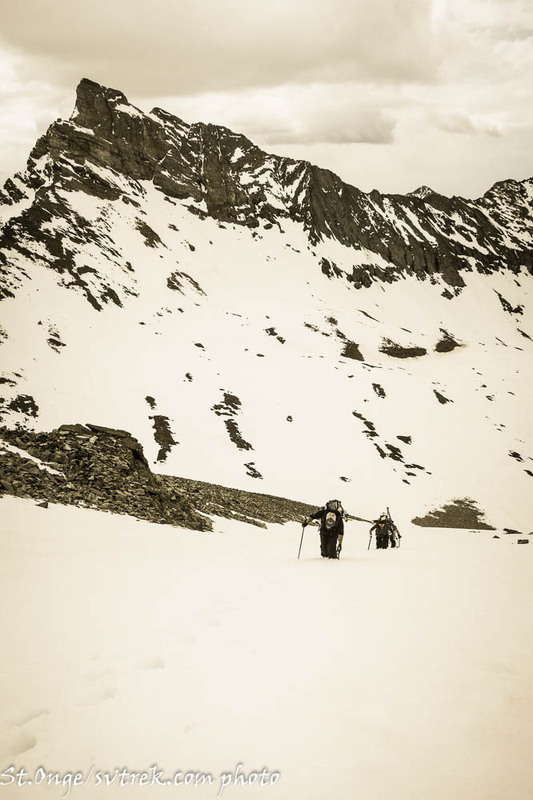 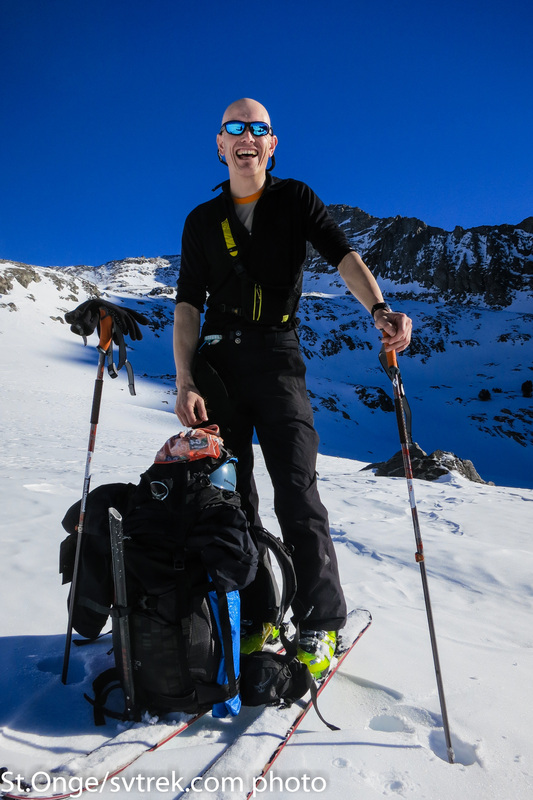 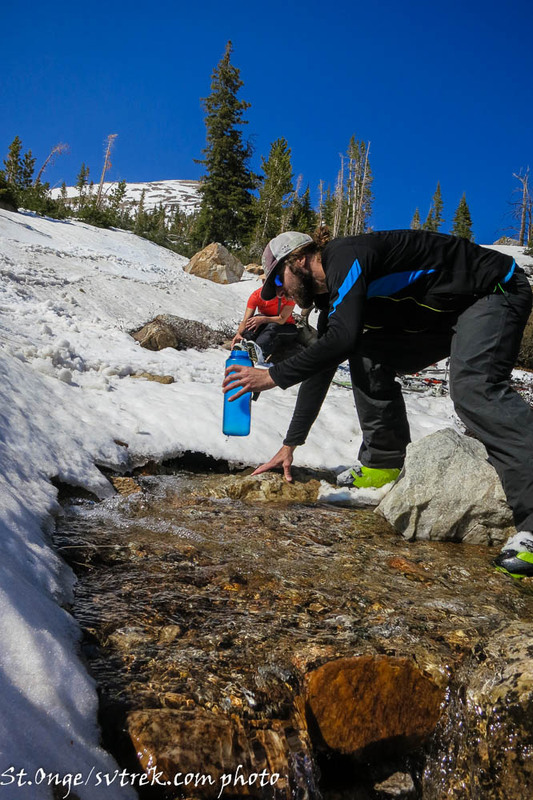 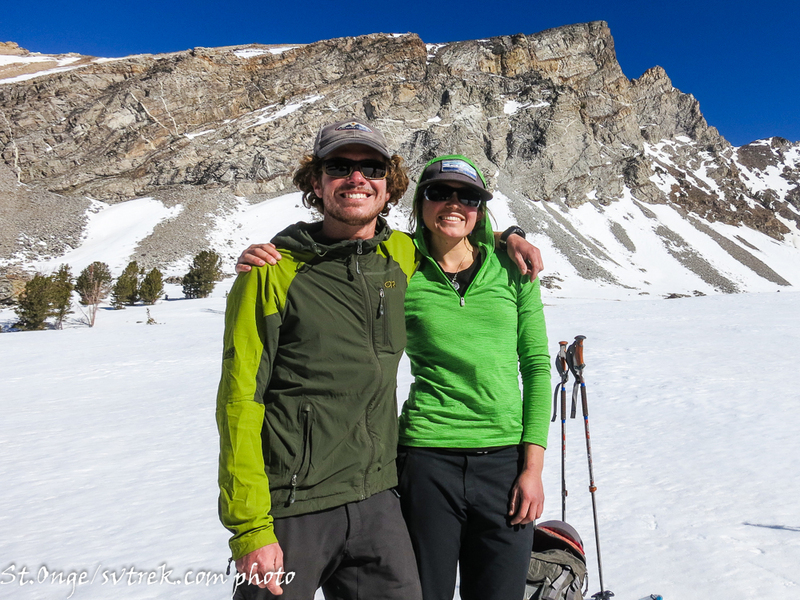 Joe St.Onge, Patrick Graham and interns: Niels Meyer and Alisa Mcgowan have just returned from 7 days in the Pioneer Mountains on a winter mountaineering training with a production crew from the BBC. 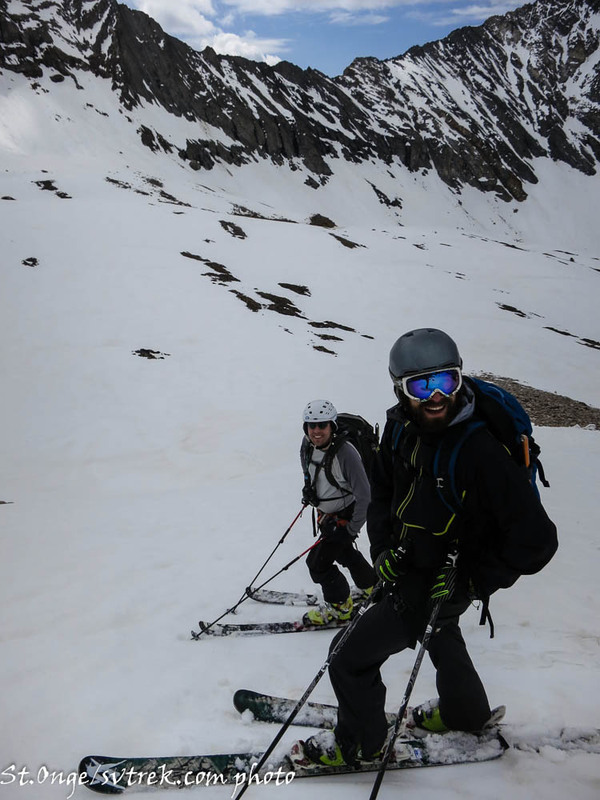 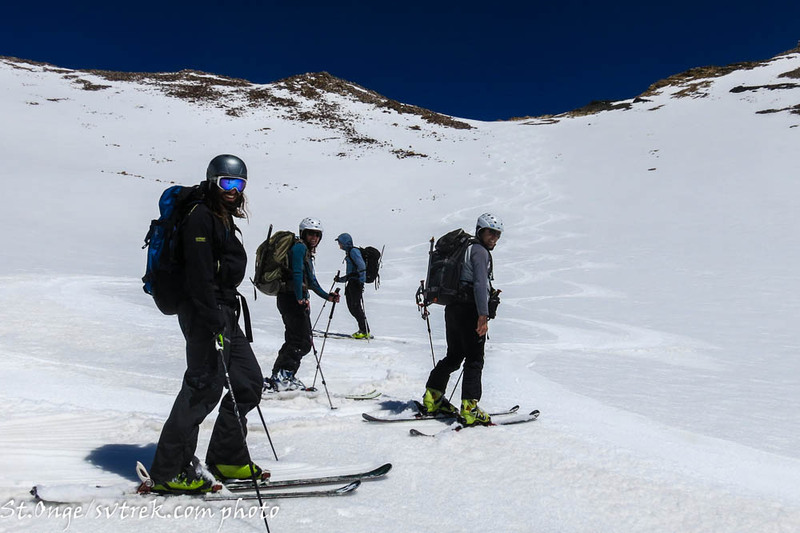 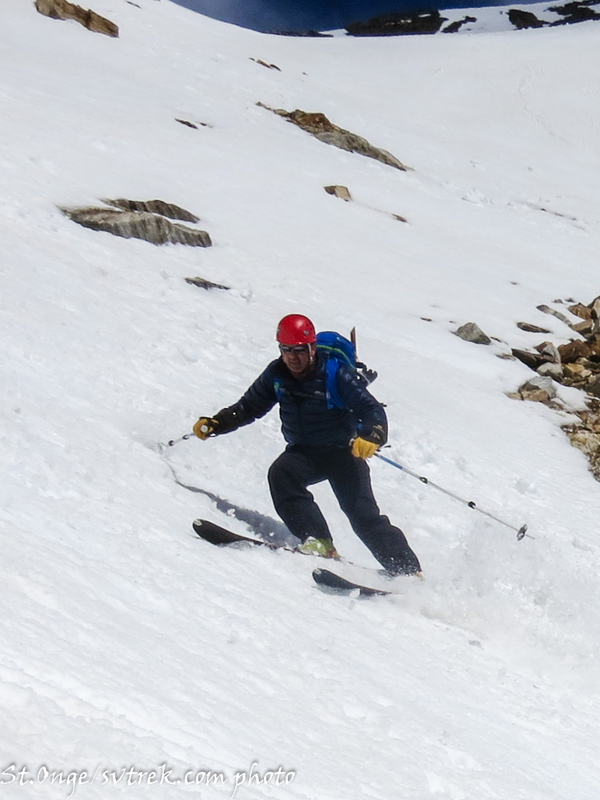 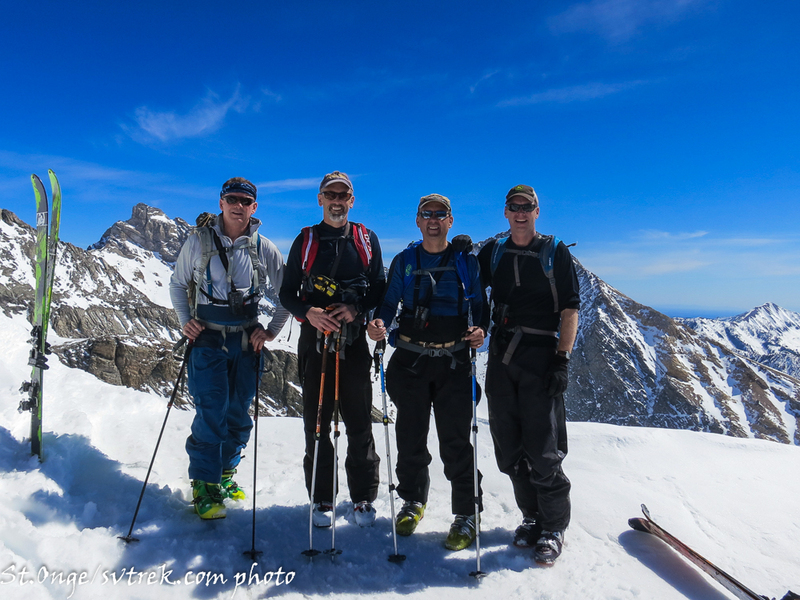 An action packed week focused on learning skills related to avalanche safety, forecasting and rescue as well as backcountry skiing and mountaineering skills. 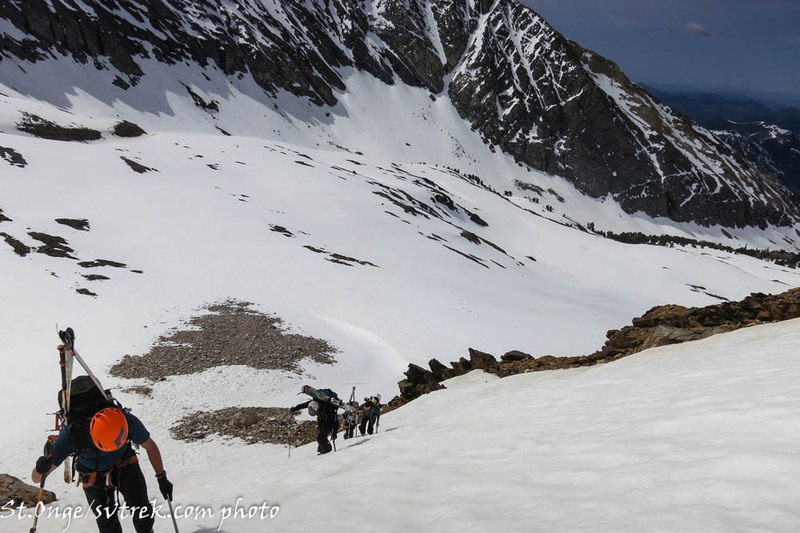 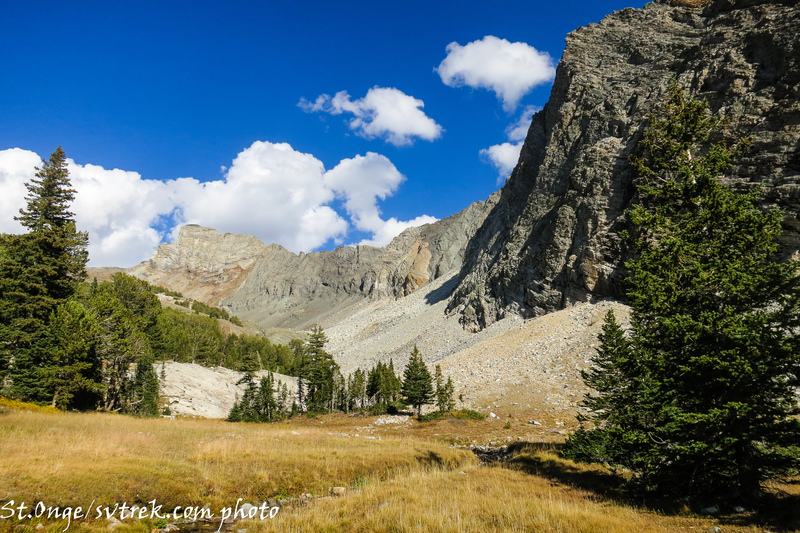 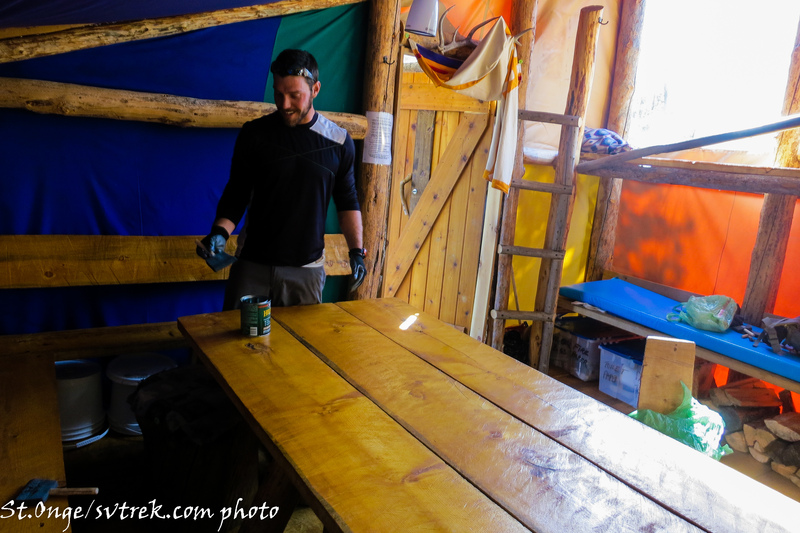 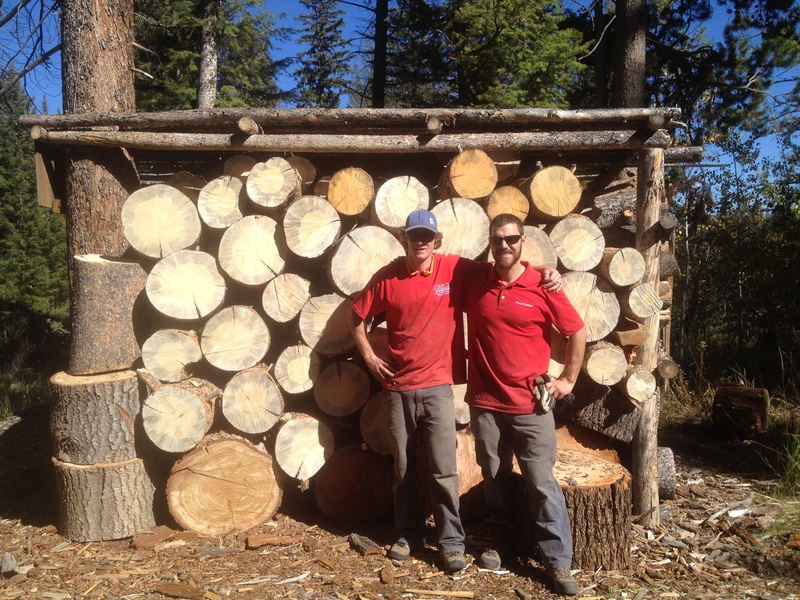 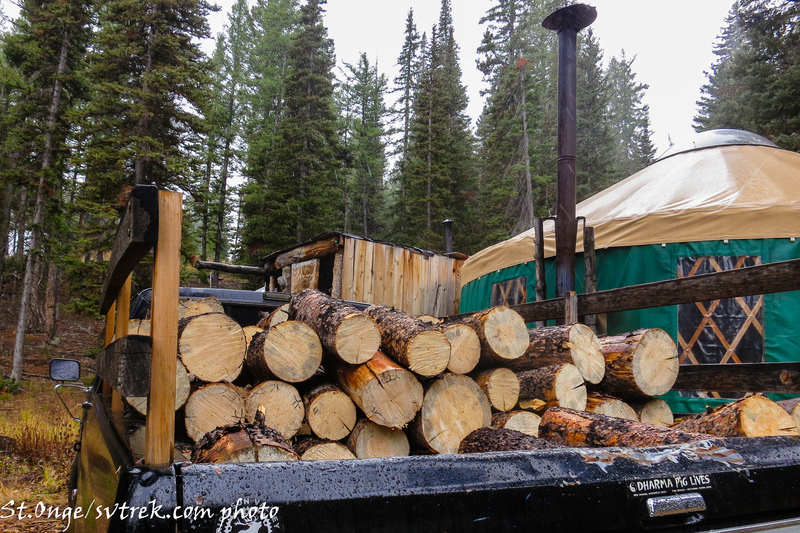 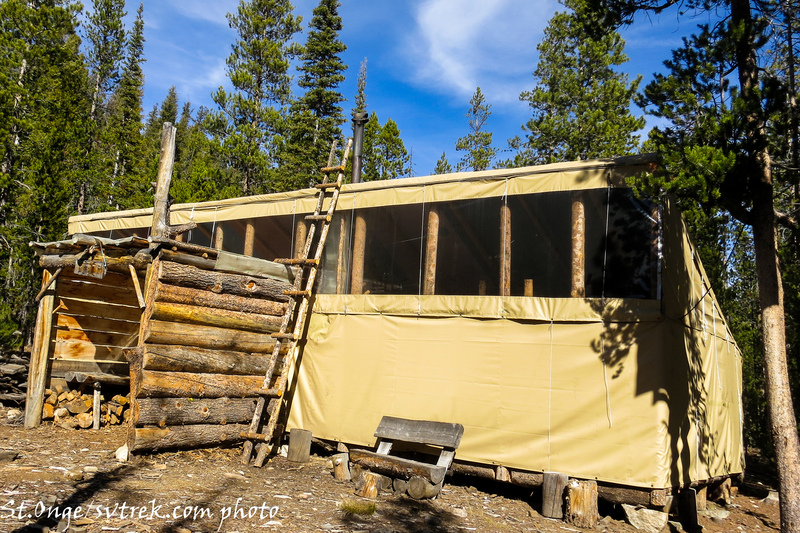 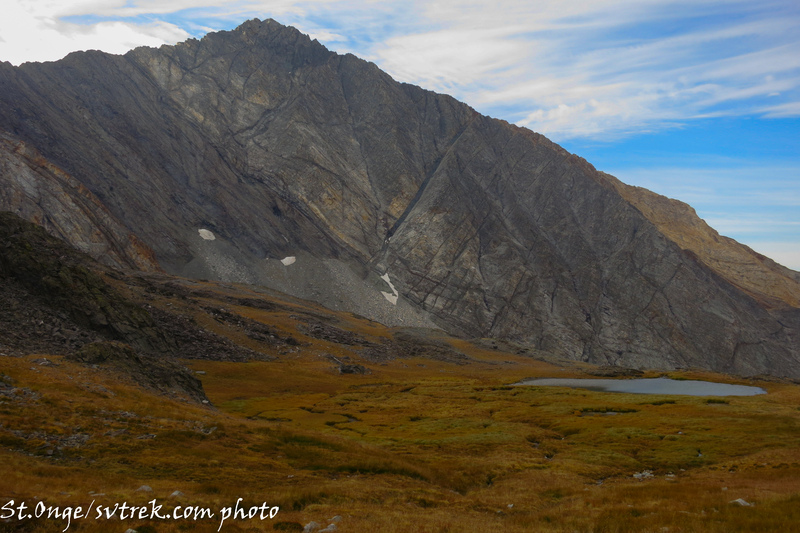 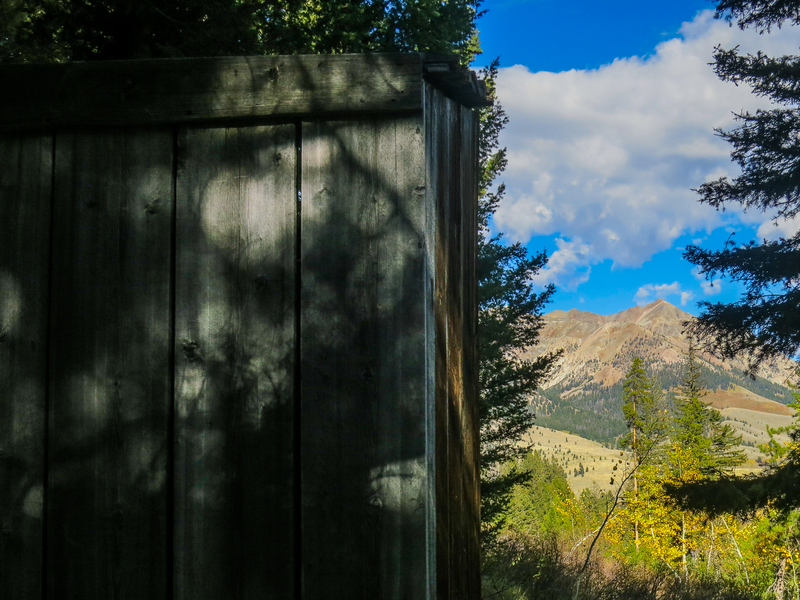 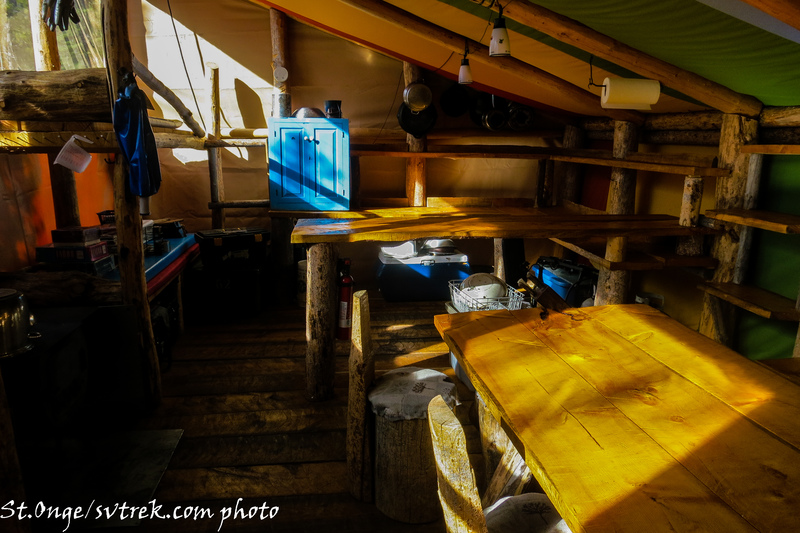 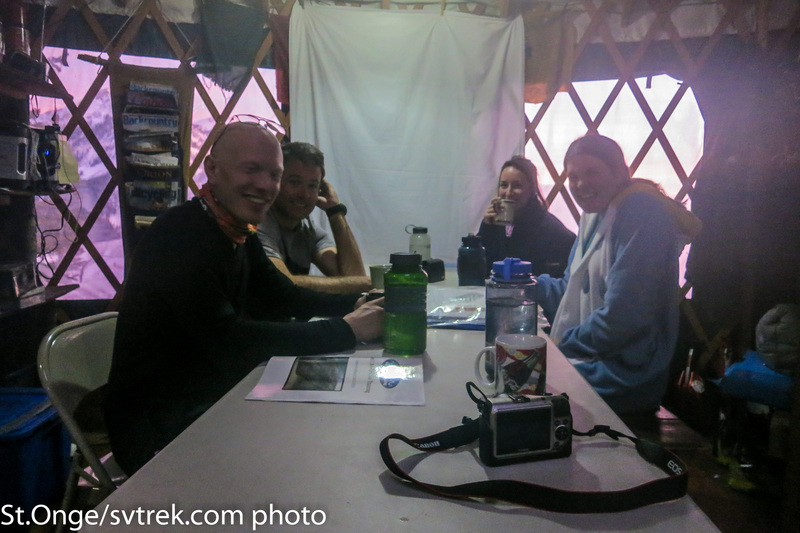 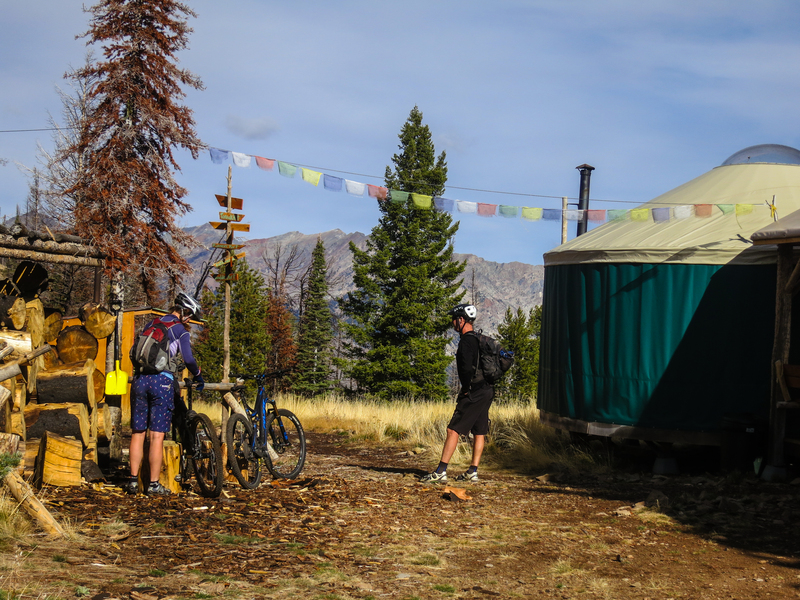 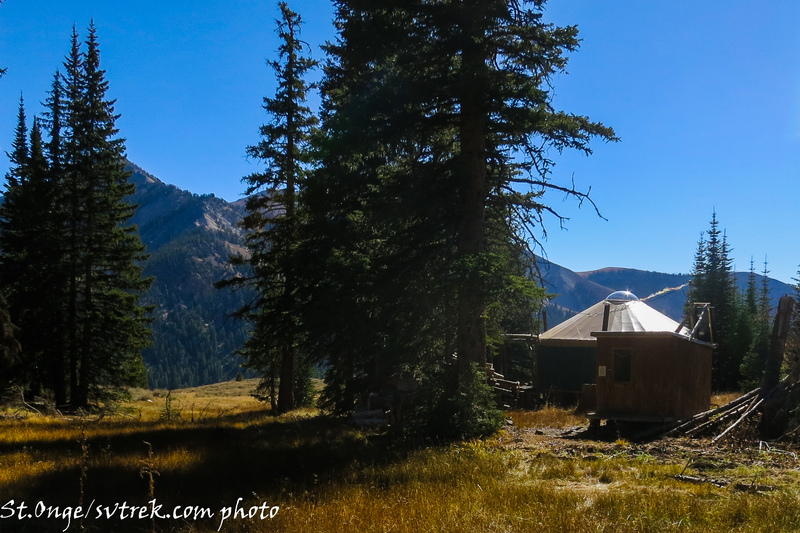 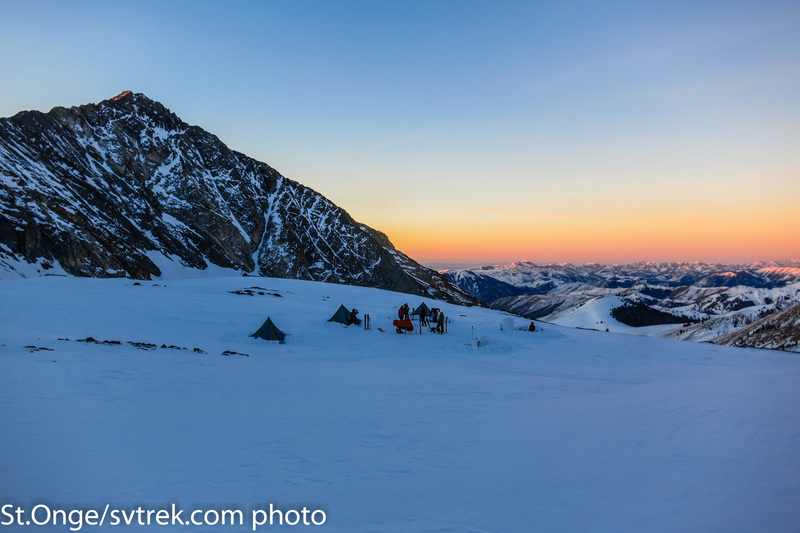 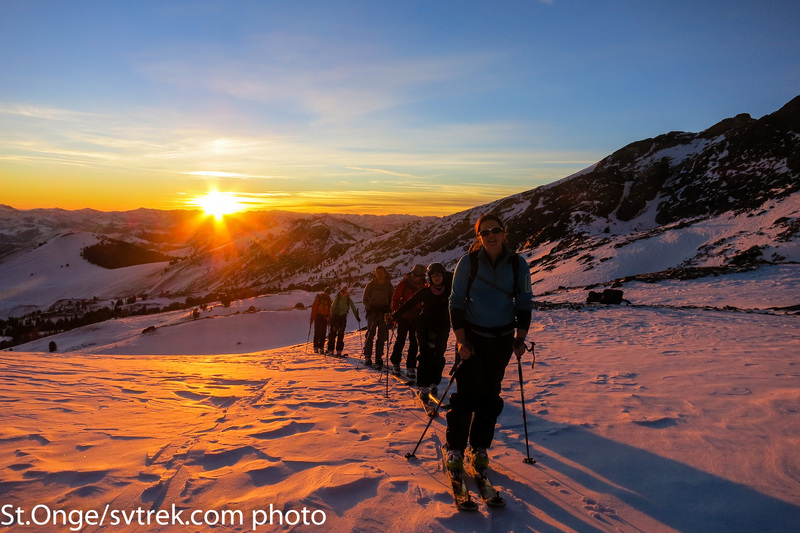 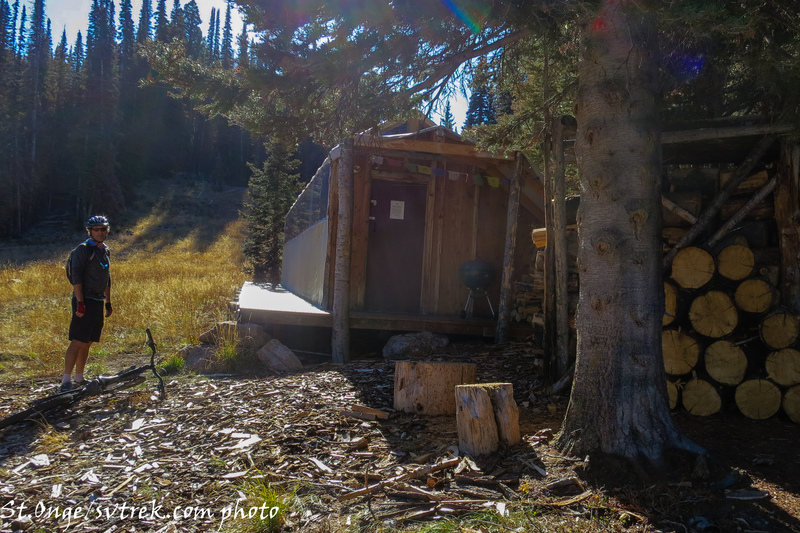 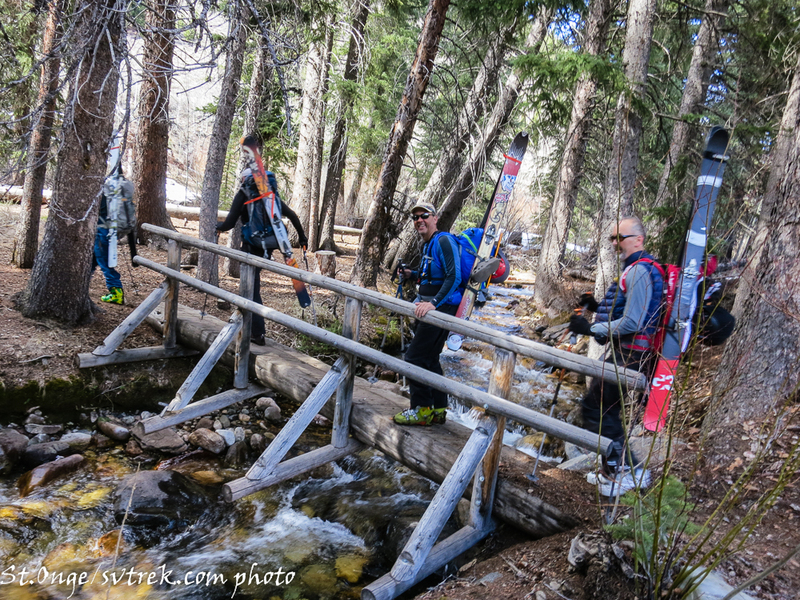 the Pioneer Yurt served as base camp and the team also put in a high camp at 10,500 for a alpine ascent of Hyndman Peak. 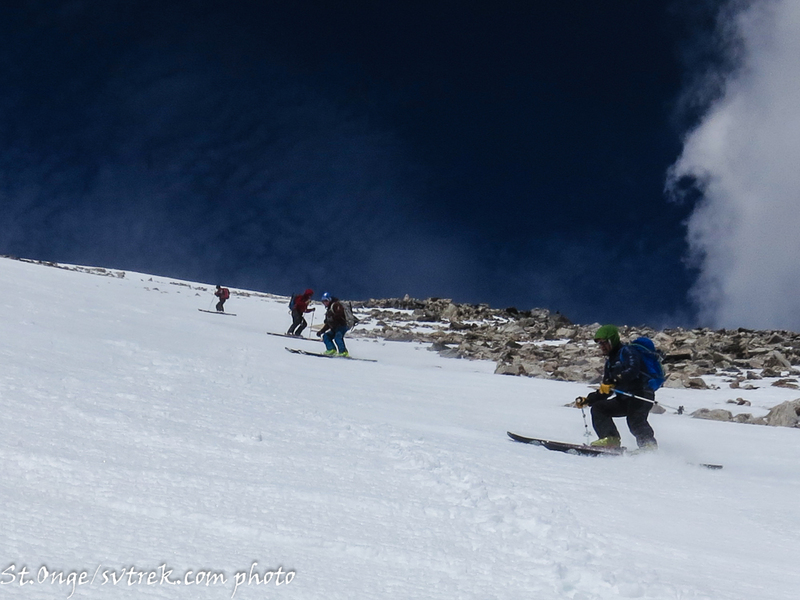 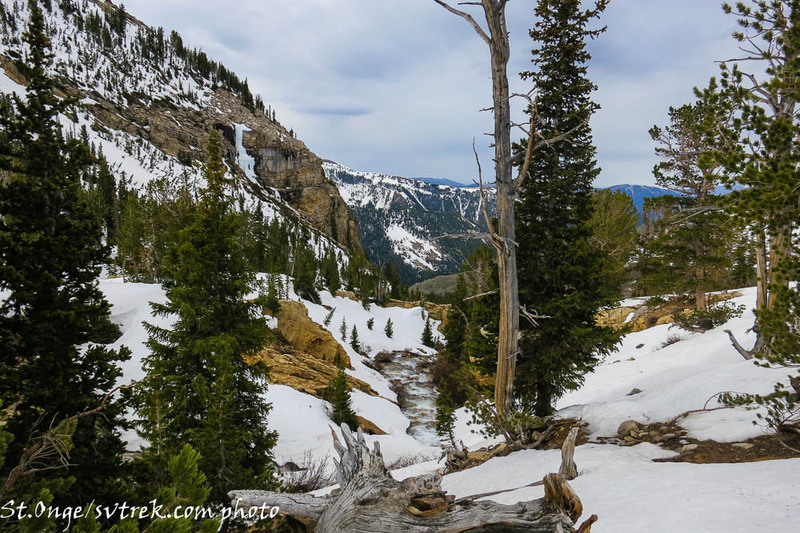 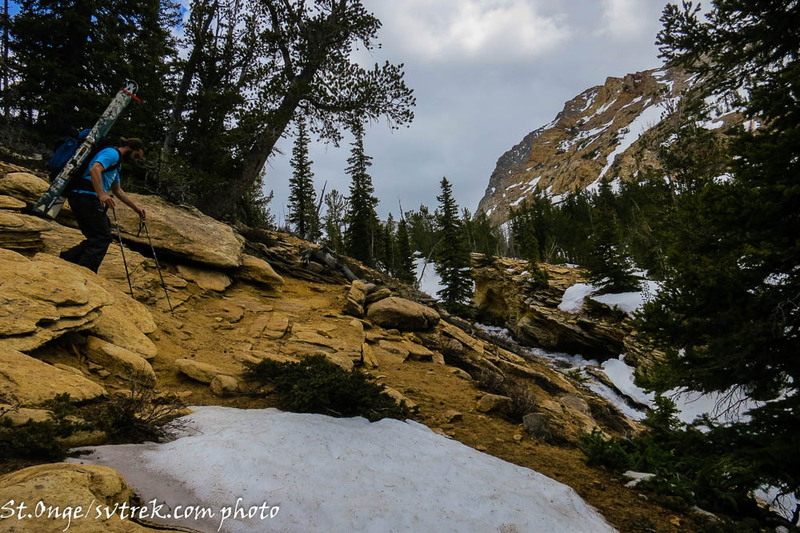 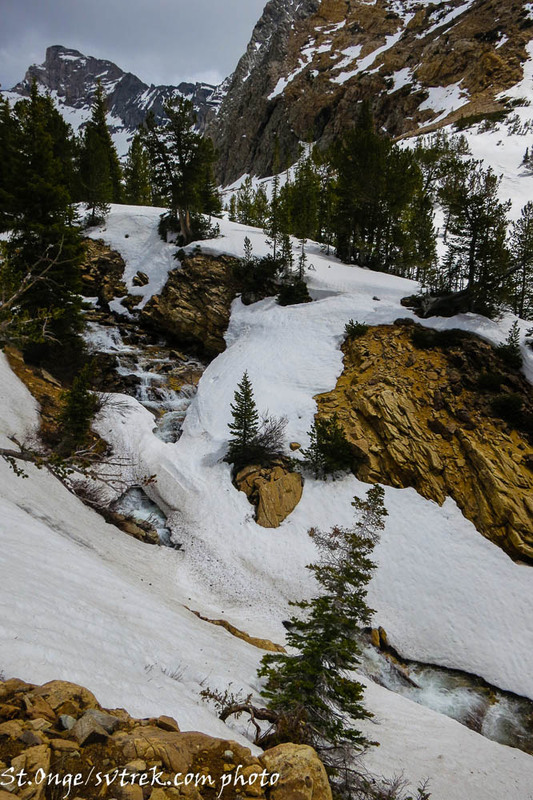 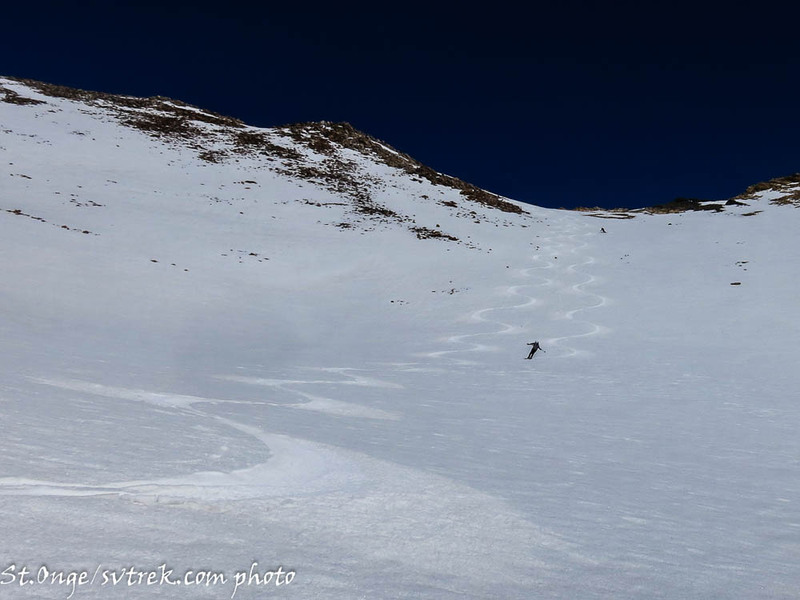 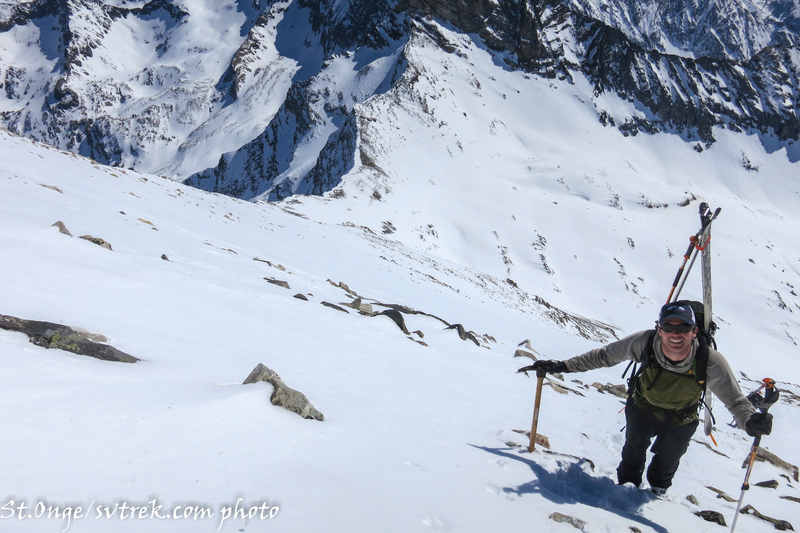 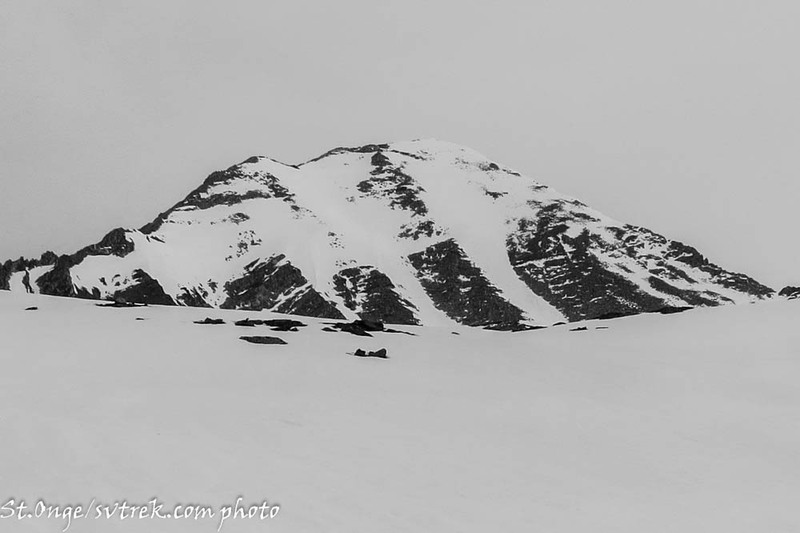 Conditions included a generally low snowpack and wind affected snow with hazards related to widespread wind slabs. 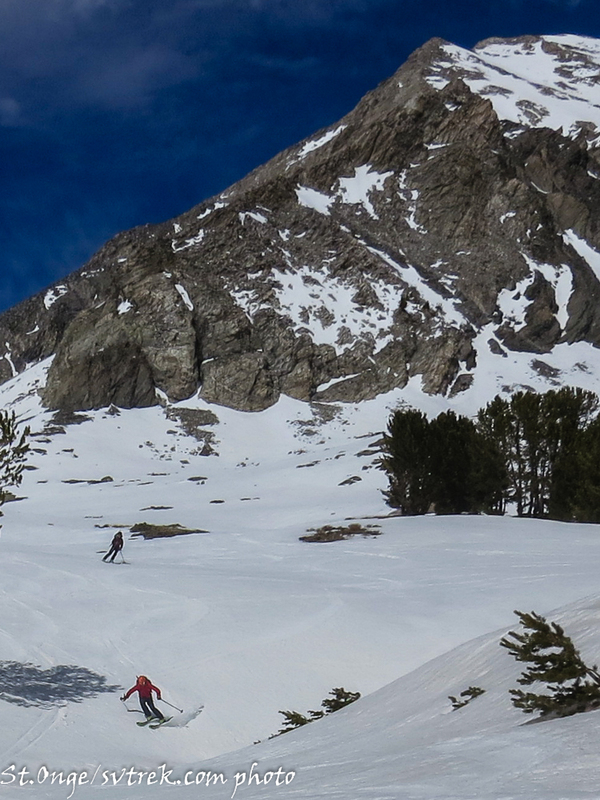 The less then optimal ski conditions were balanced by the phenomenal setting and wonderful crew from the BBC. 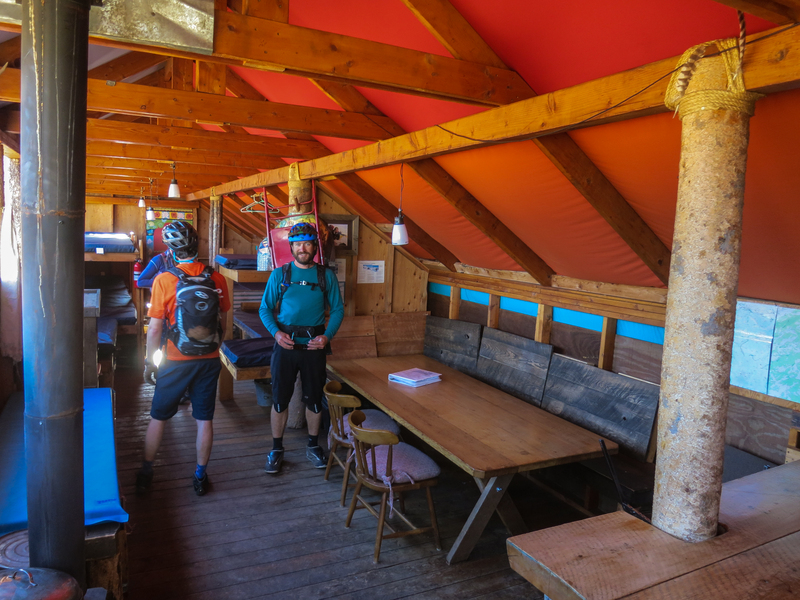 We look forward to seeing the ambitious and sure to be amazing footage to be produced by this intrepid film crew over the next couple of years! 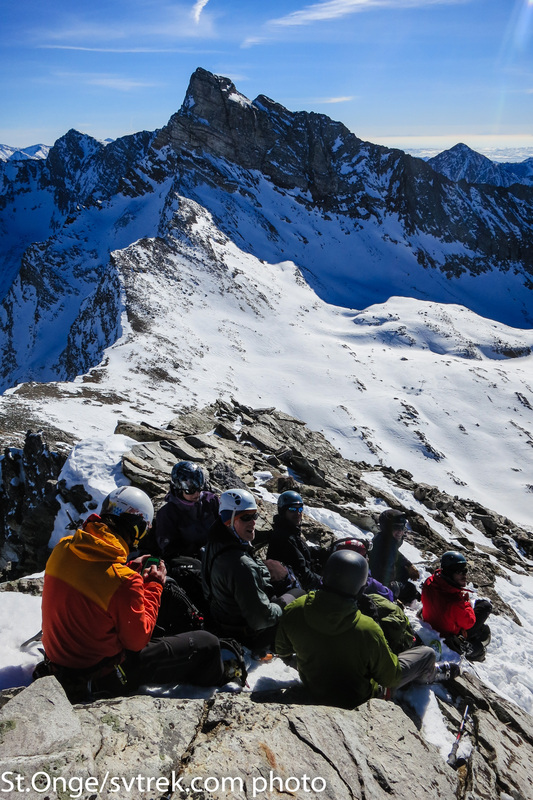 What a place to learn to ski! 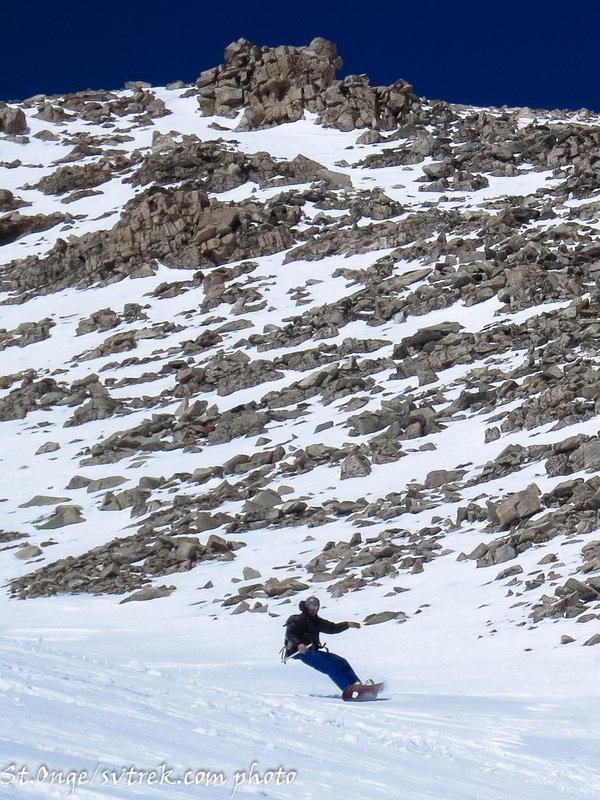 ahh, freedom of the hills! 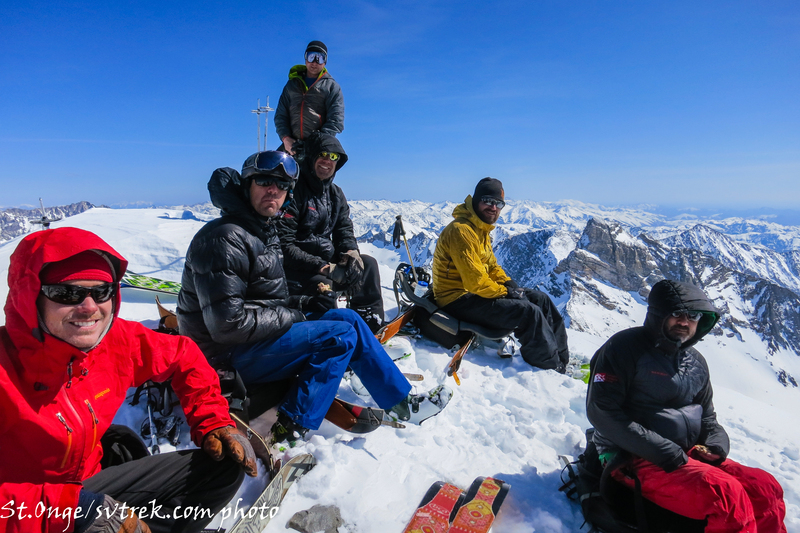 The Team high in the mountains!